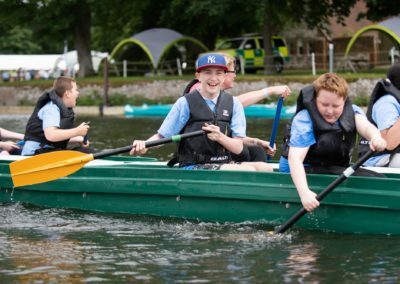 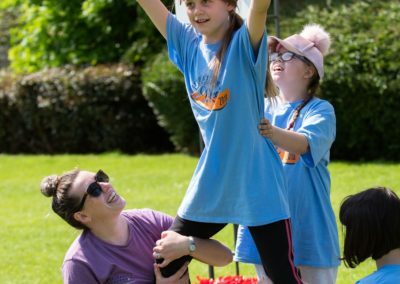 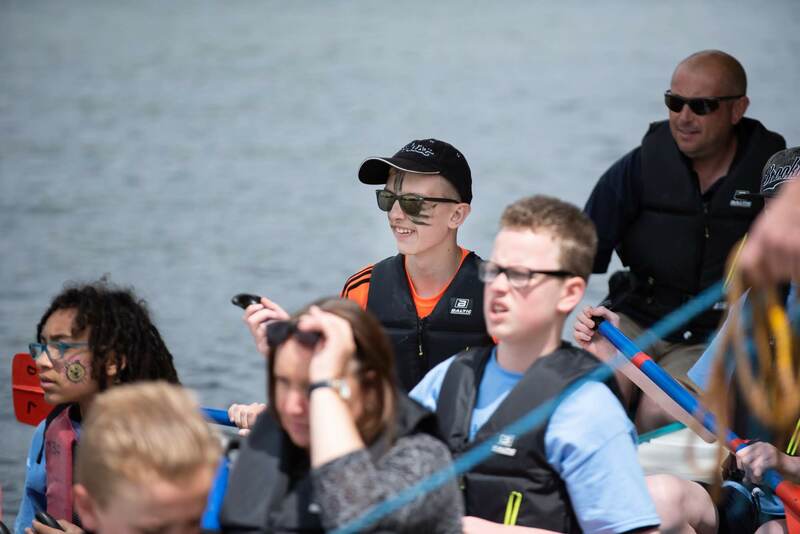 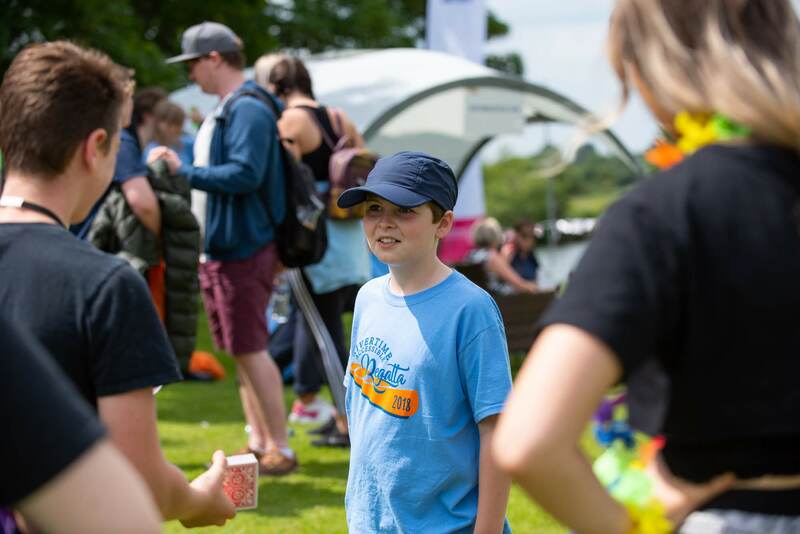 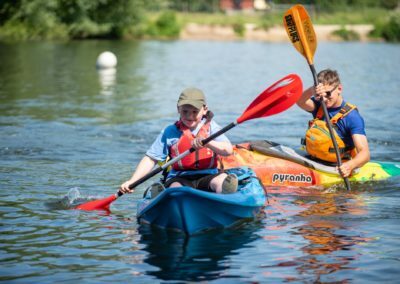 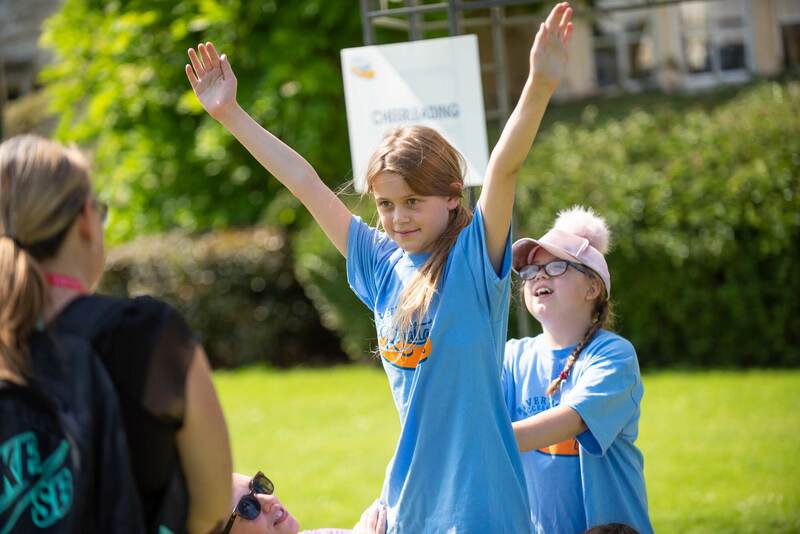 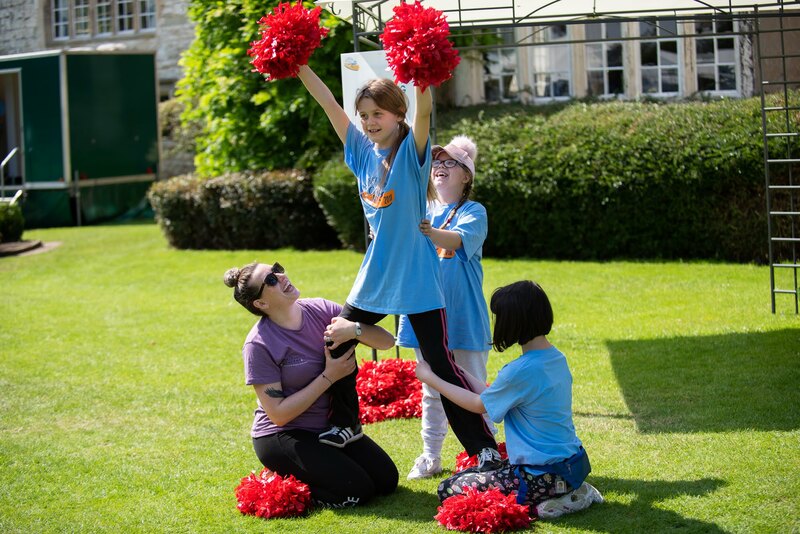 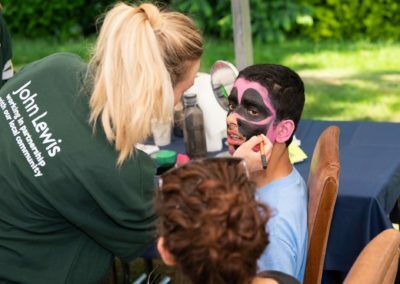 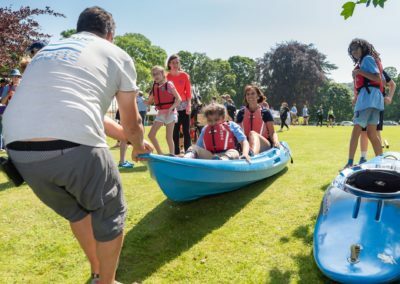 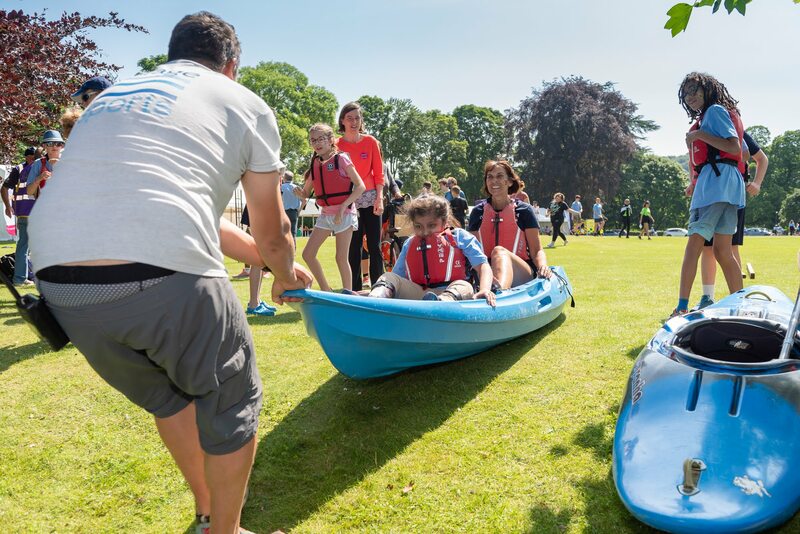 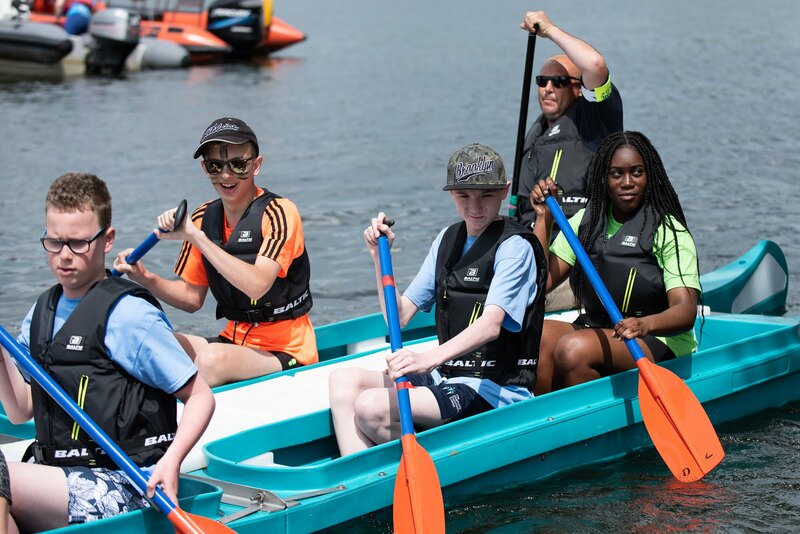 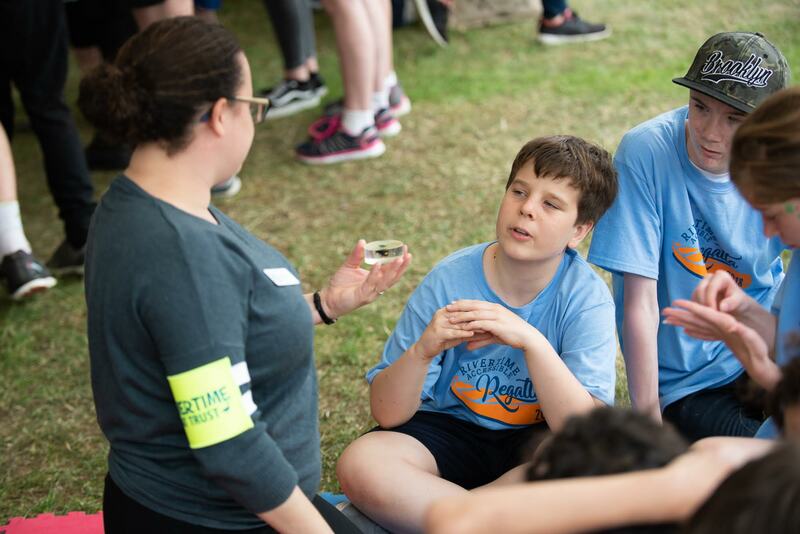 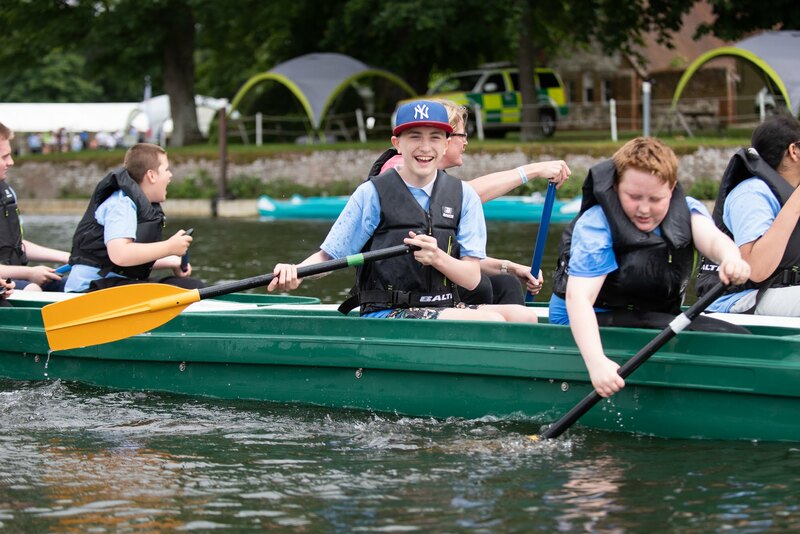 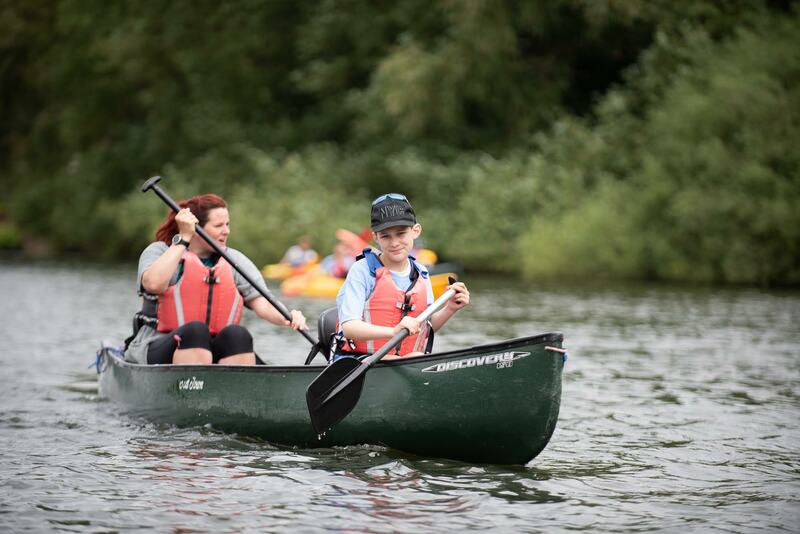 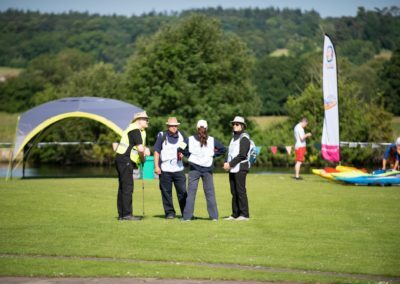 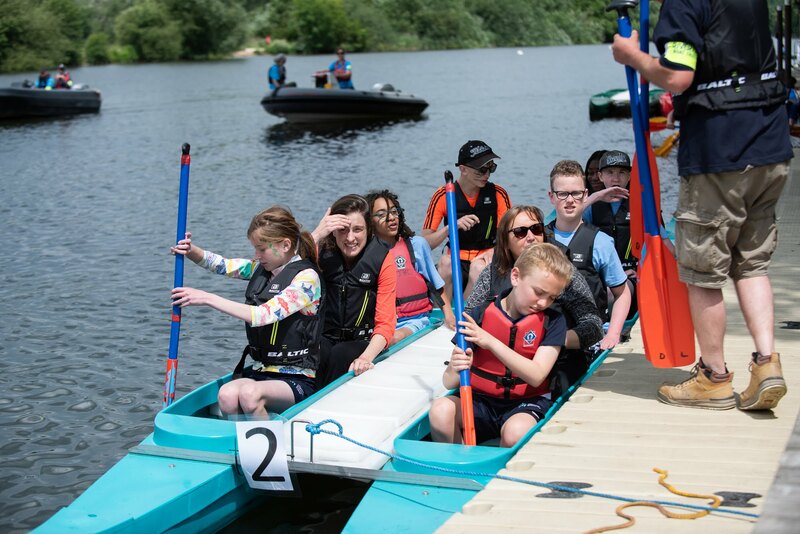 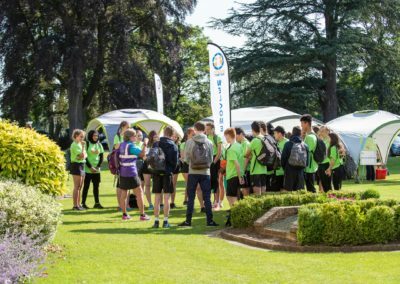 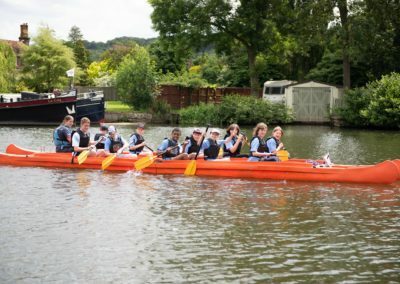 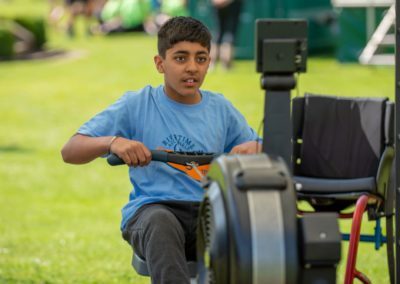 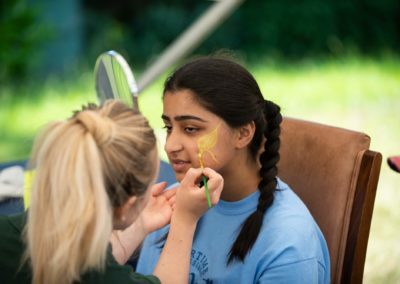 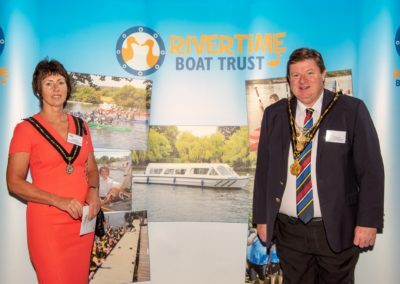 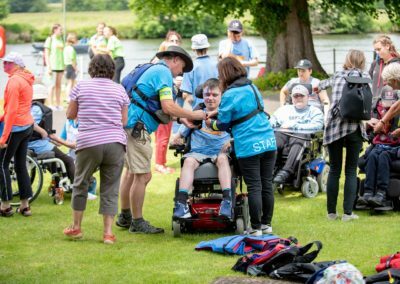 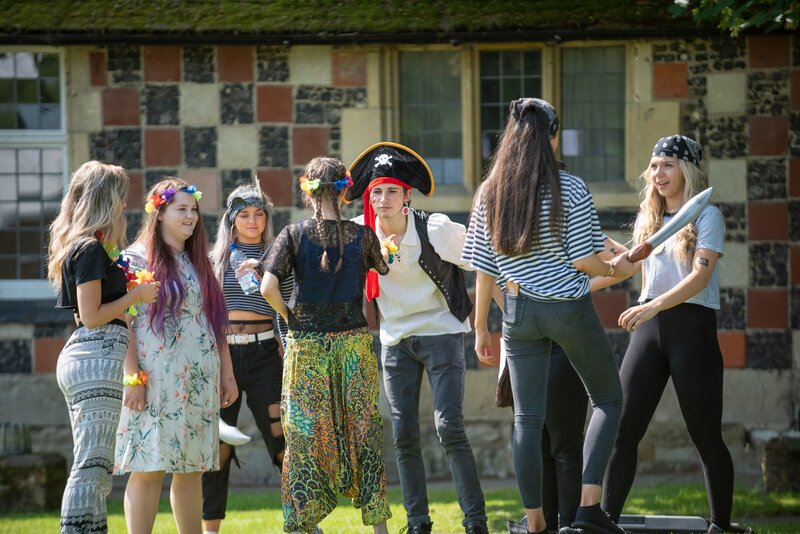 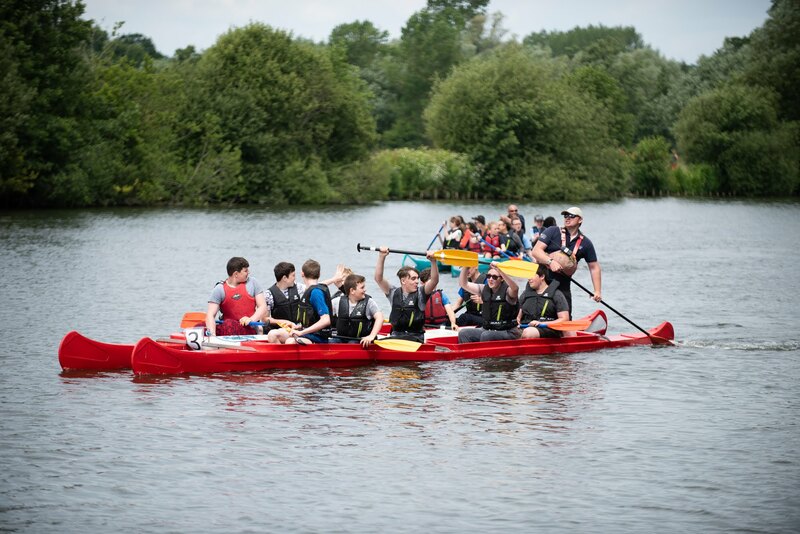 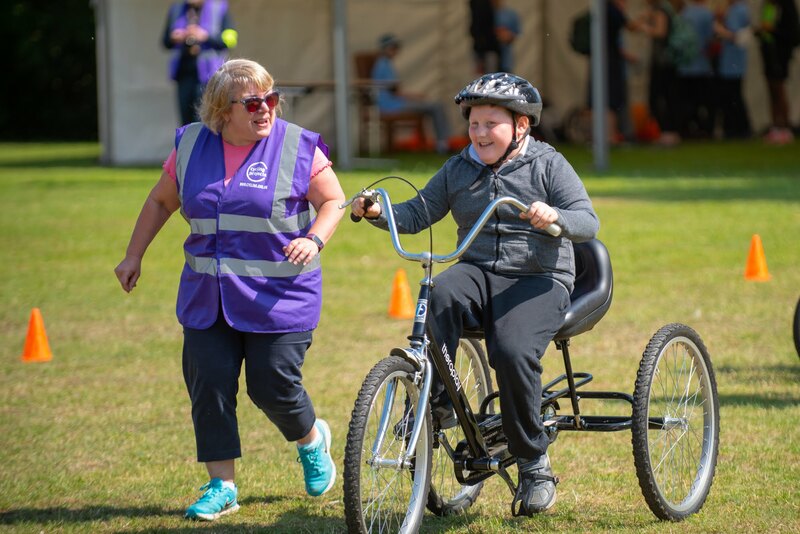 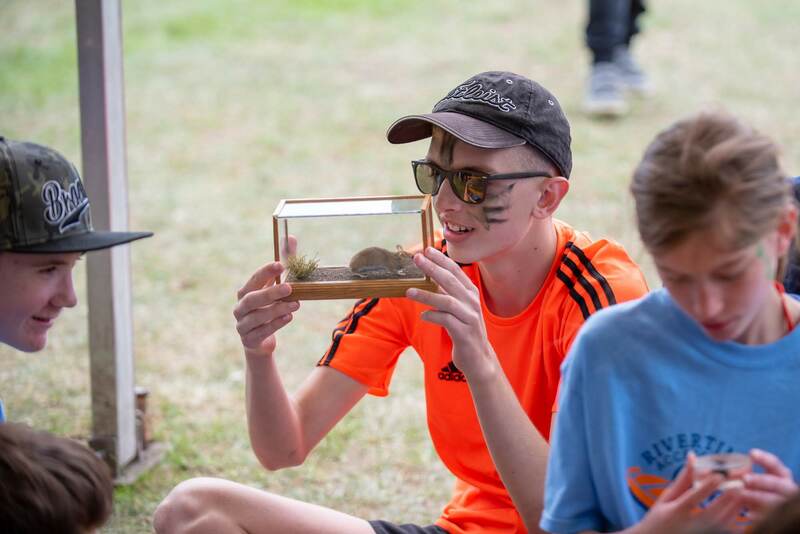 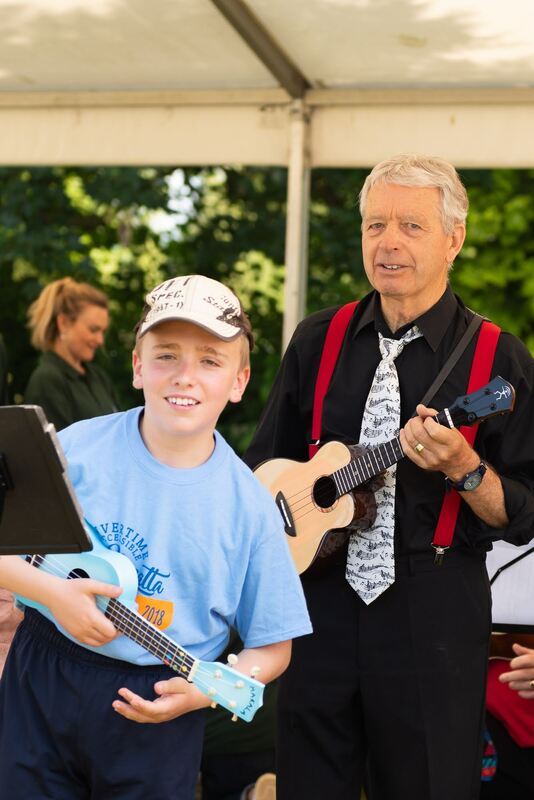 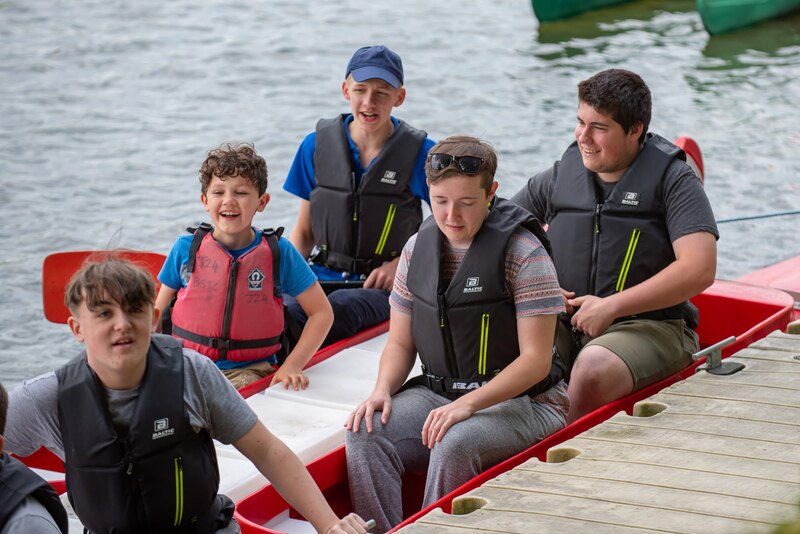 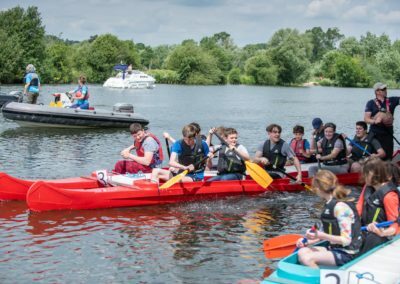 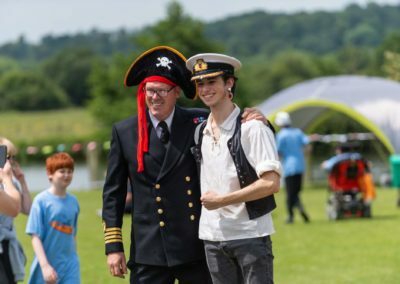 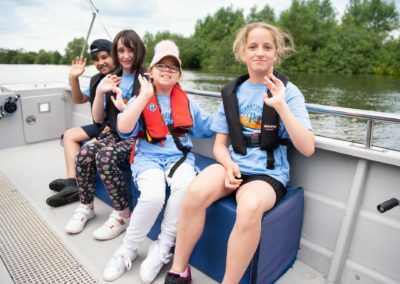 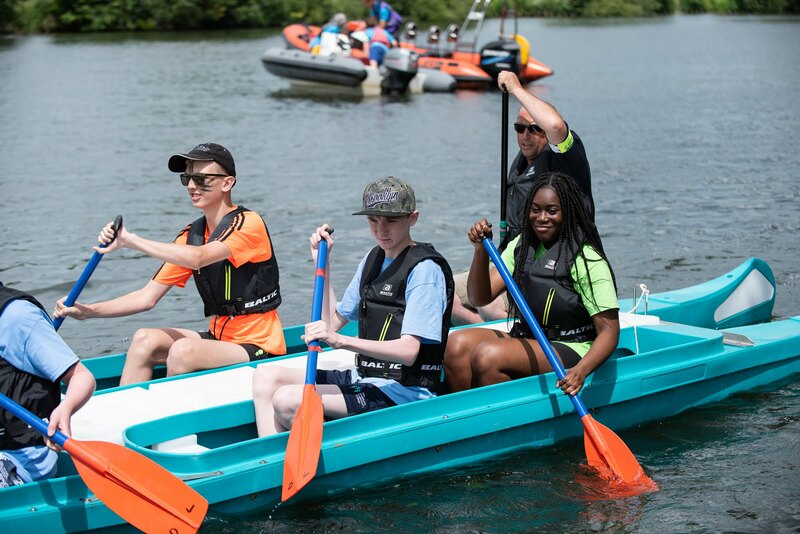 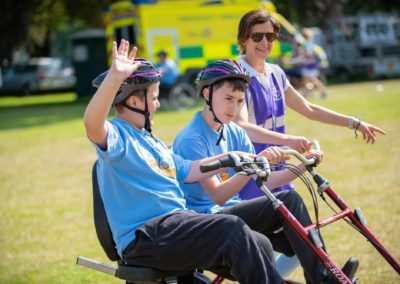 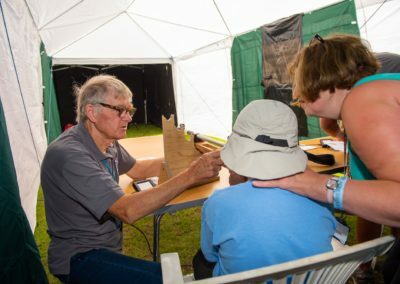 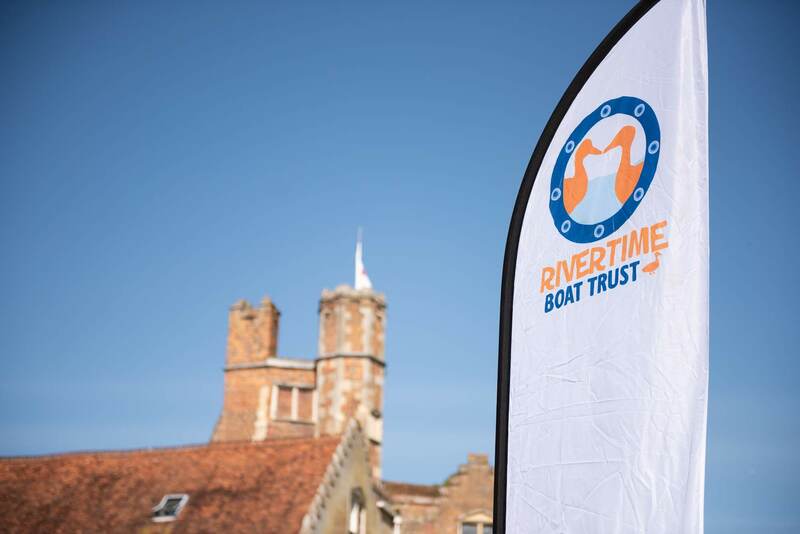 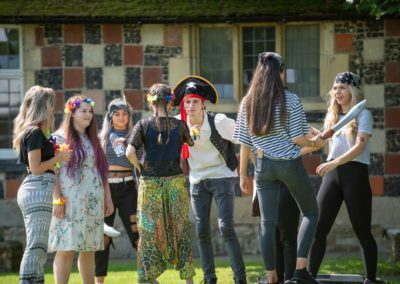 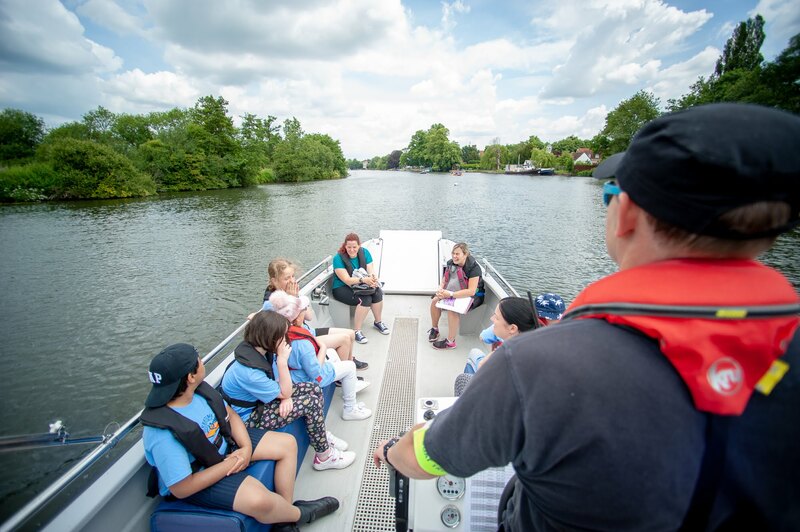 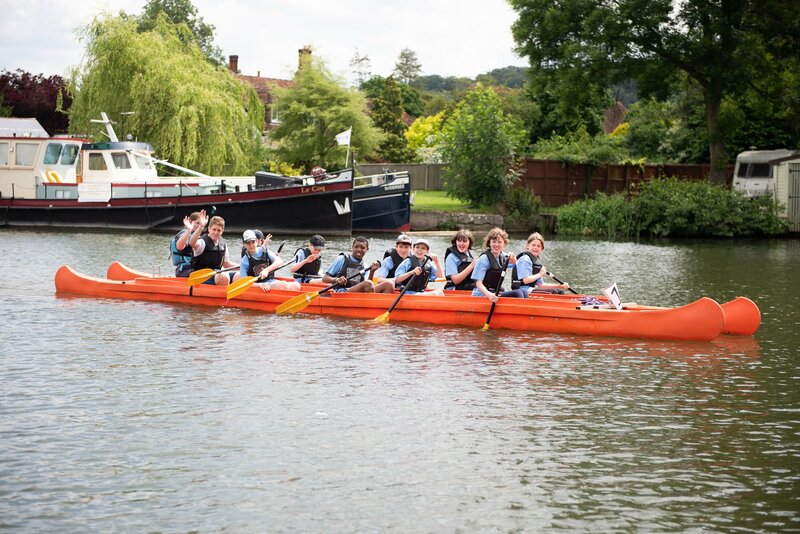 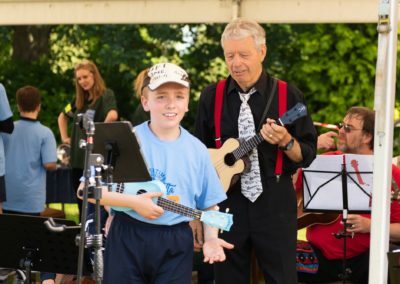 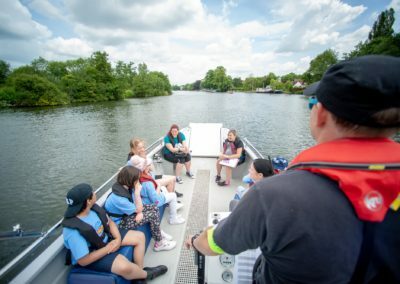 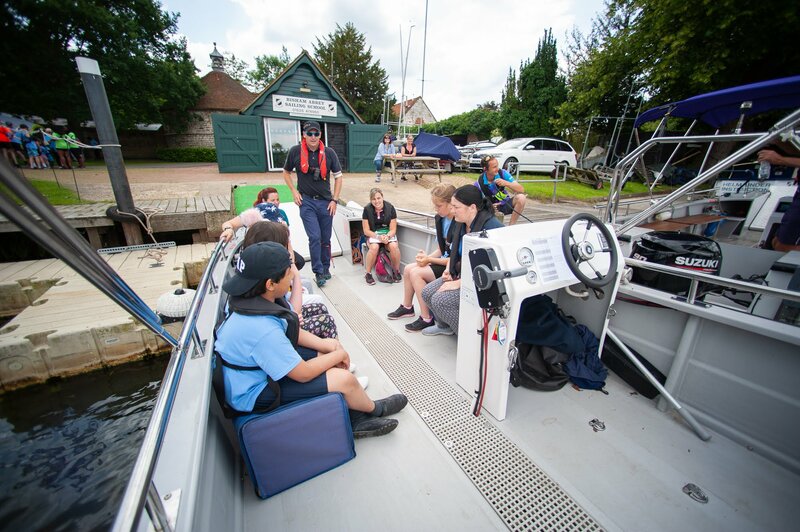 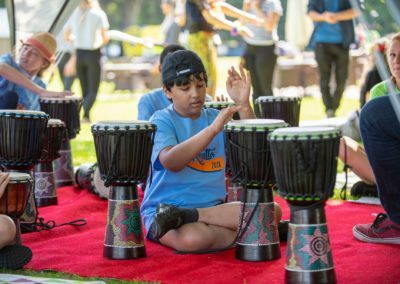 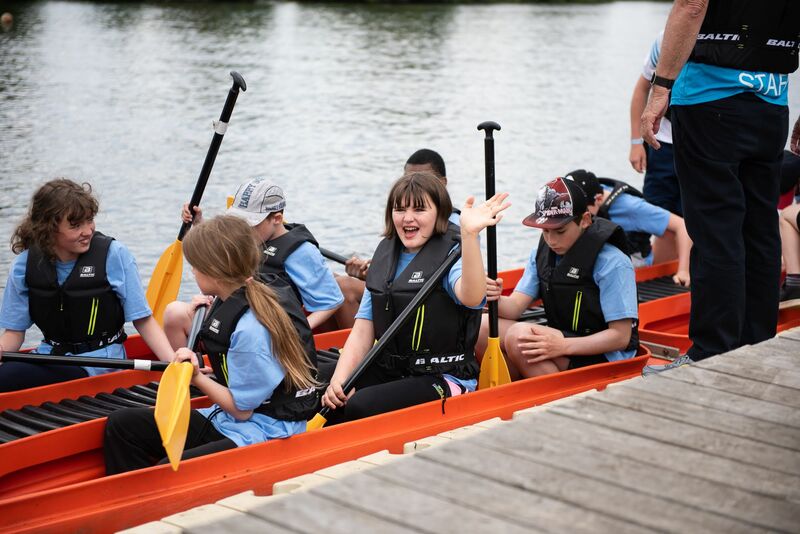 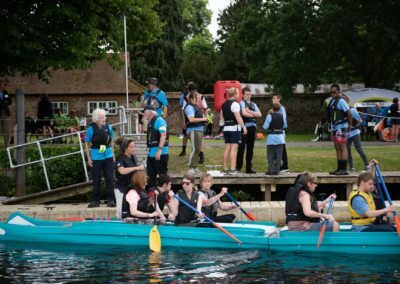 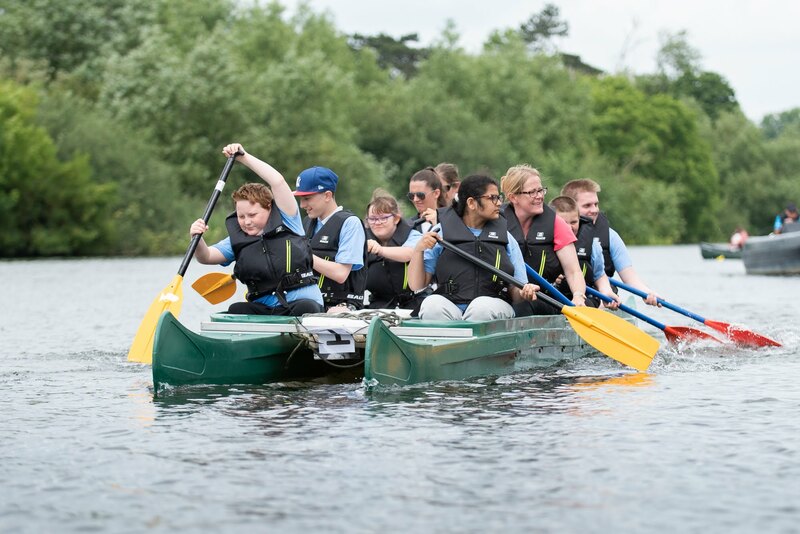 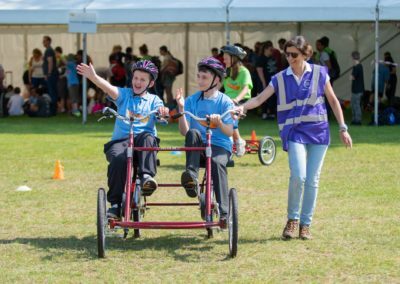 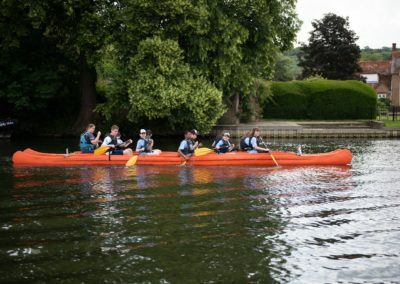 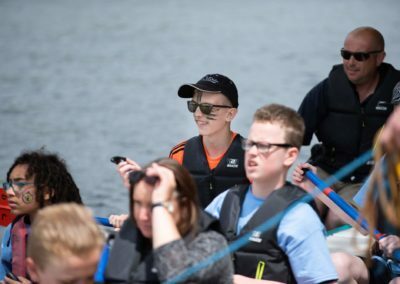 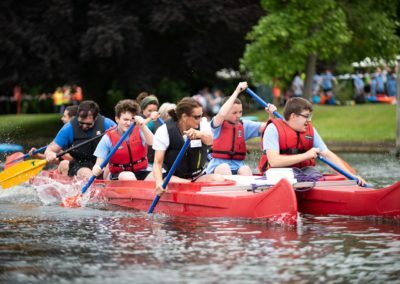 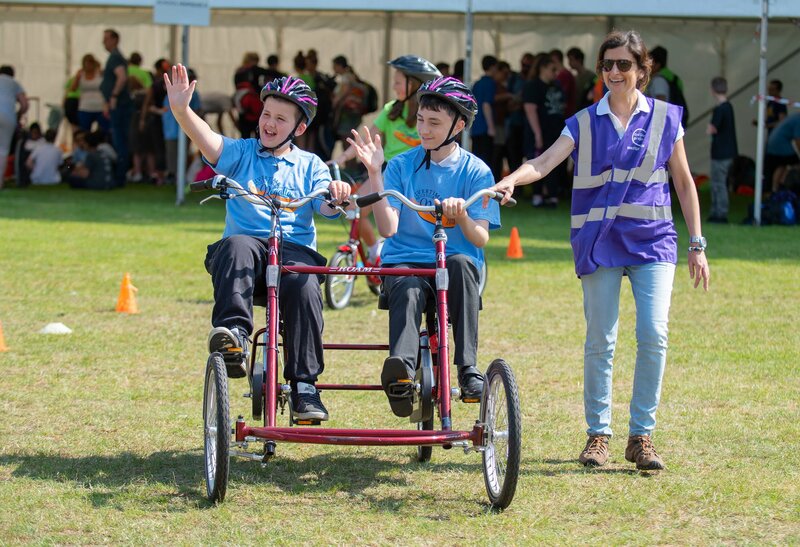 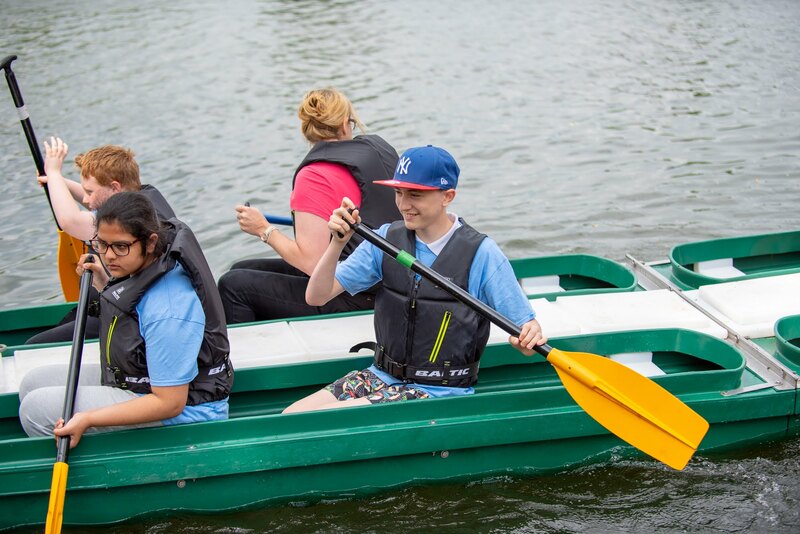 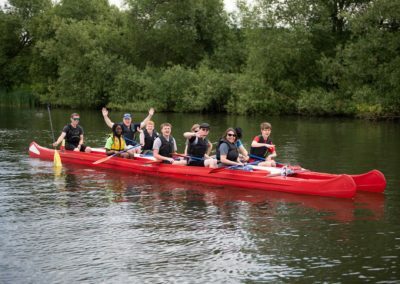 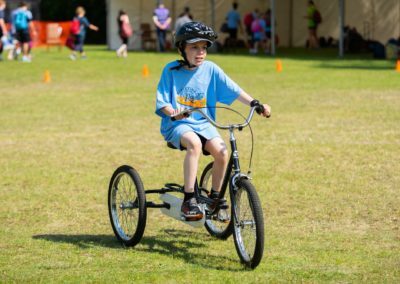 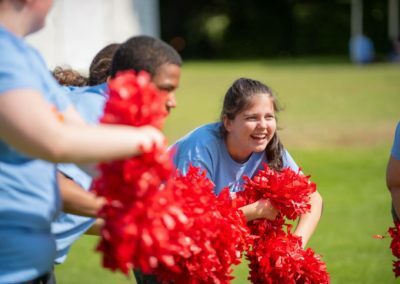 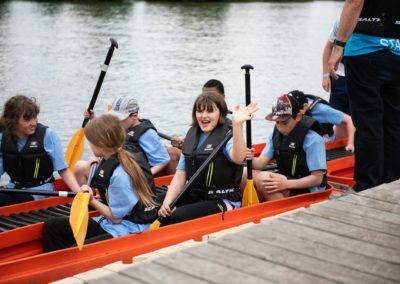 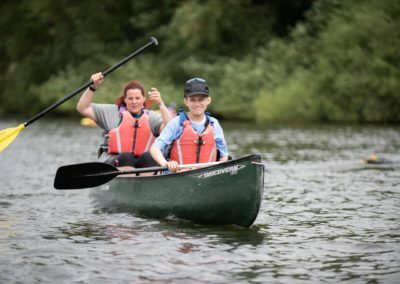 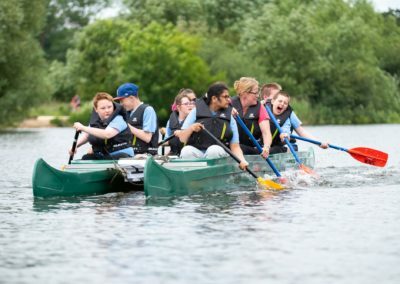 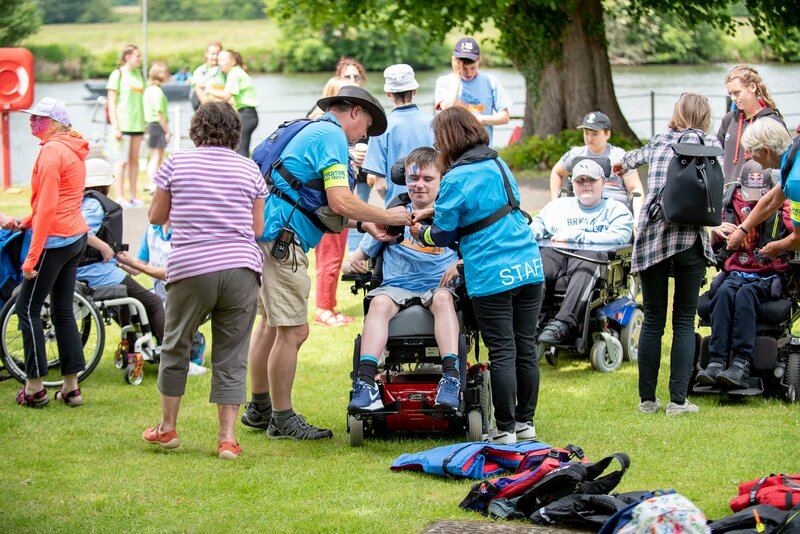 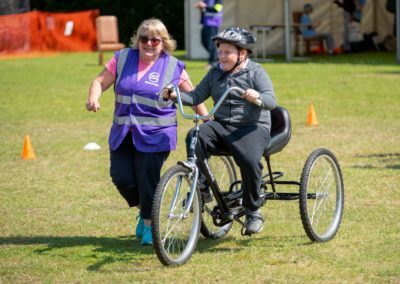 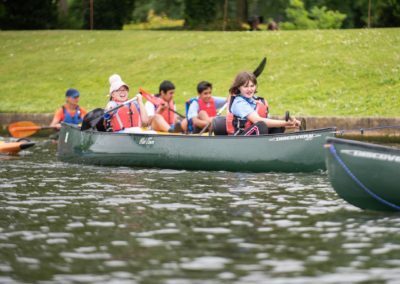 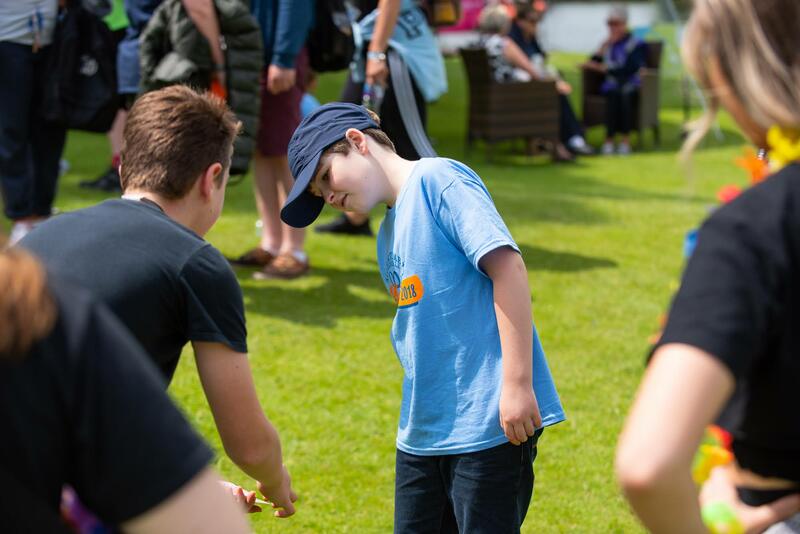 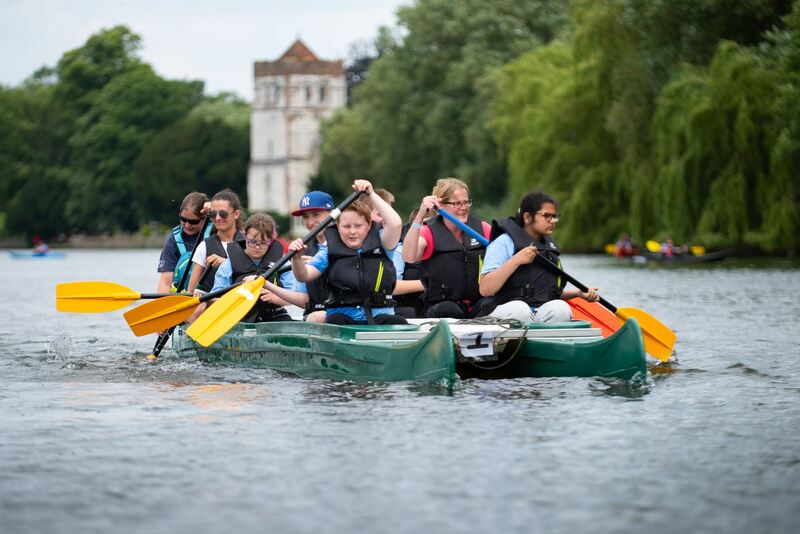 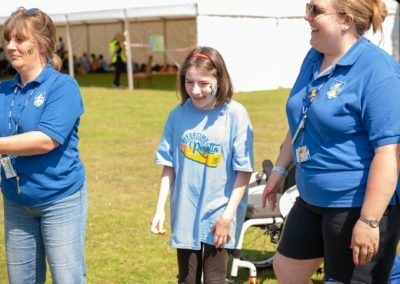 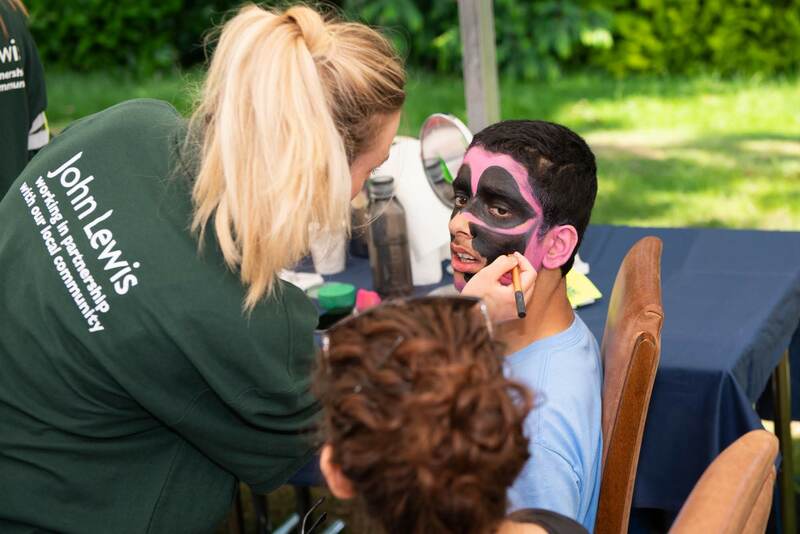 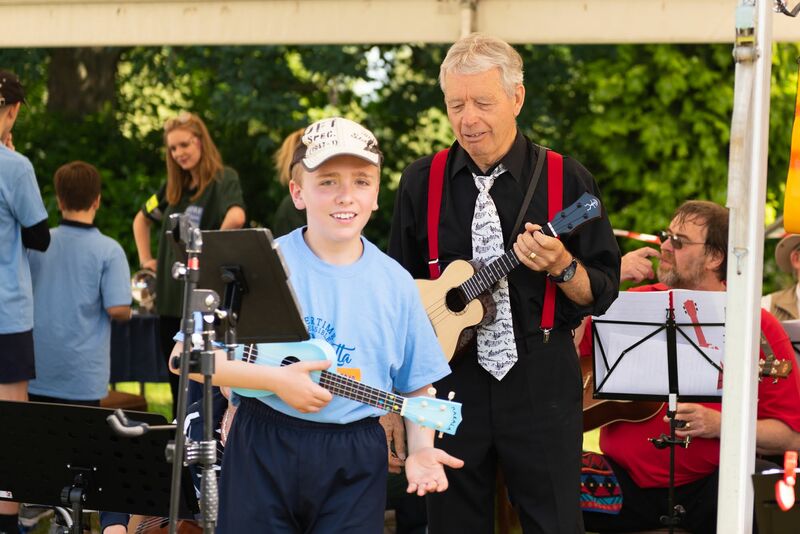 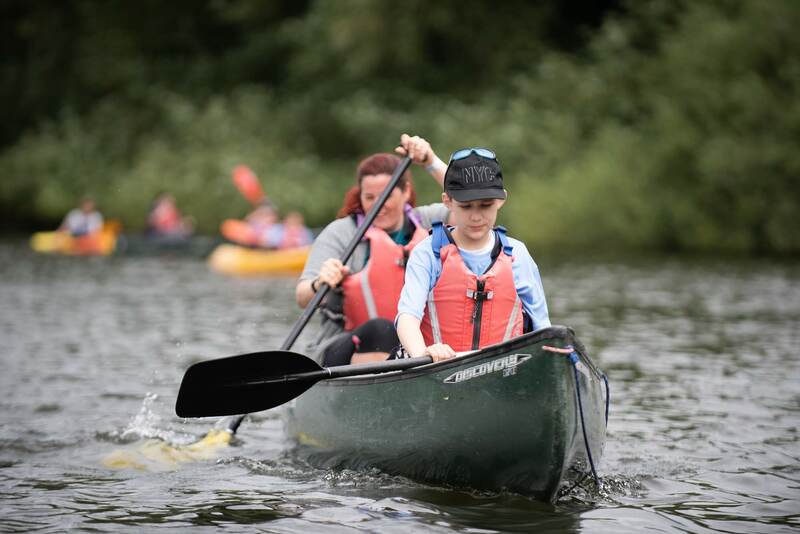 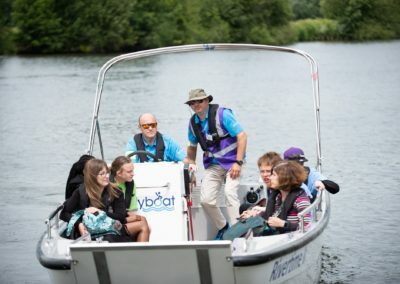 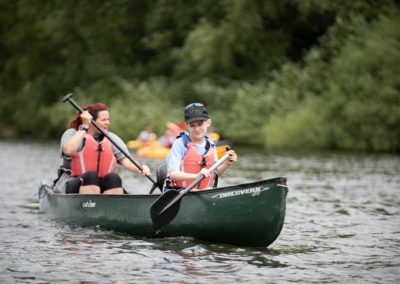 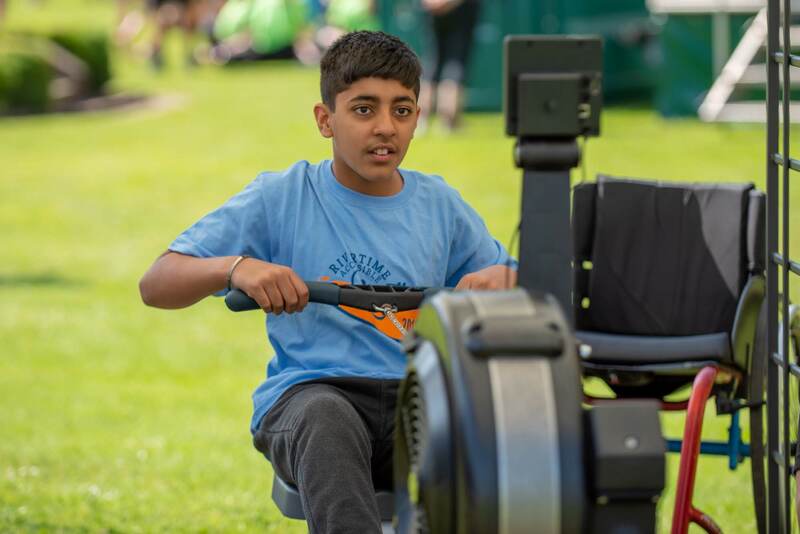 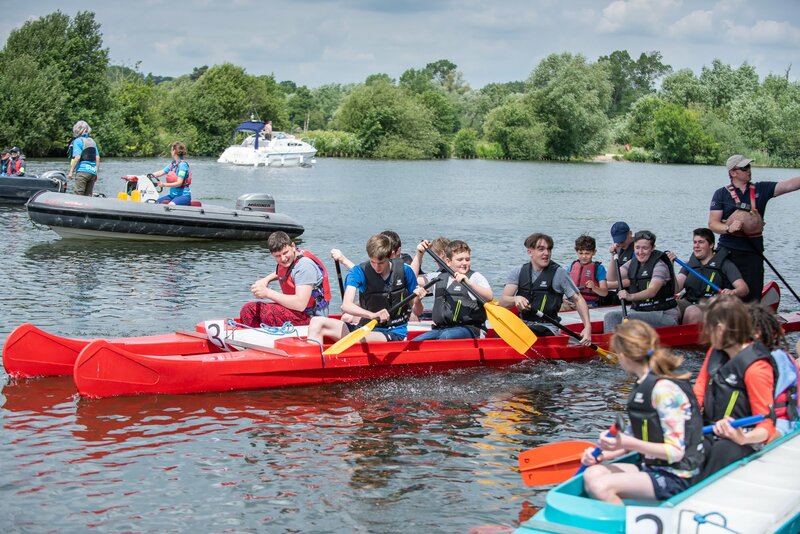 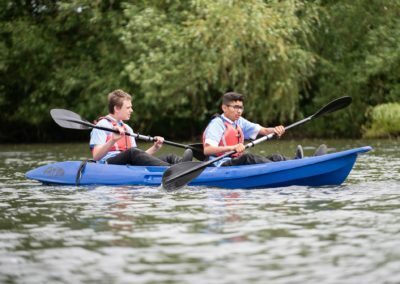 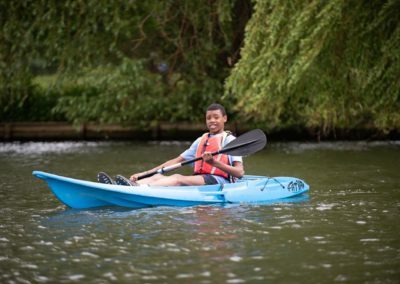 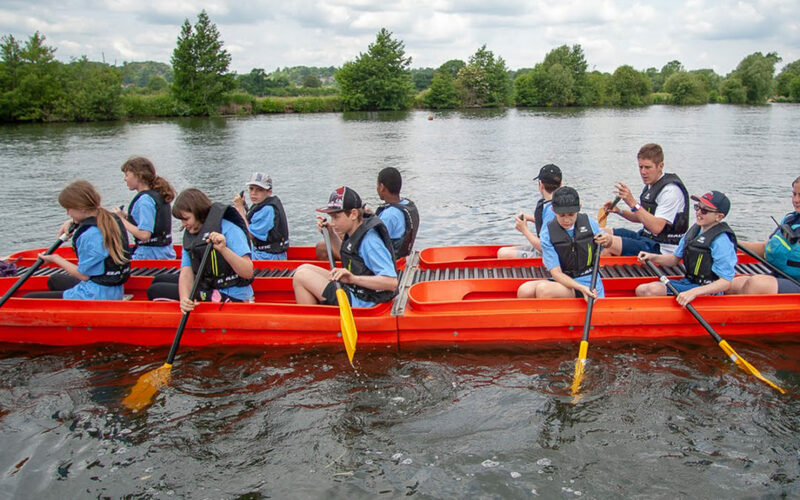 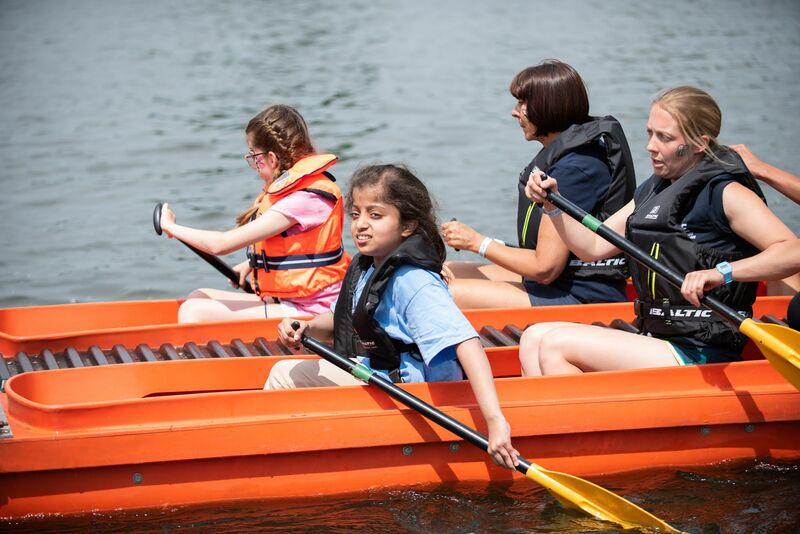 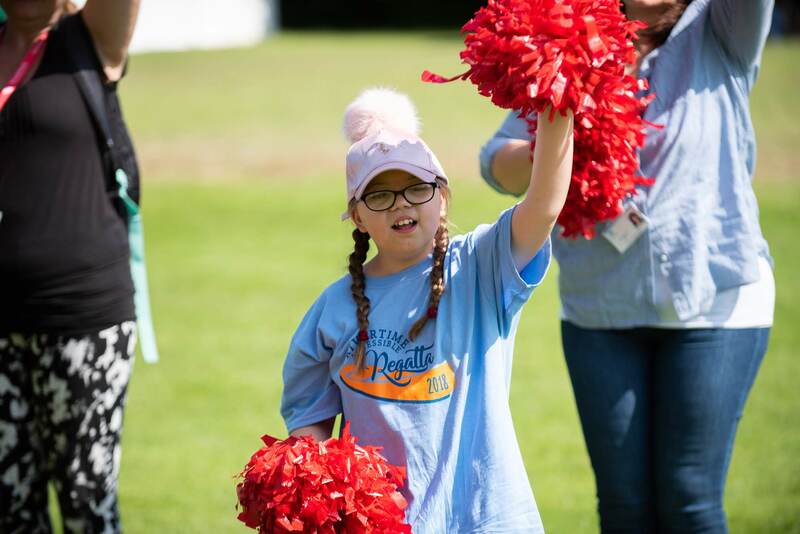 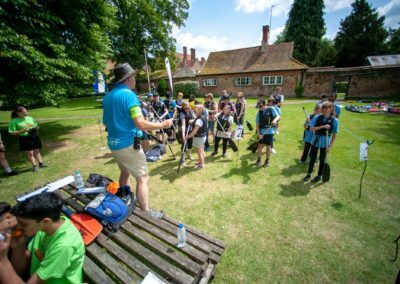 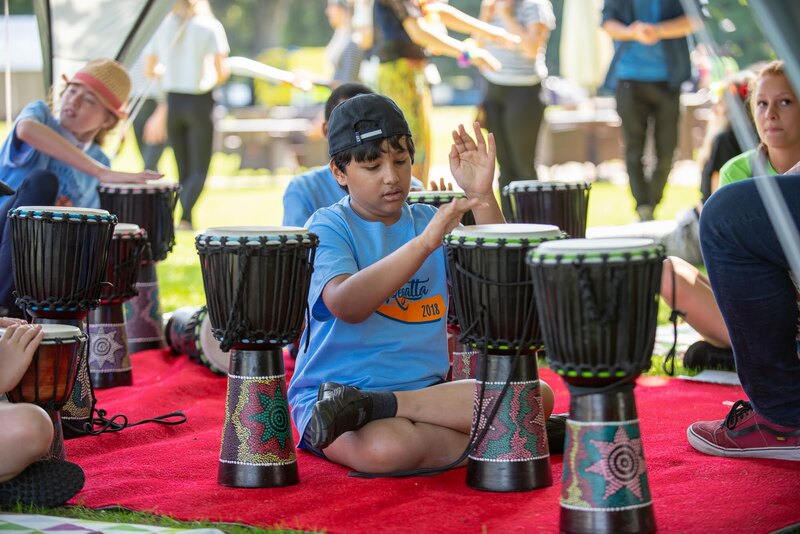 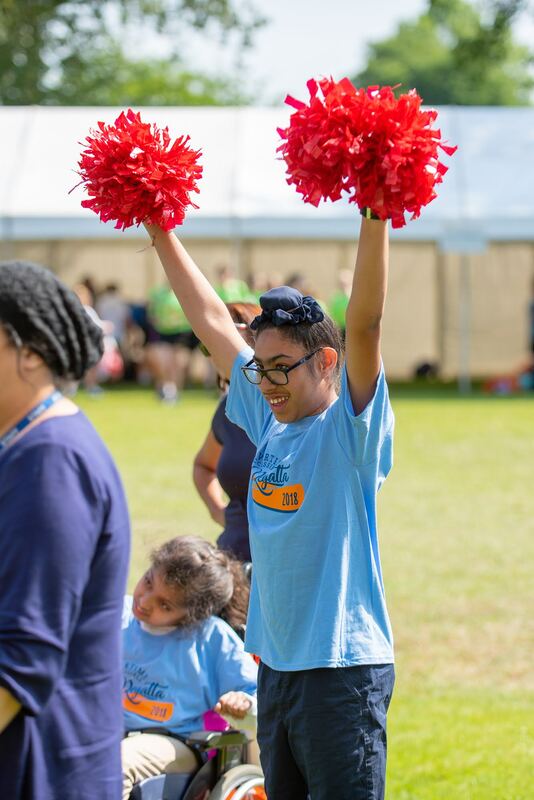 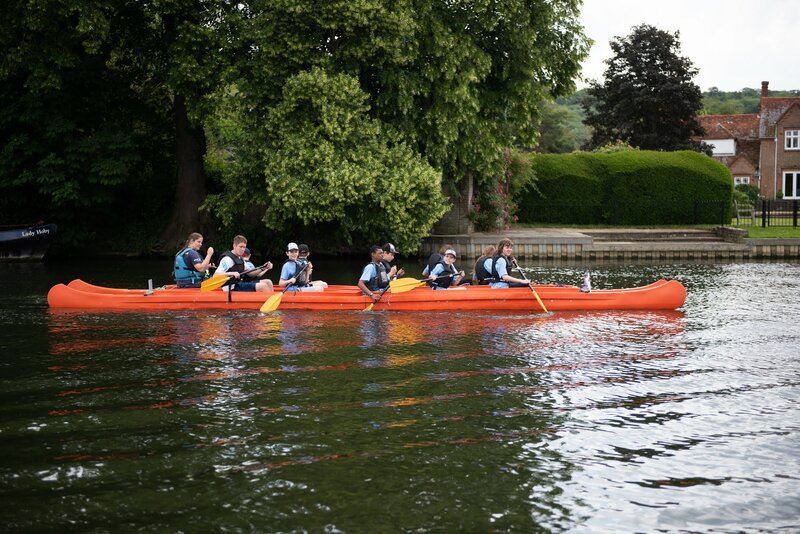 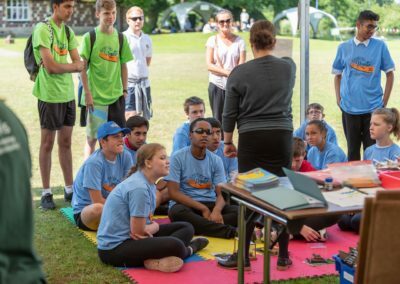 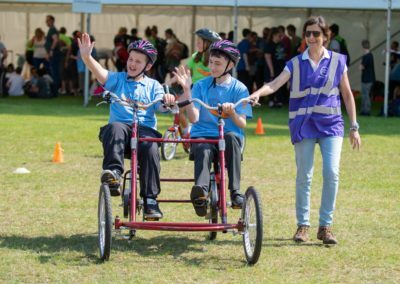 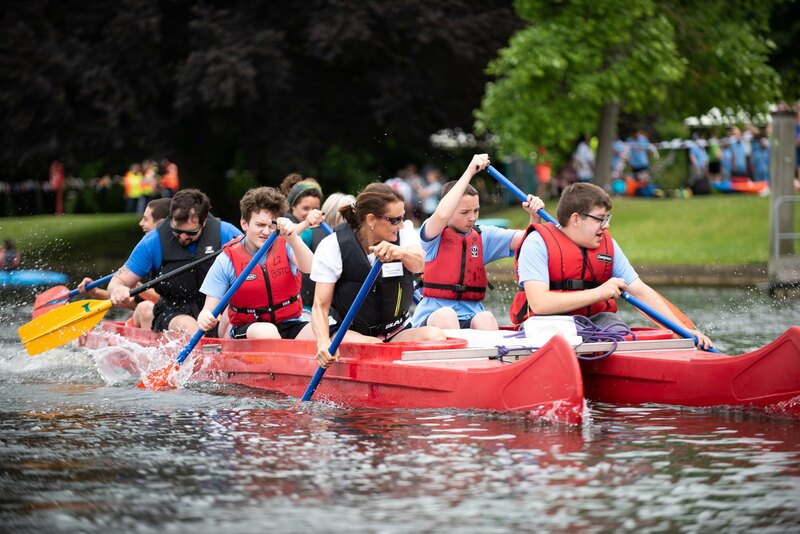 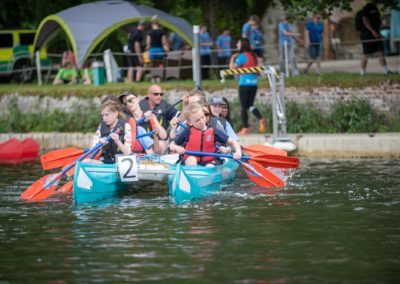 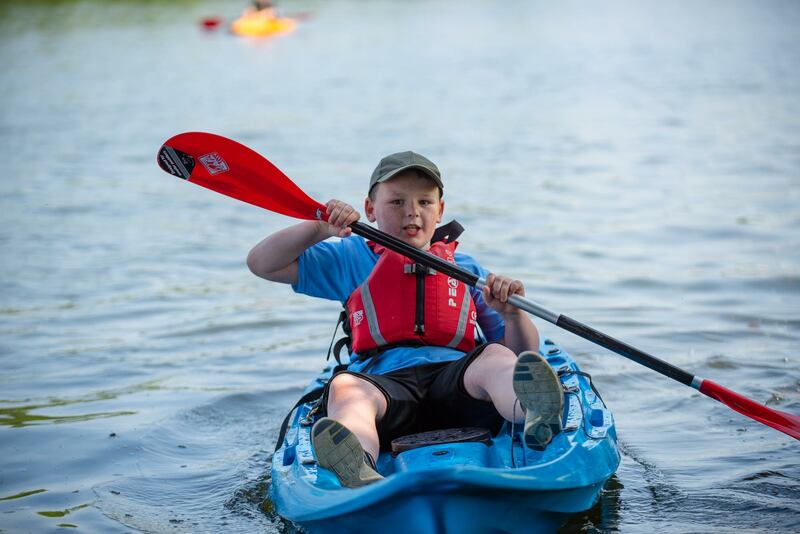 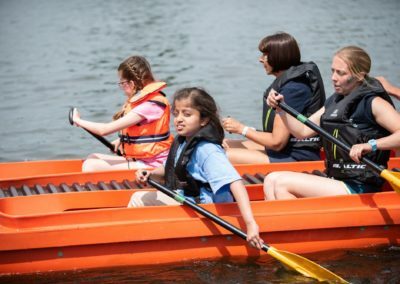 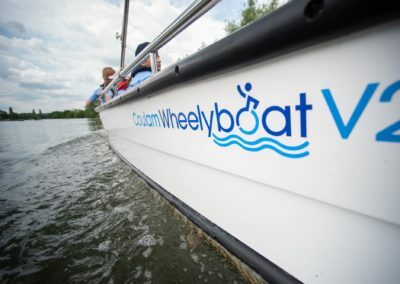 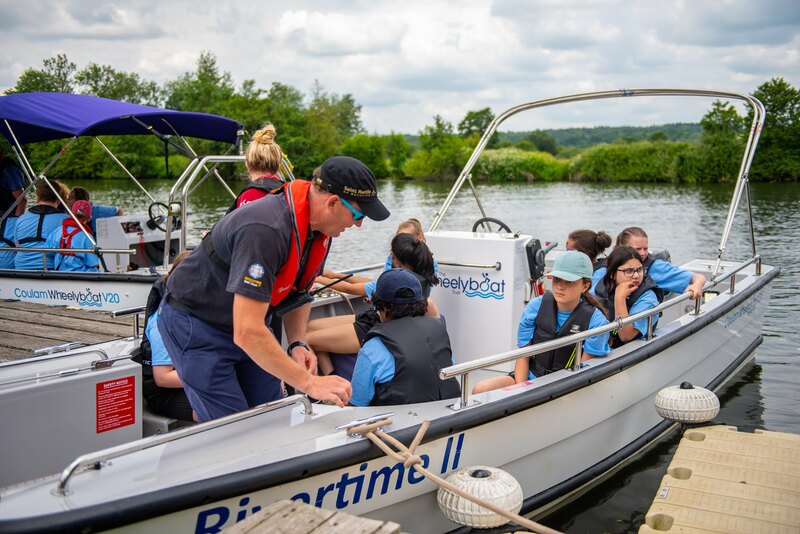 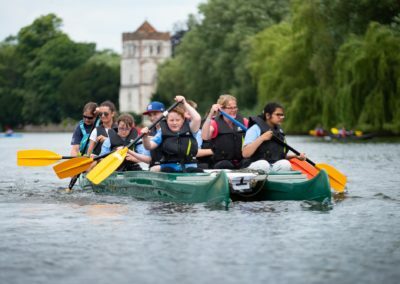 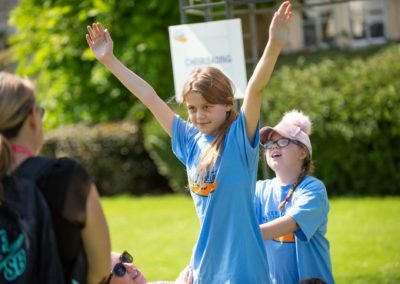 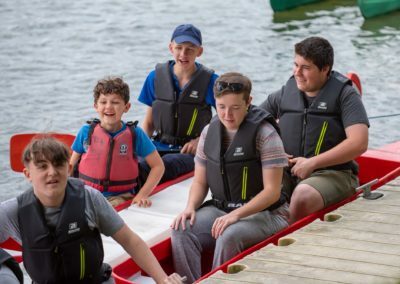 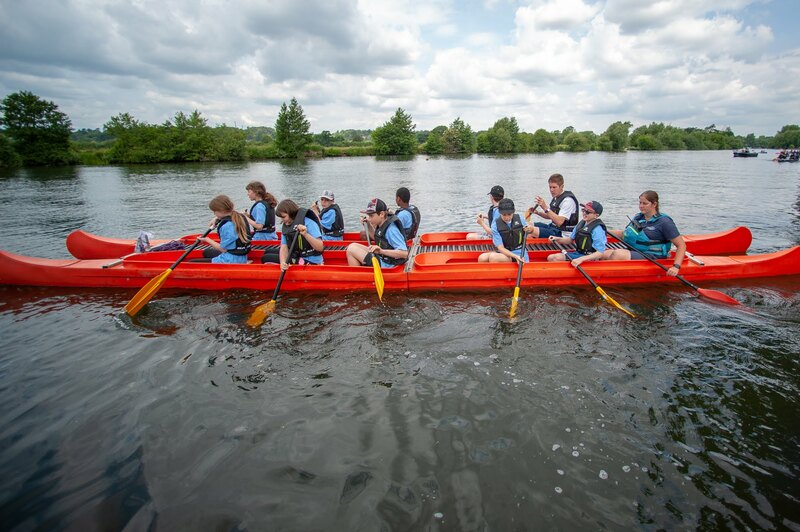 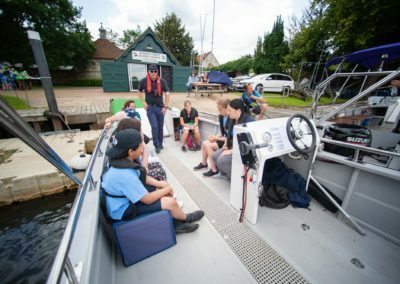 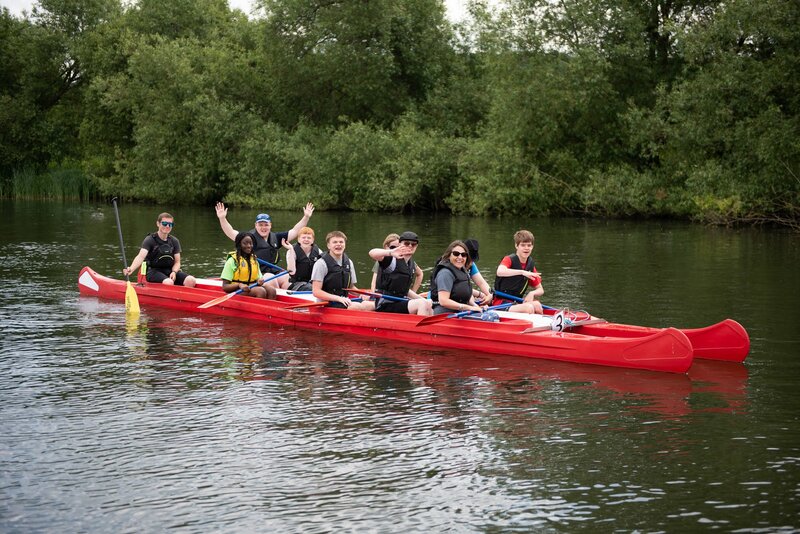 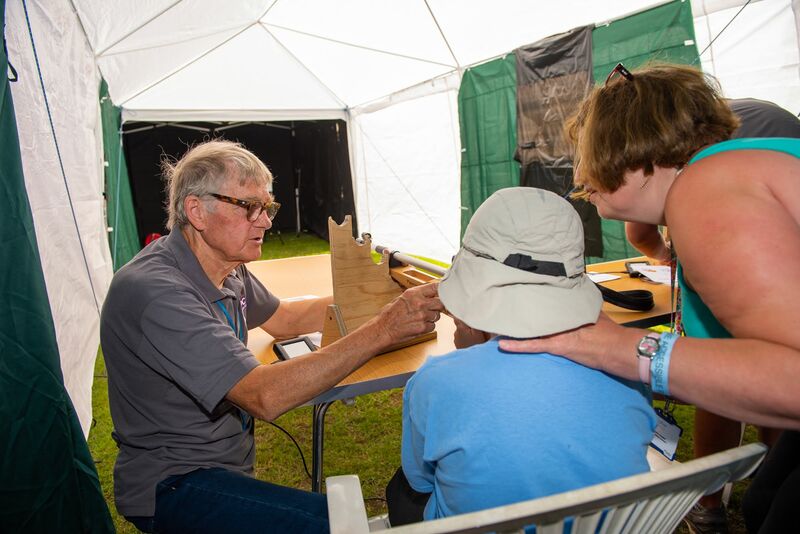 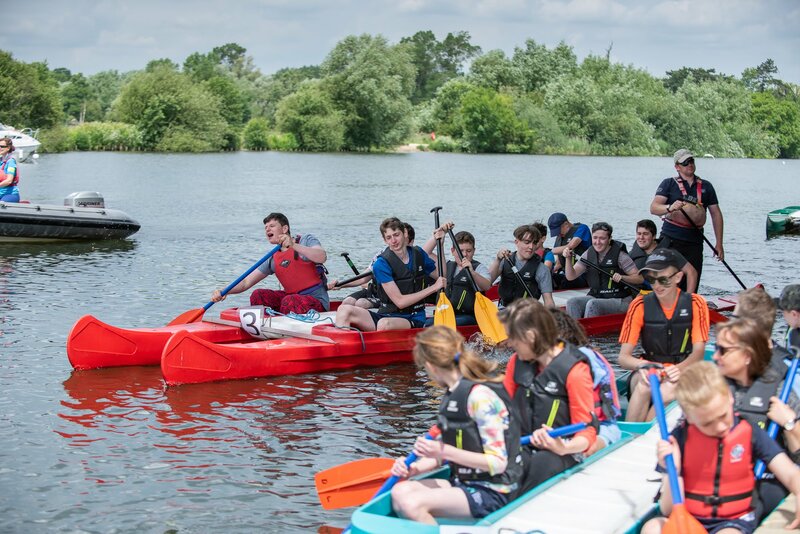 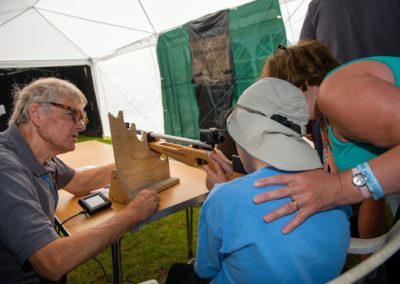 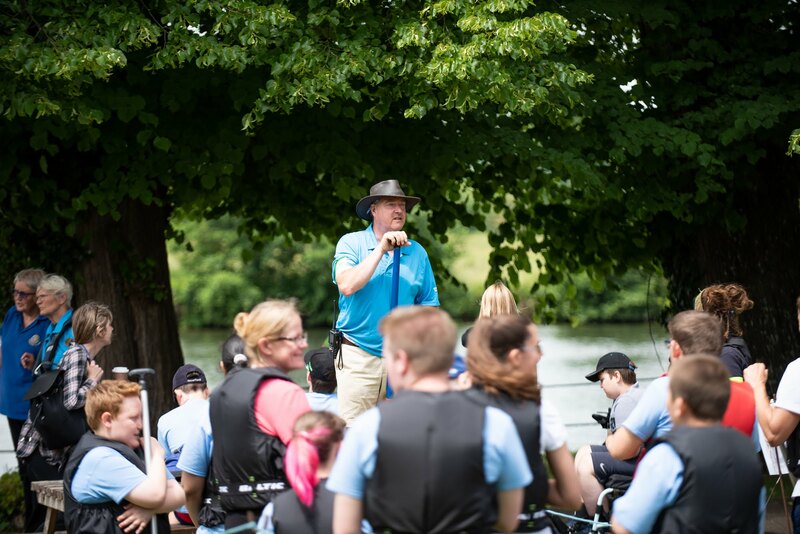 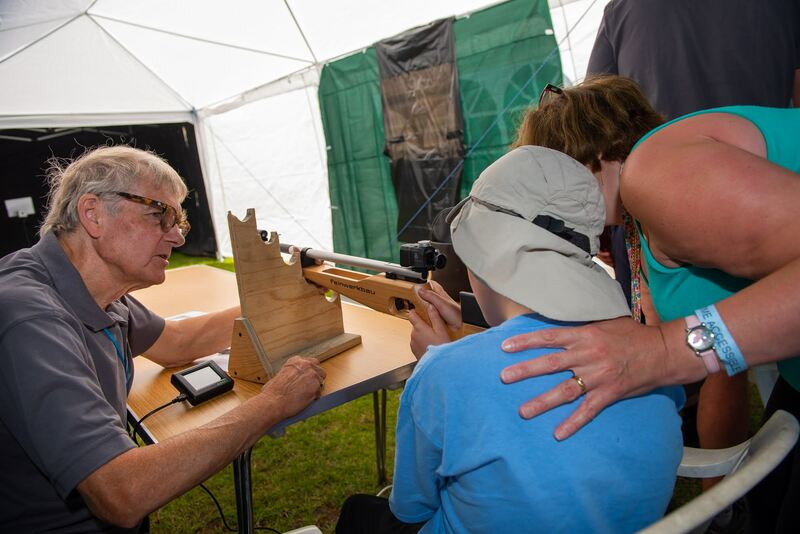 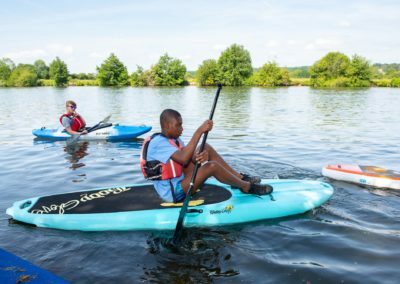 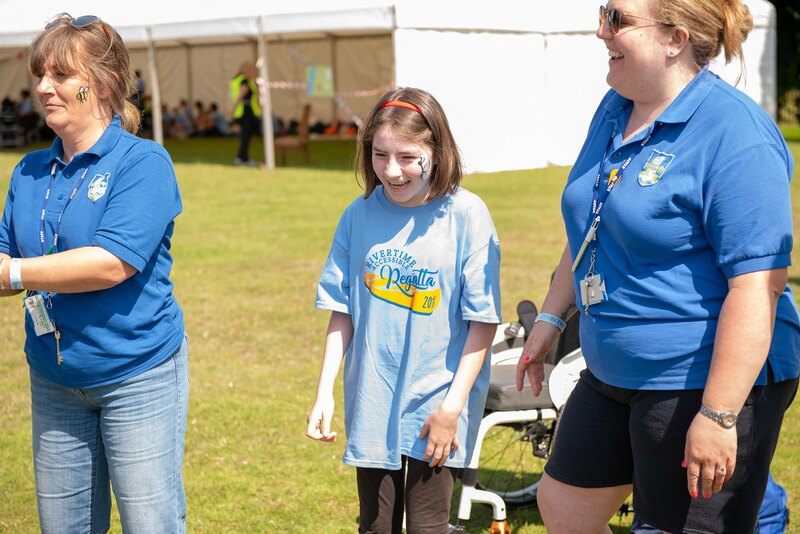 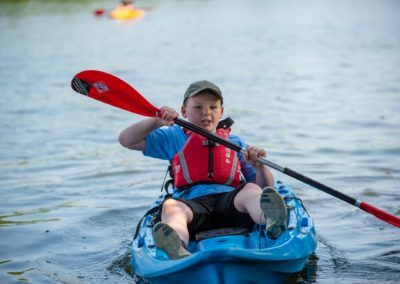 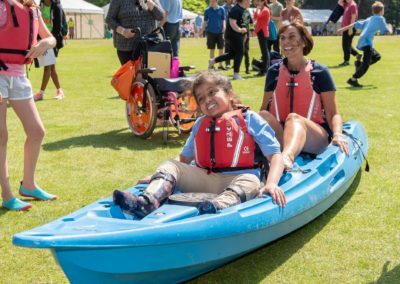 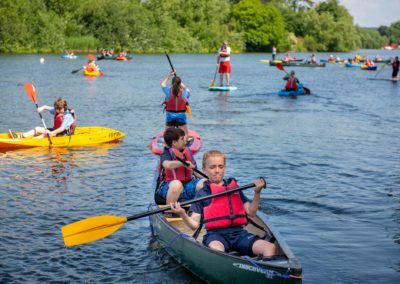 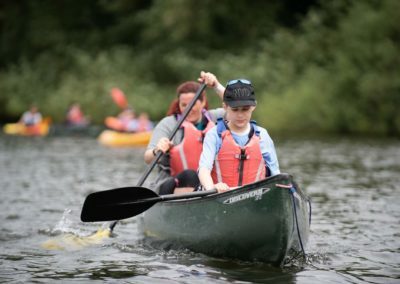 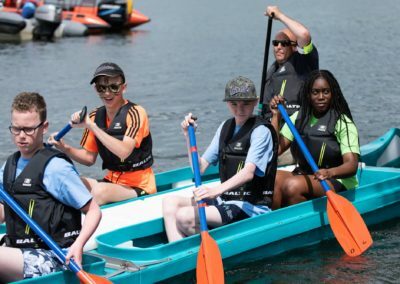 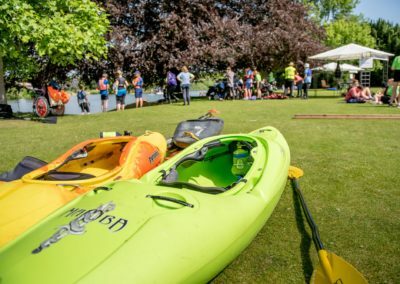 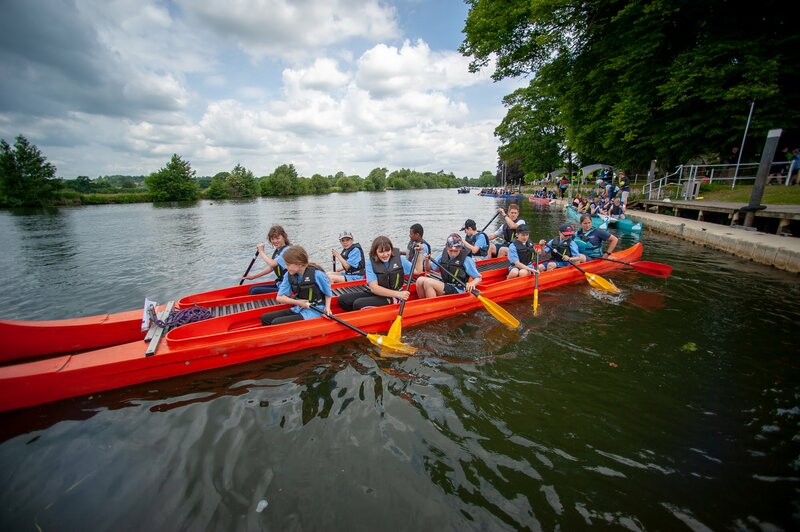 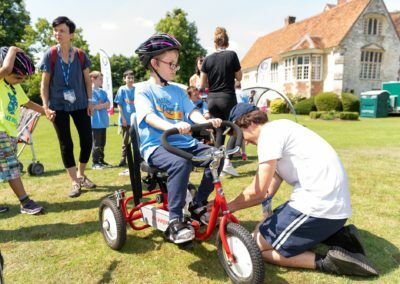 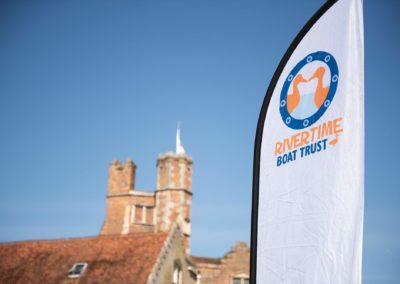 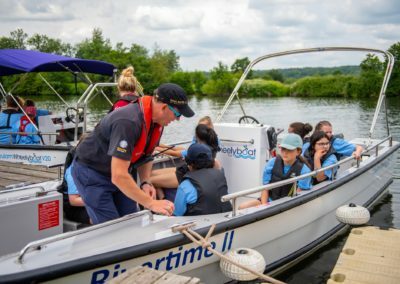 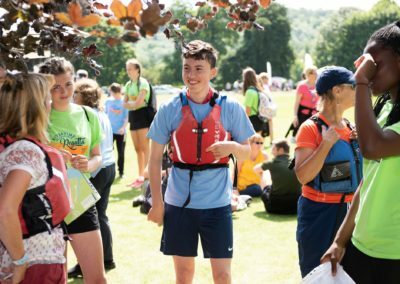 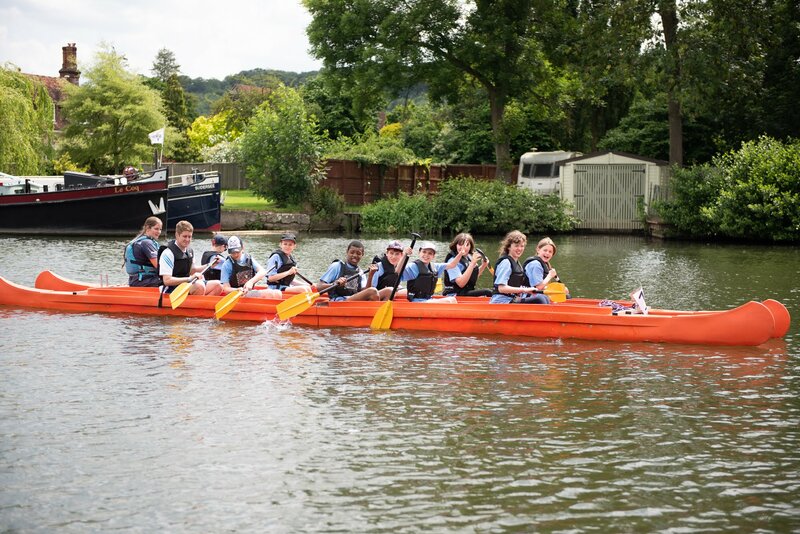 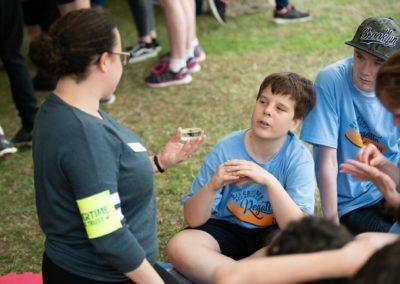 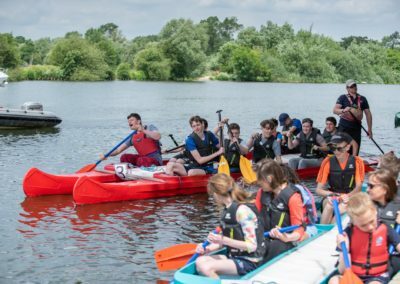 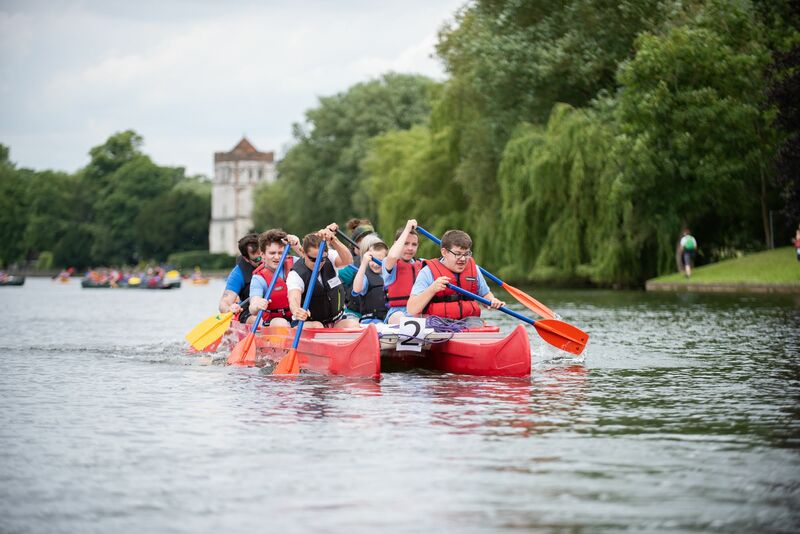 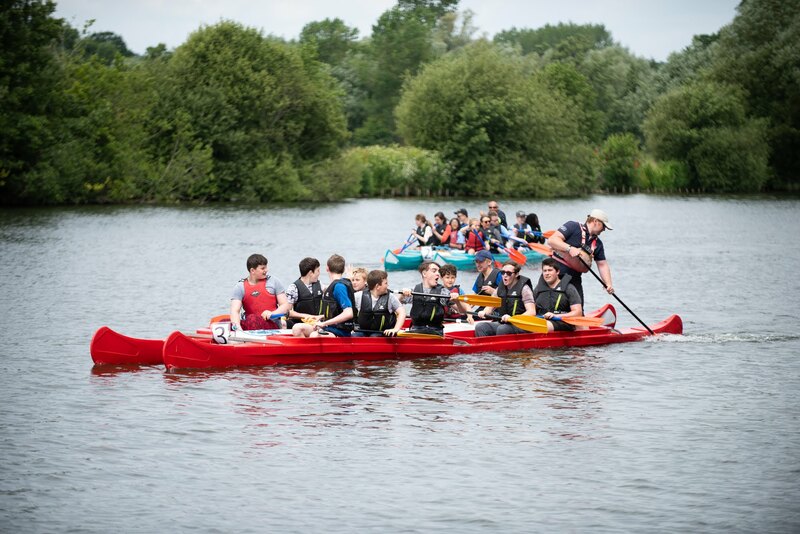 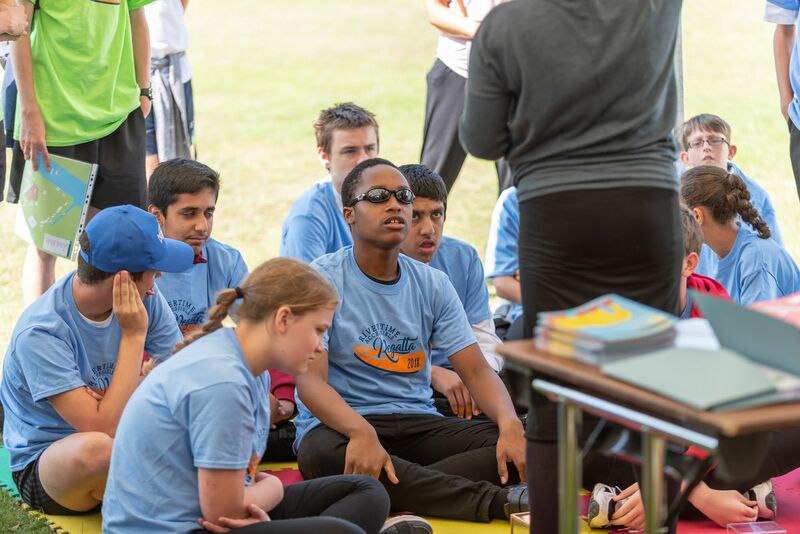 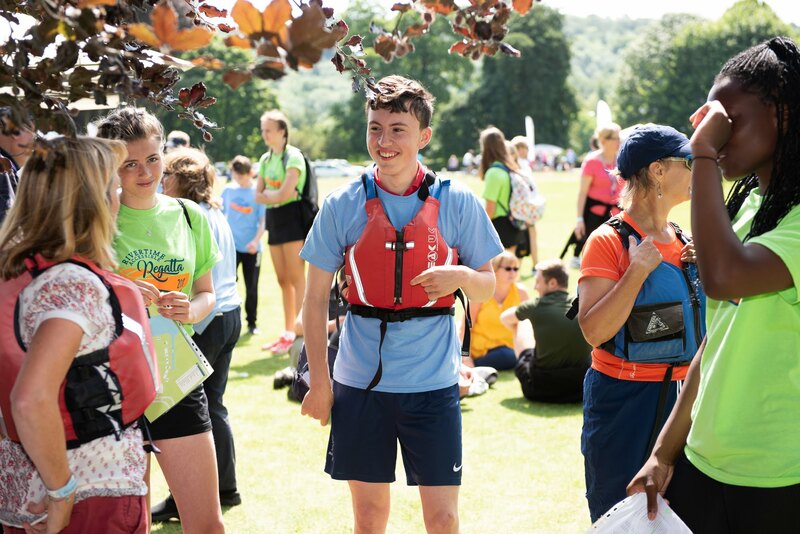 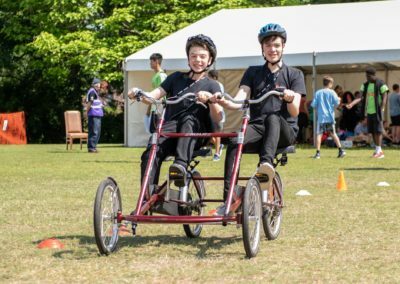 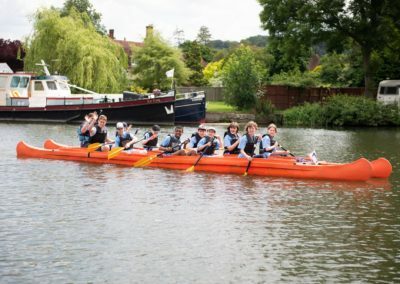 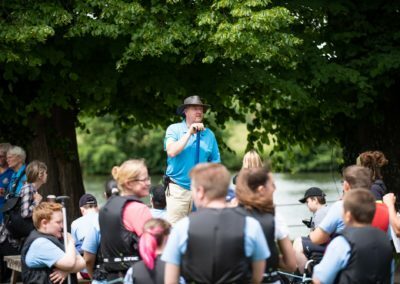 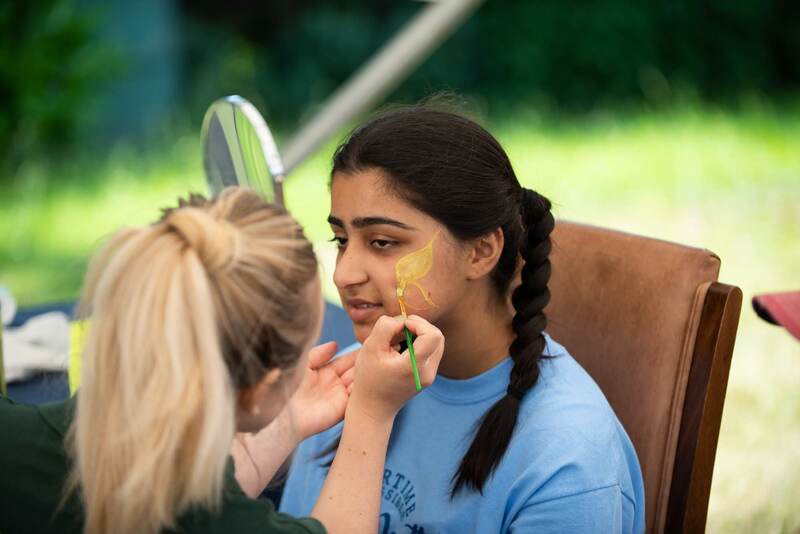 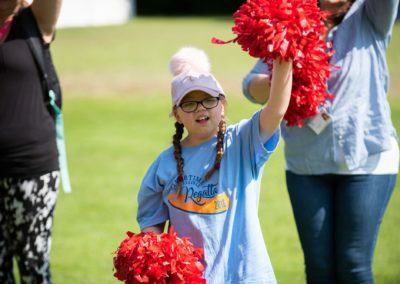 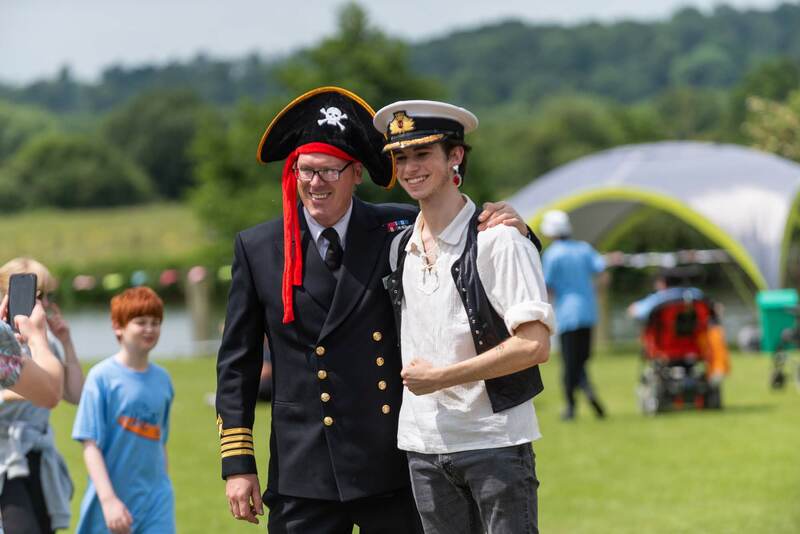 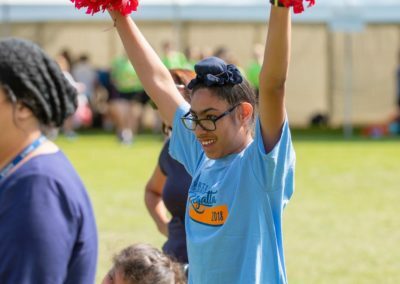 On 13th June 2018, the ‘Rivertime Boat Trust’ and ‘Give Them a Sporting Chance’ staged the second Rivertime Accessible Regatta in the Thames Valley for children and young people with disabilities. 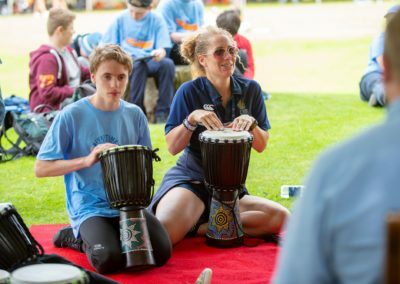 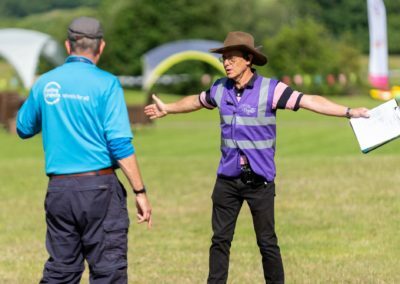 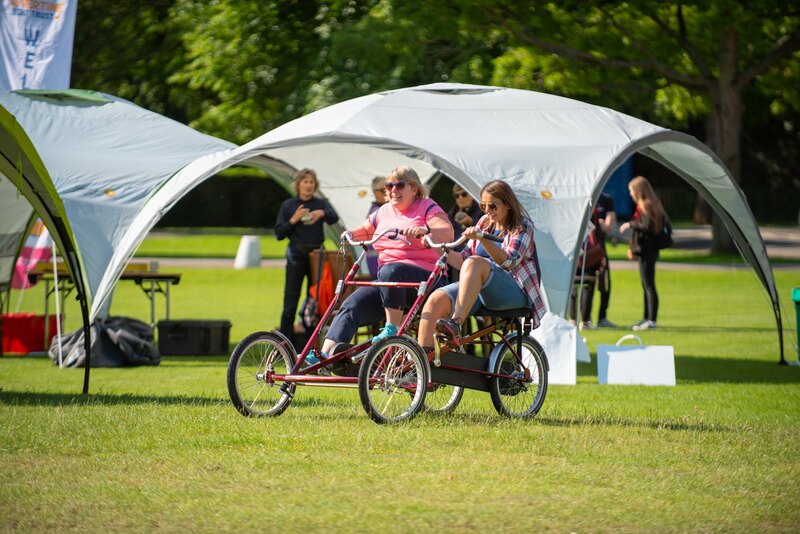 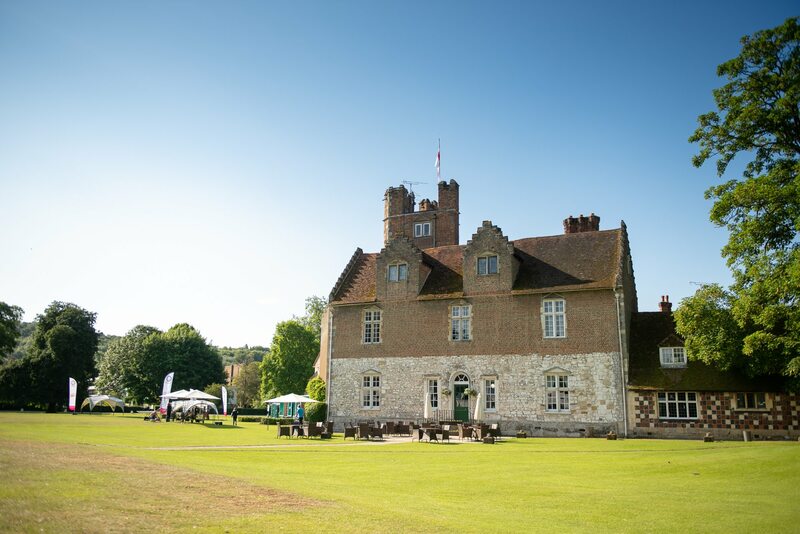 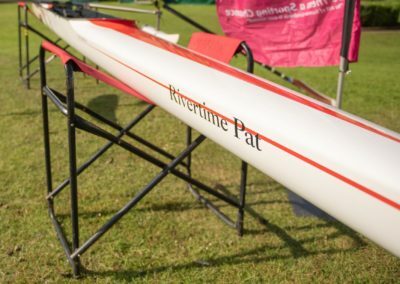 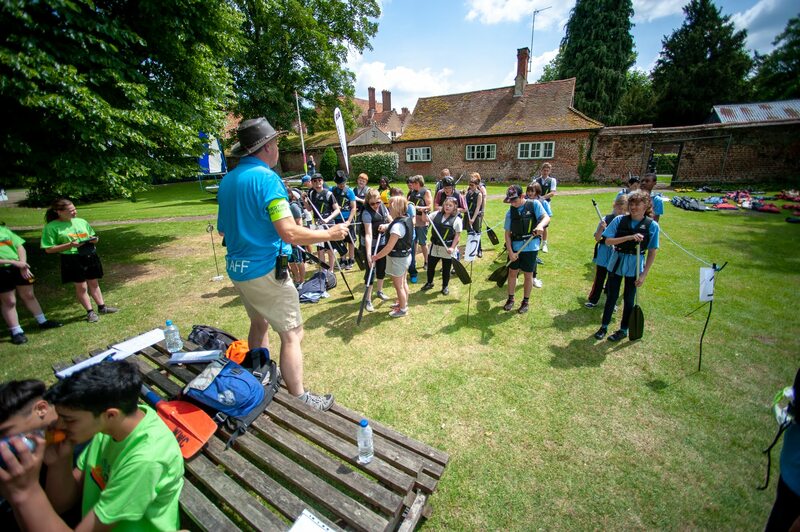 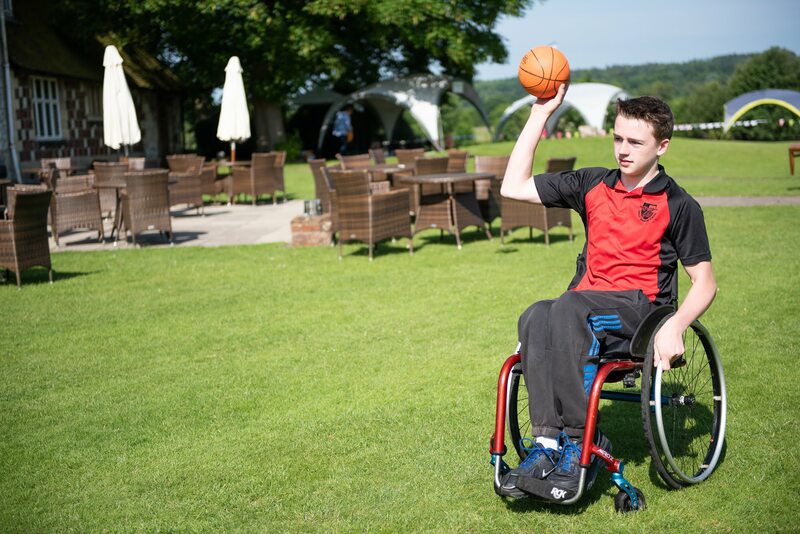 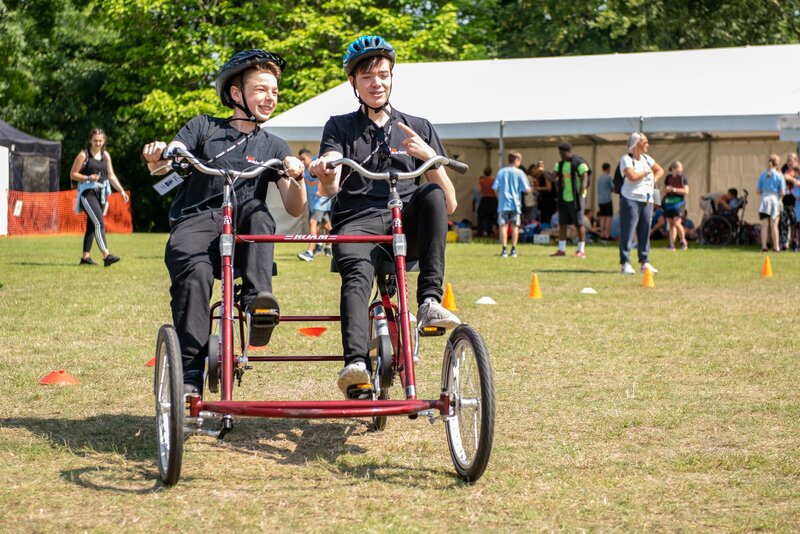 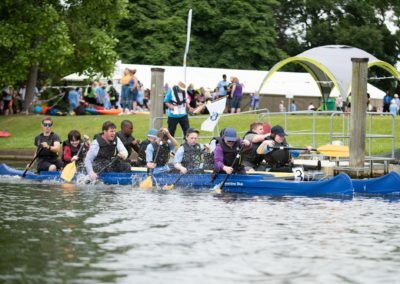 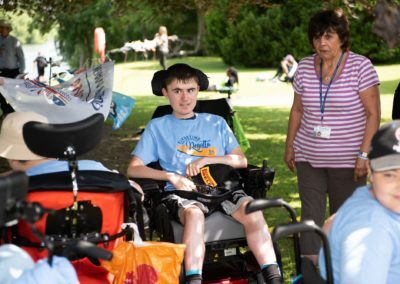 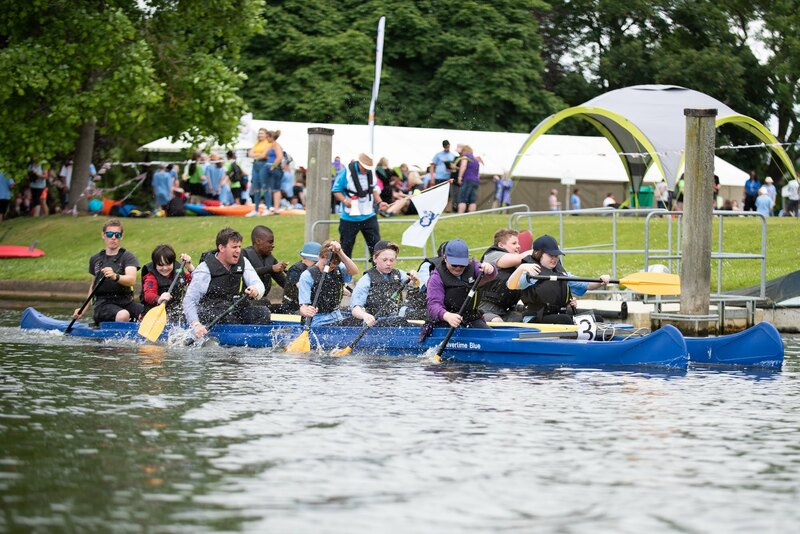 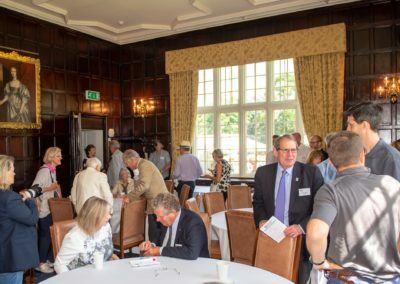 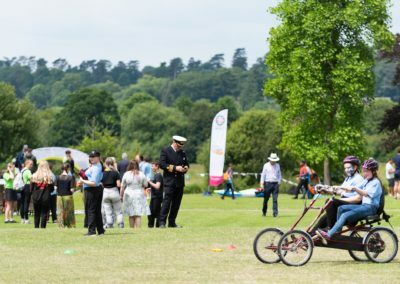 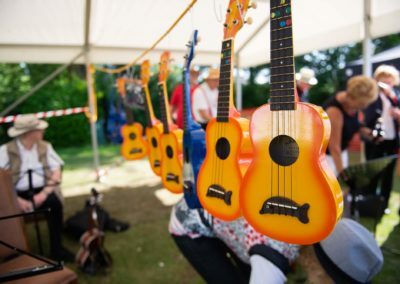 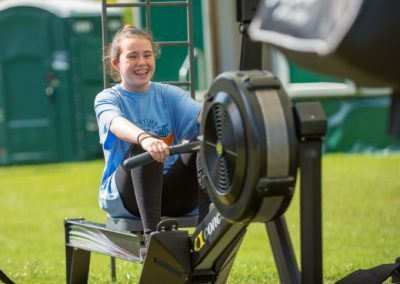 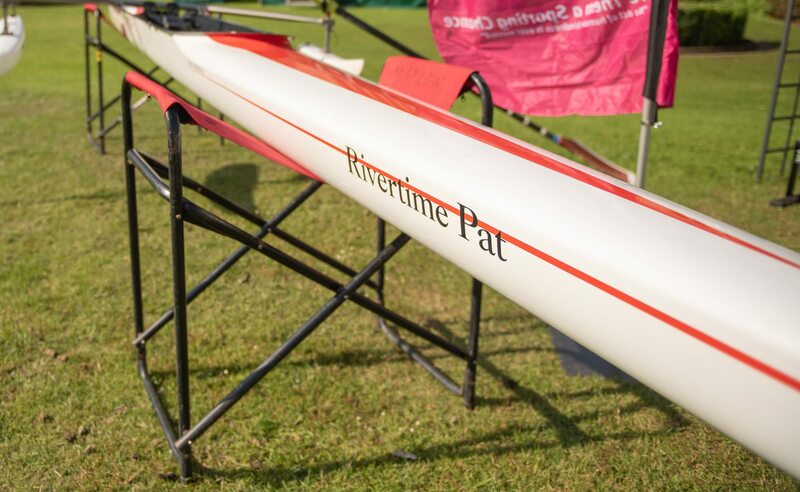 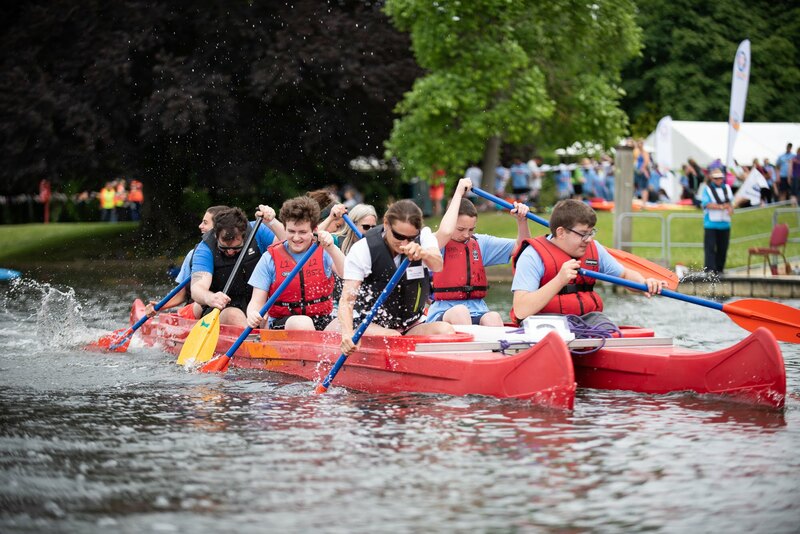 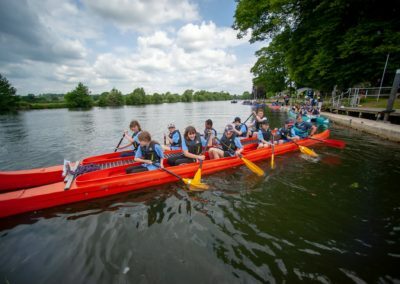 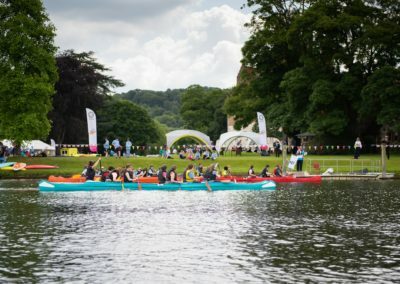 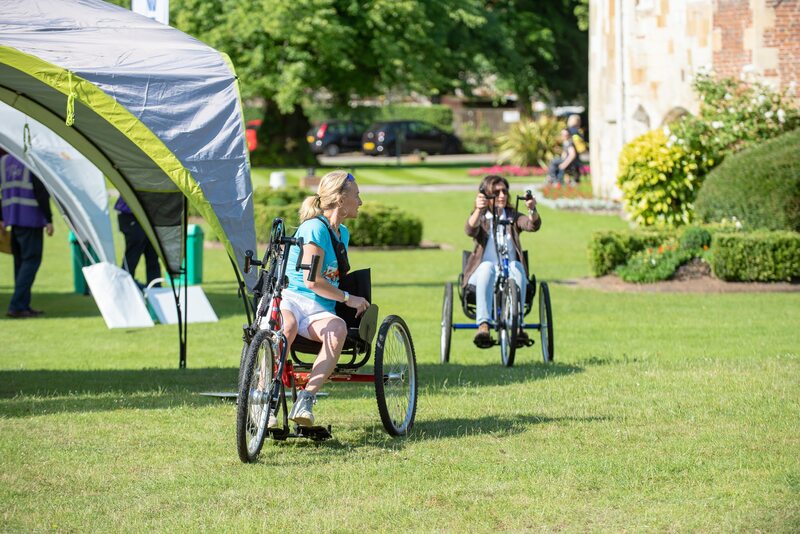 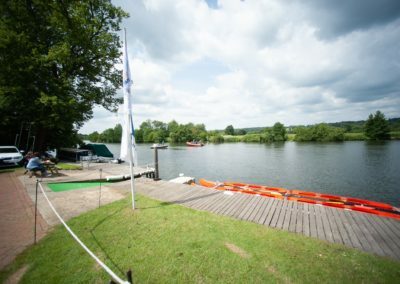 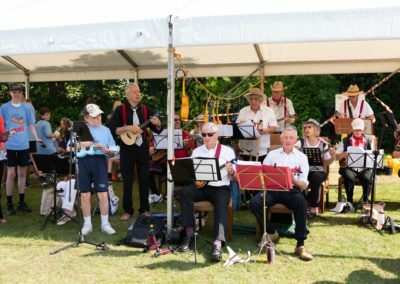 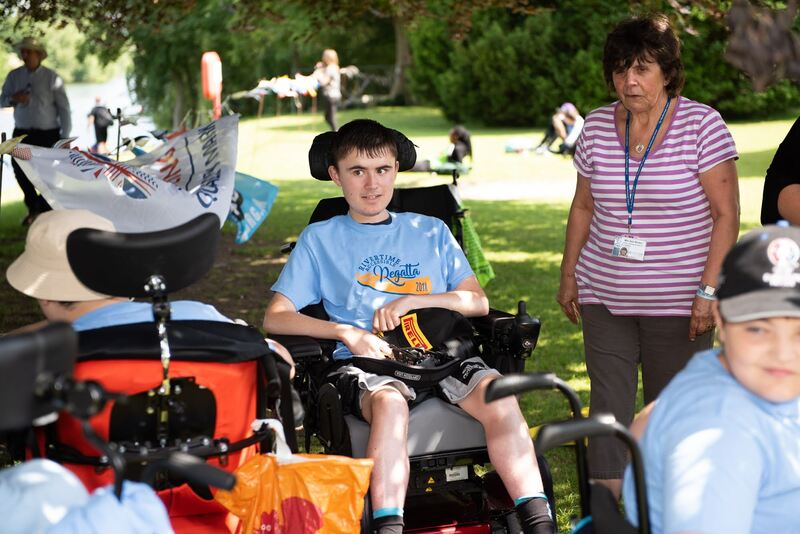 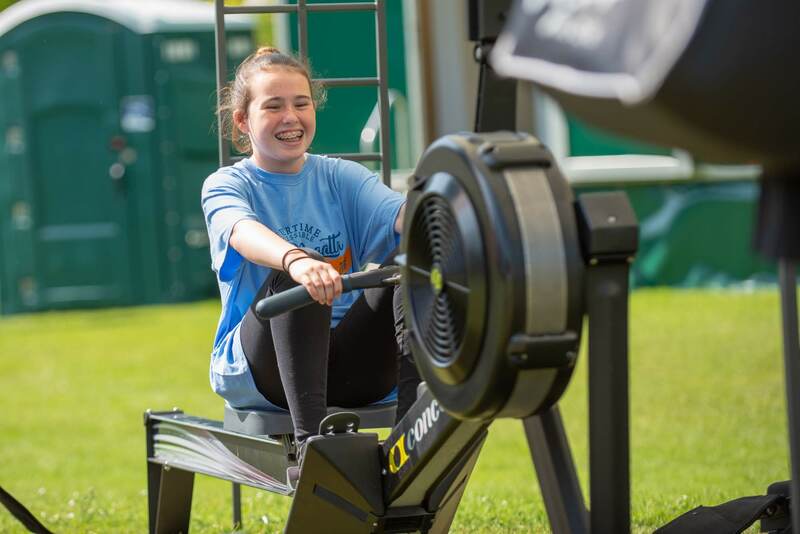 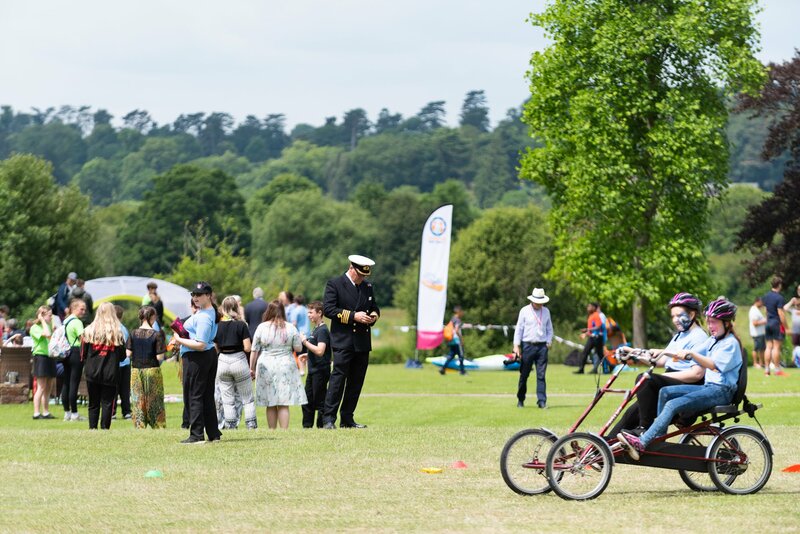 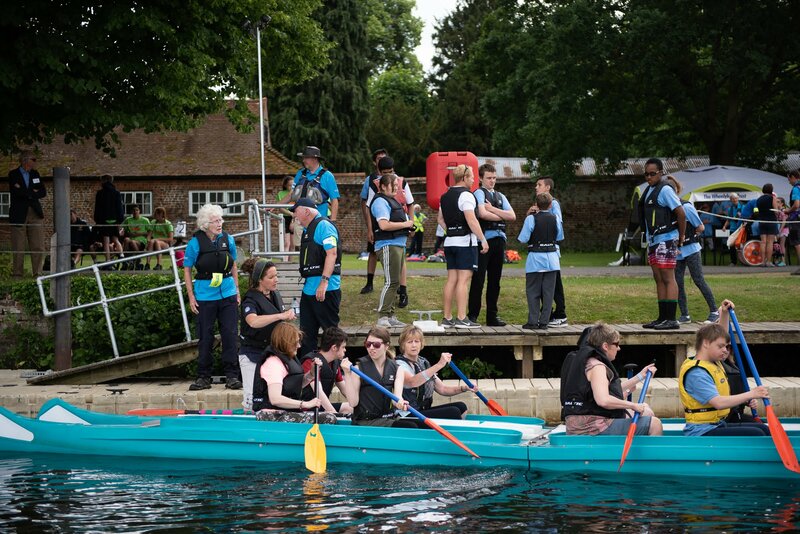 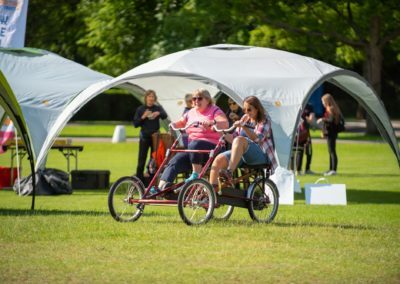 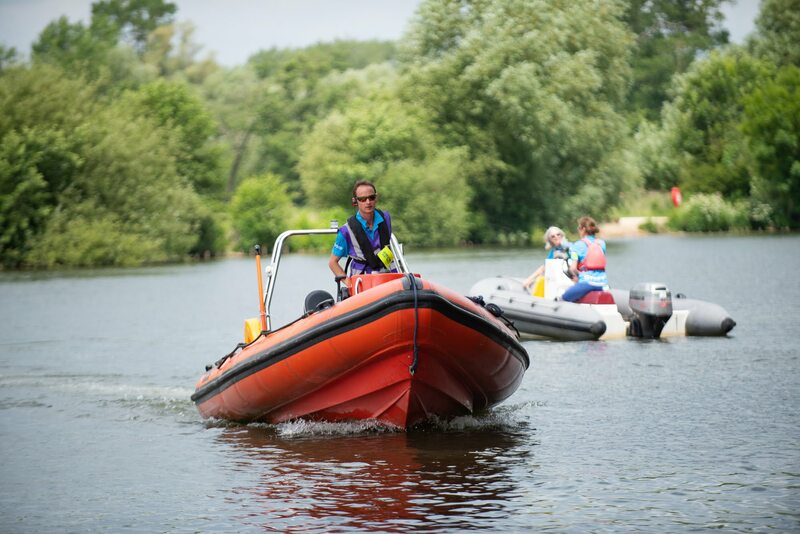 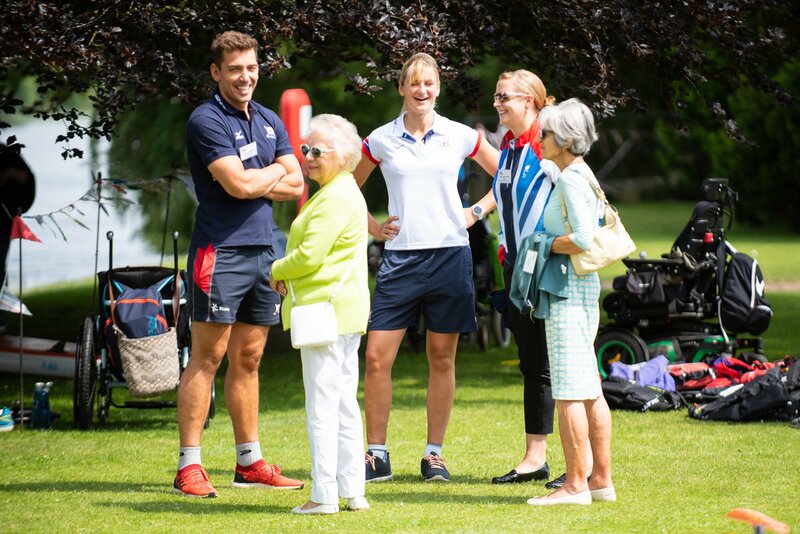 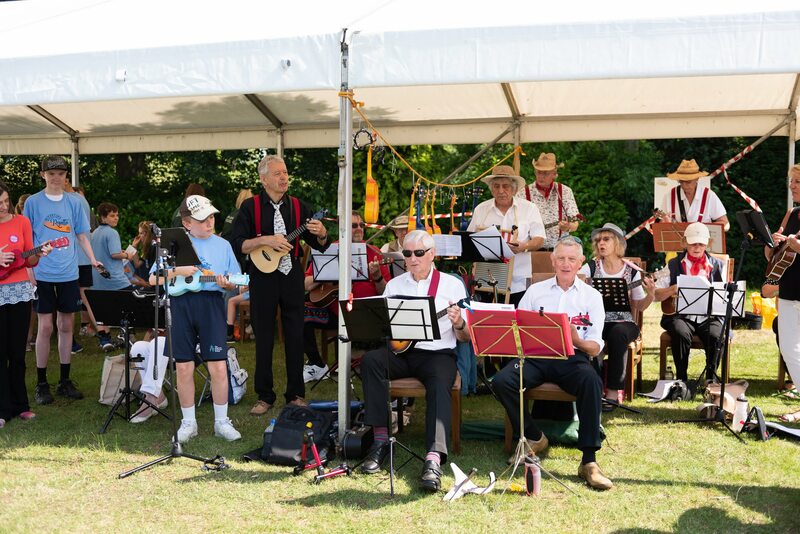 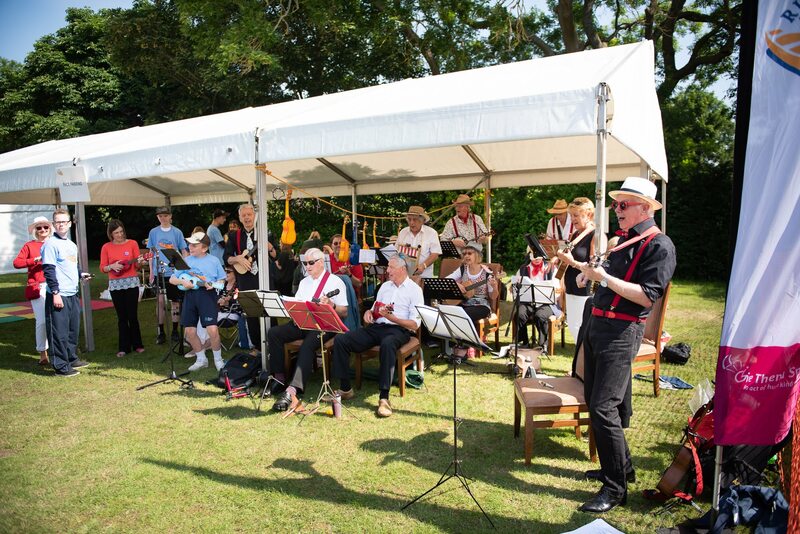 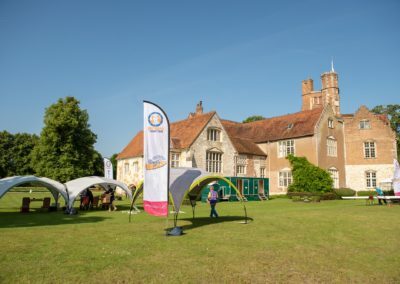 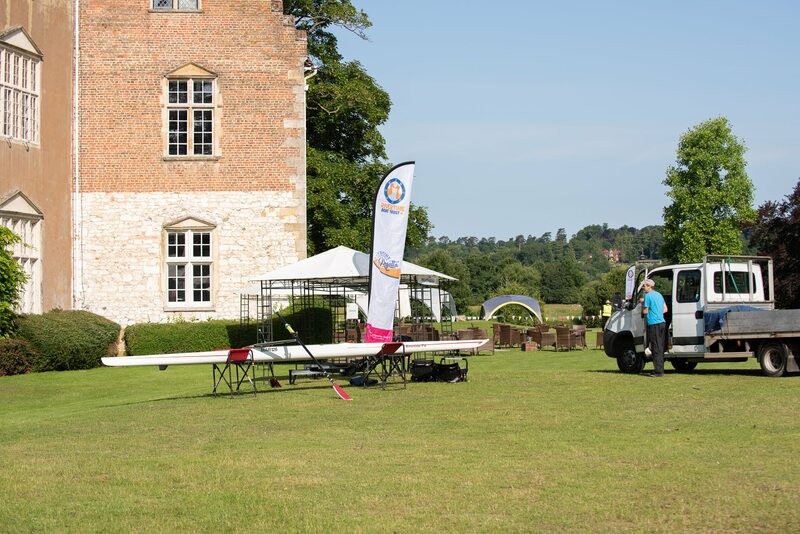 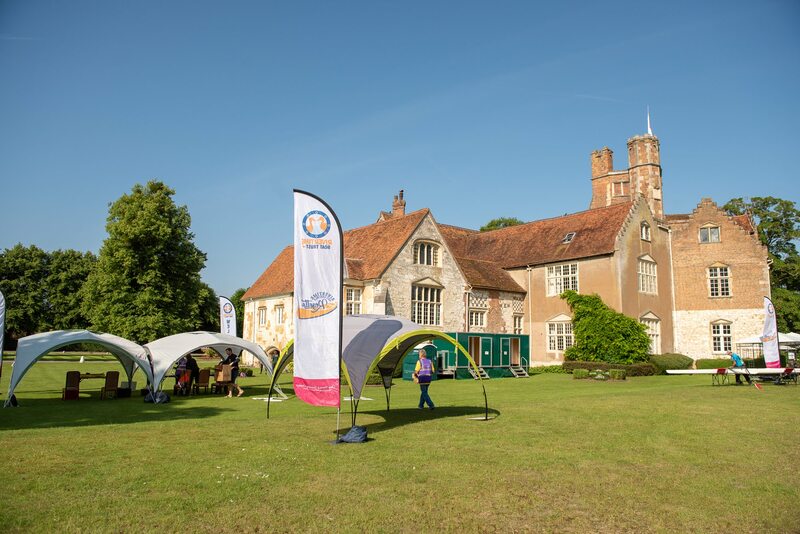 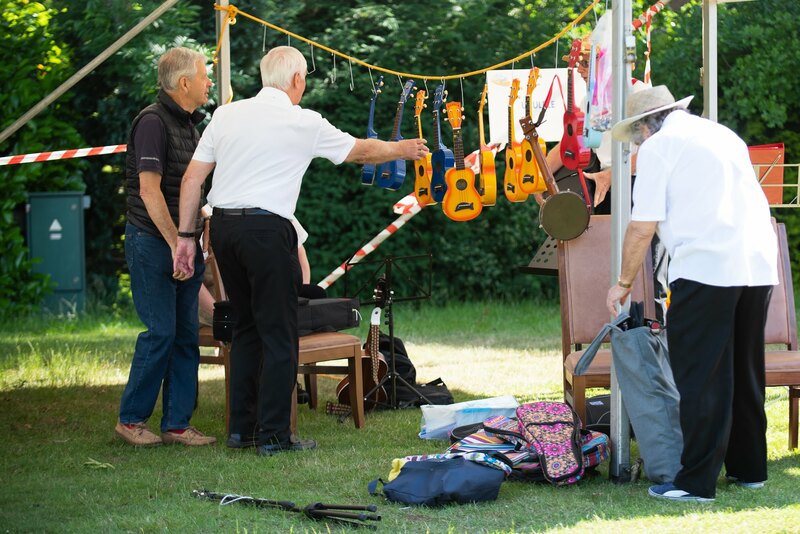 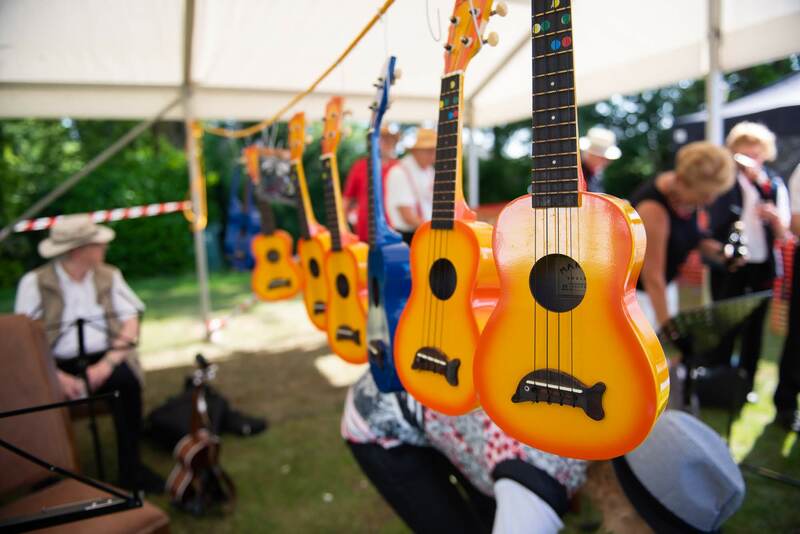 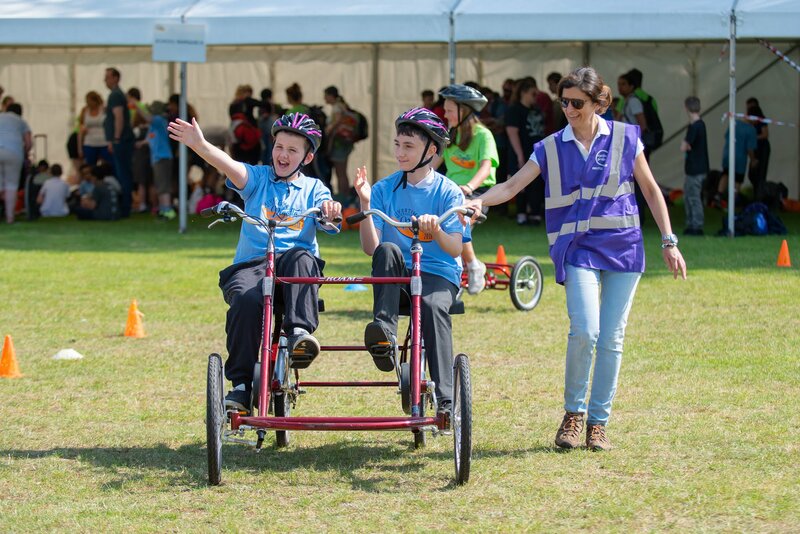 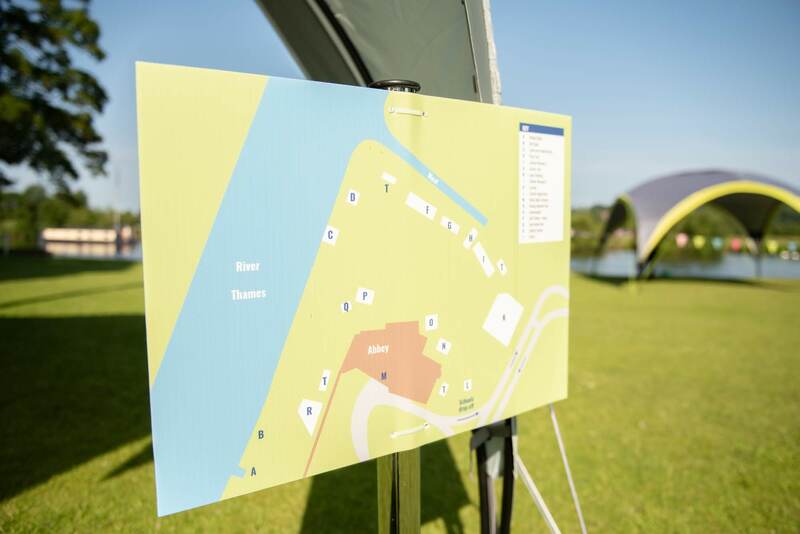 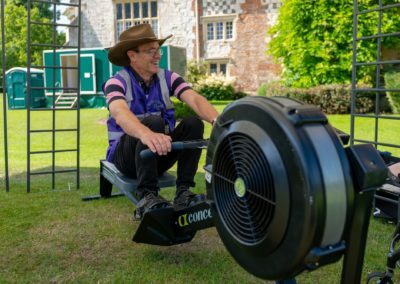 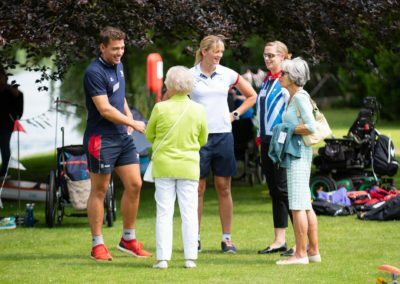 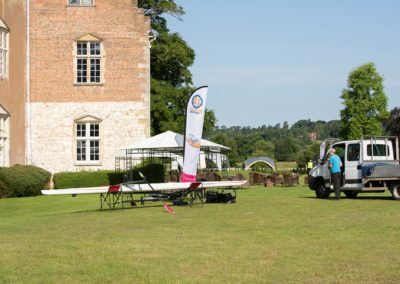 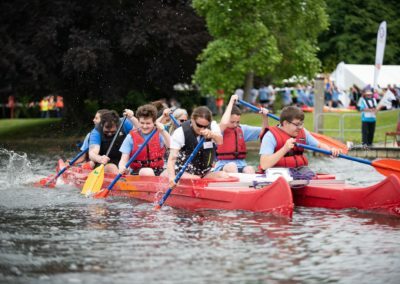 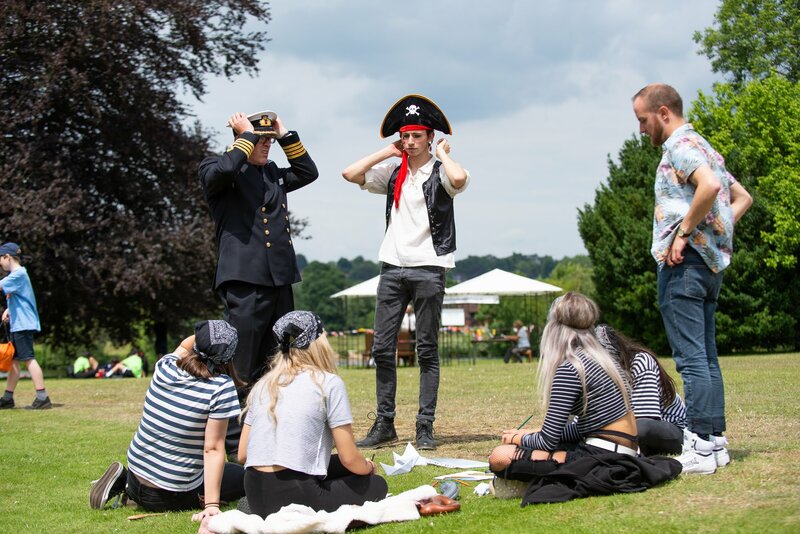 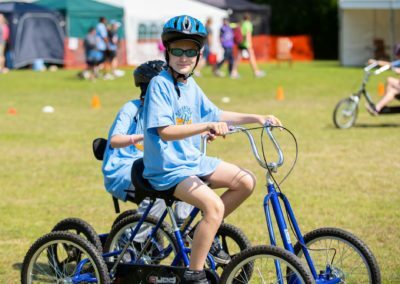 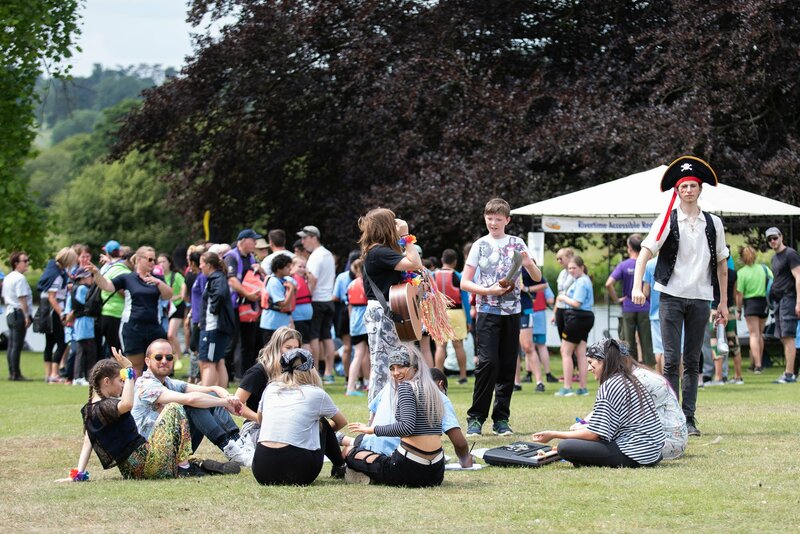 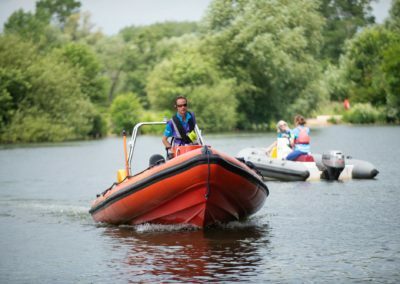 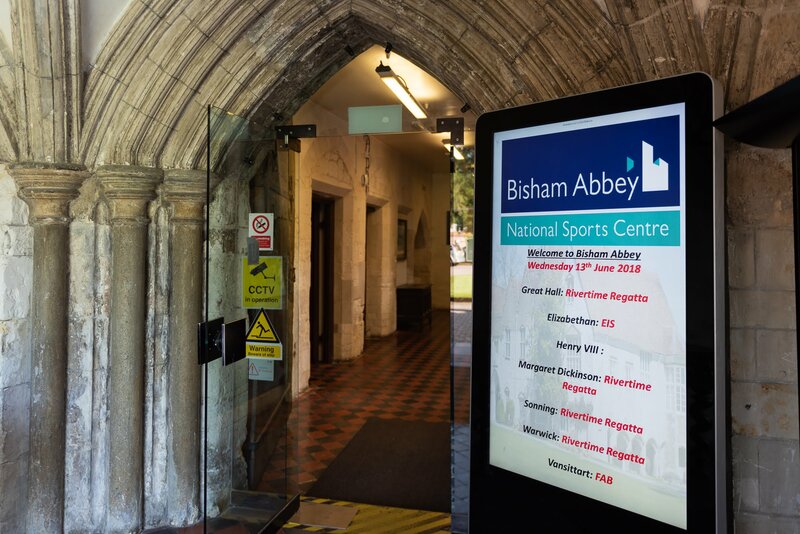 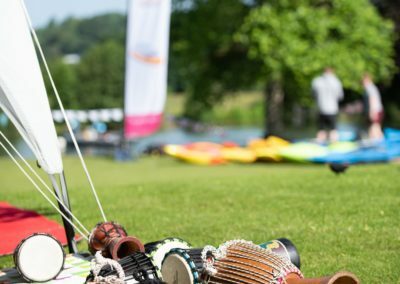 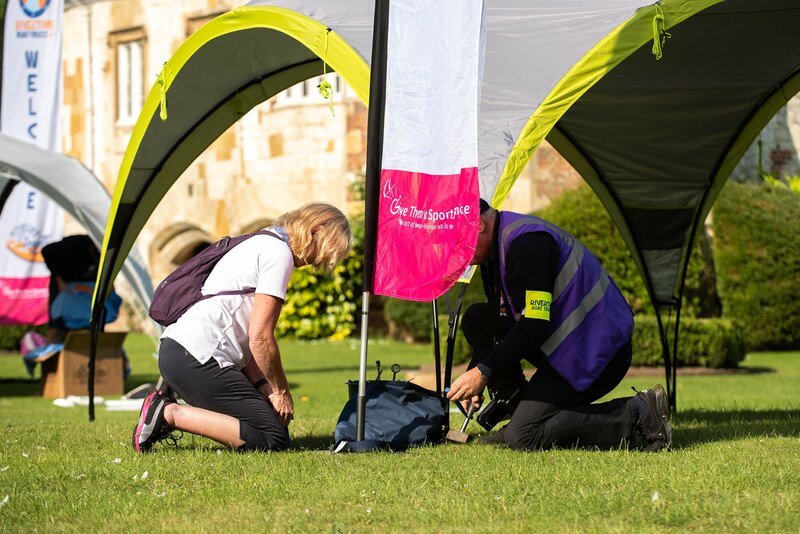 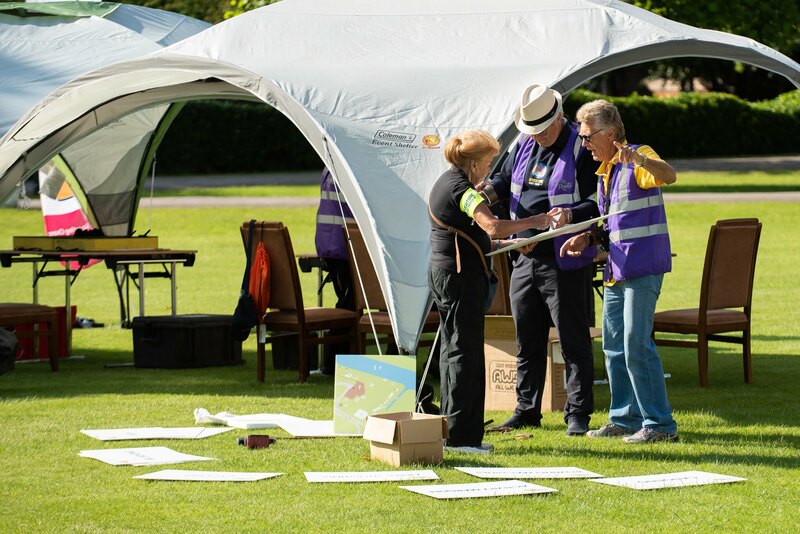 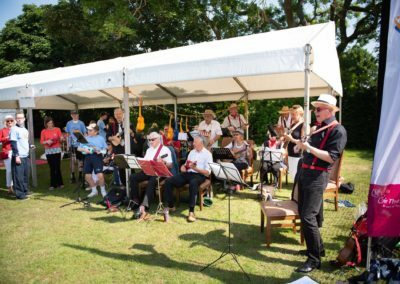 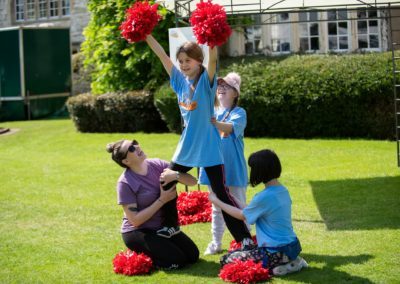 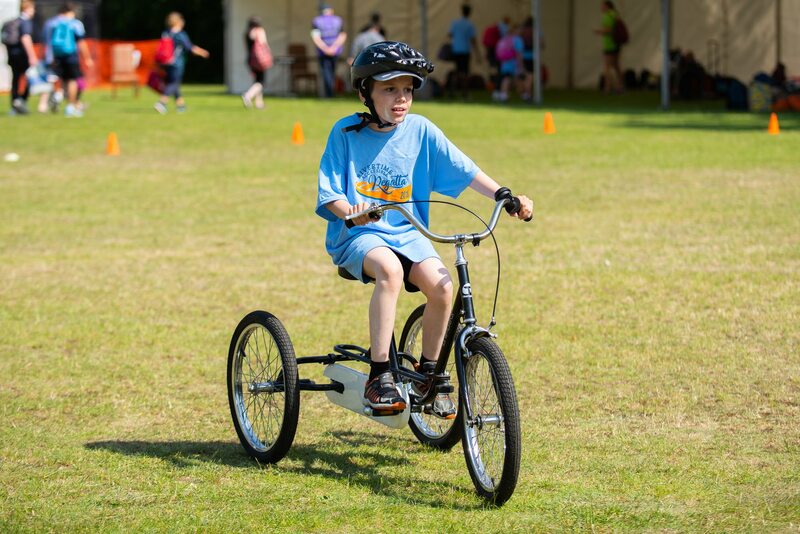 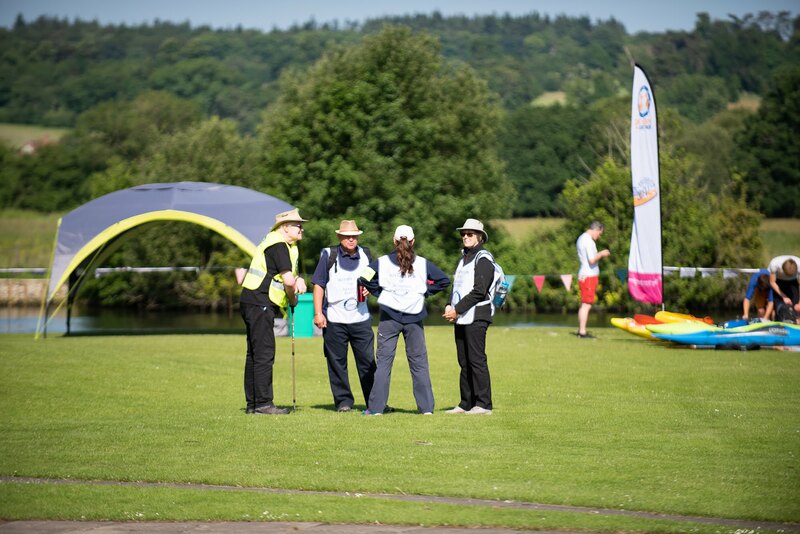 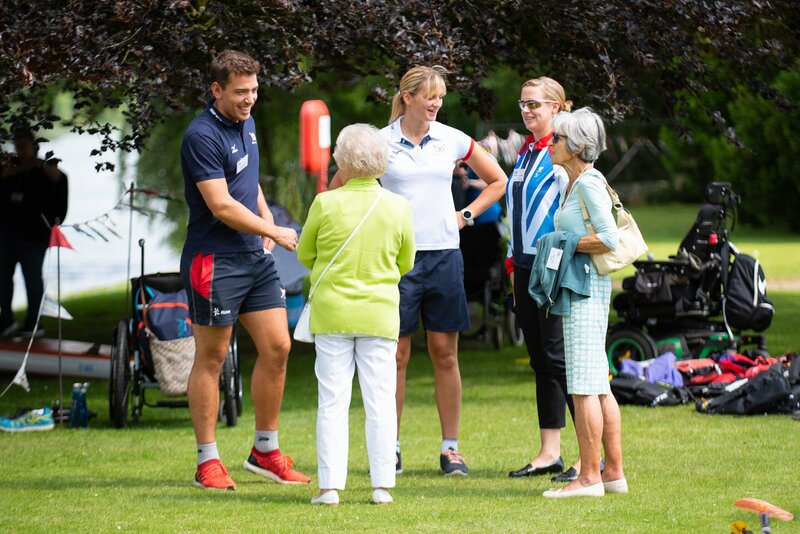 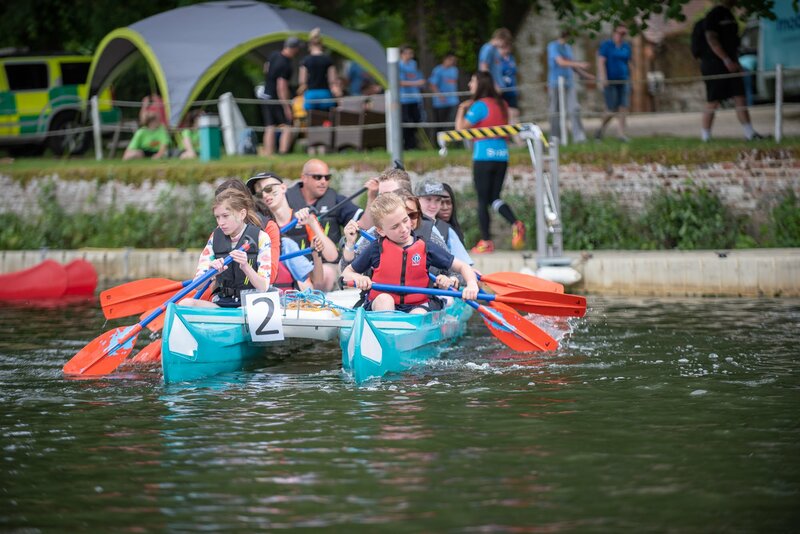 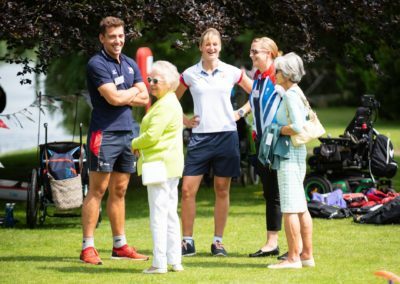 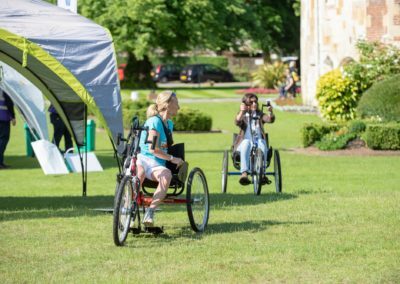 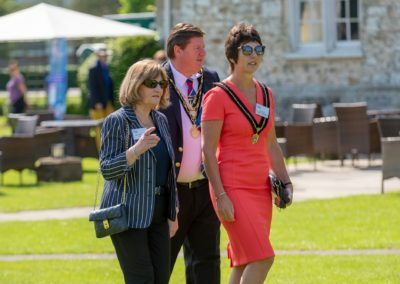 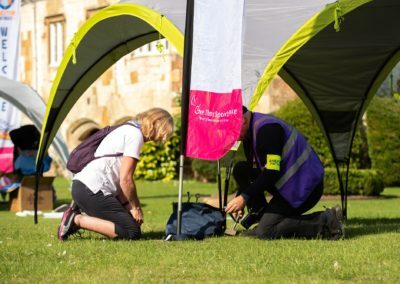 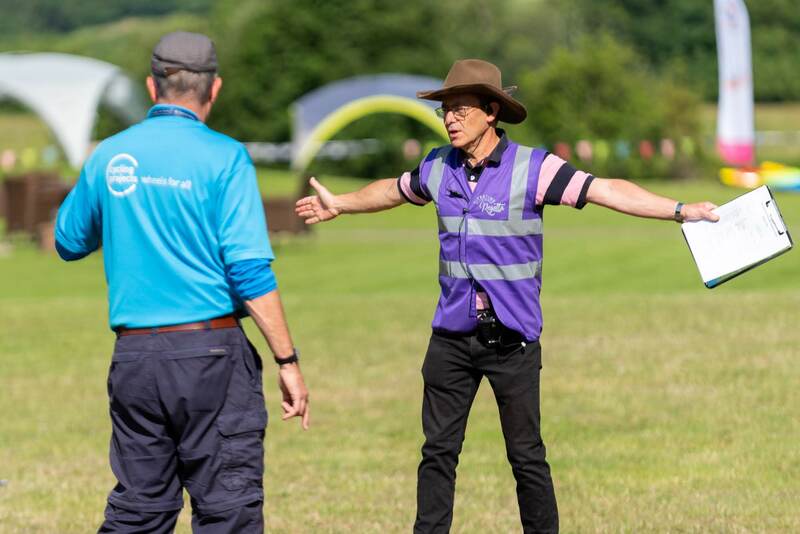 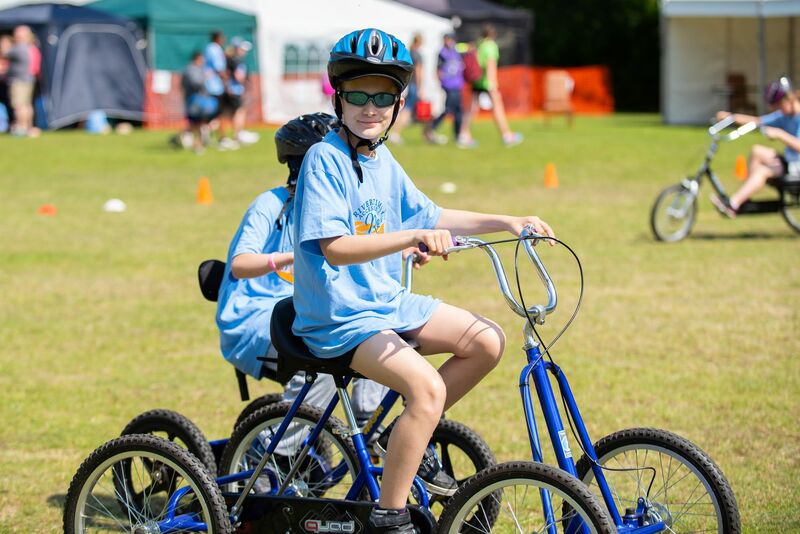 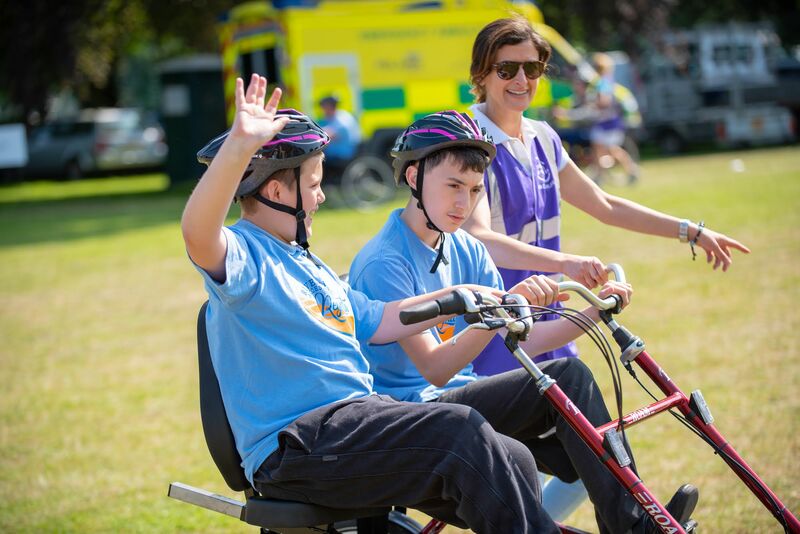 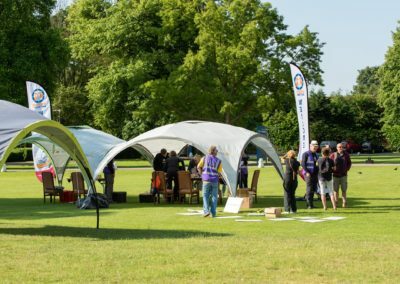 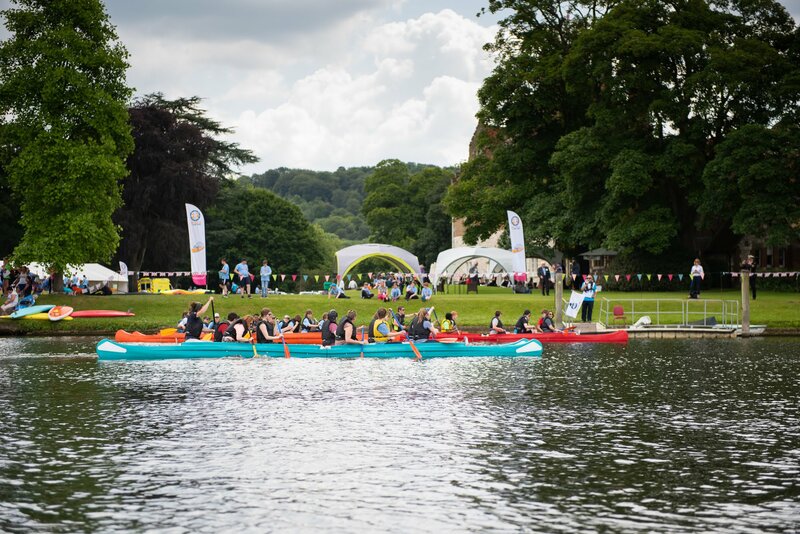 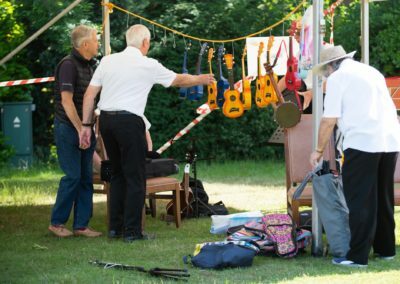 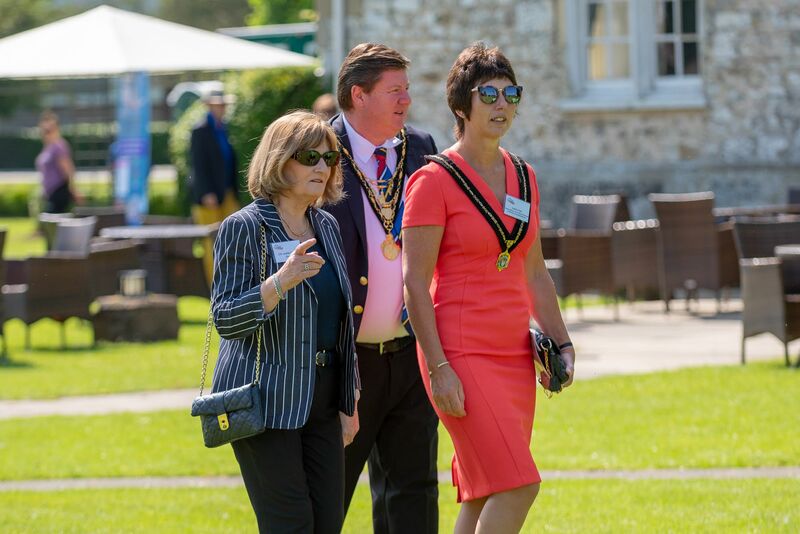 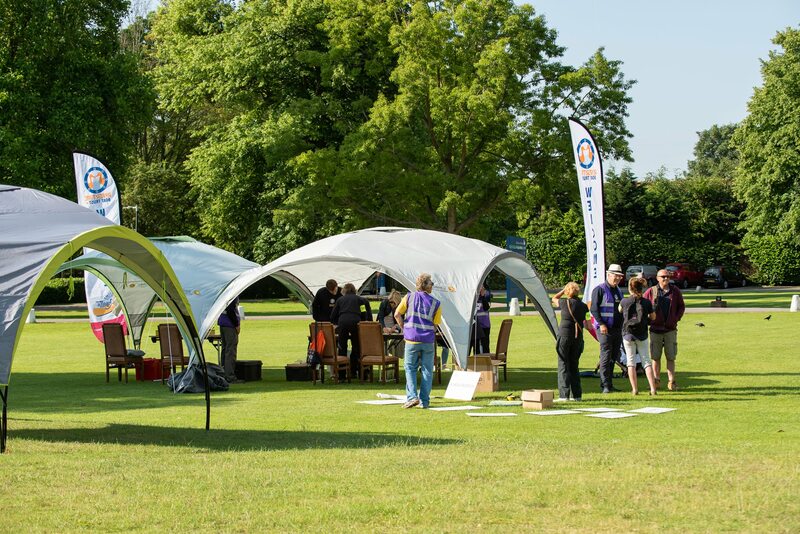 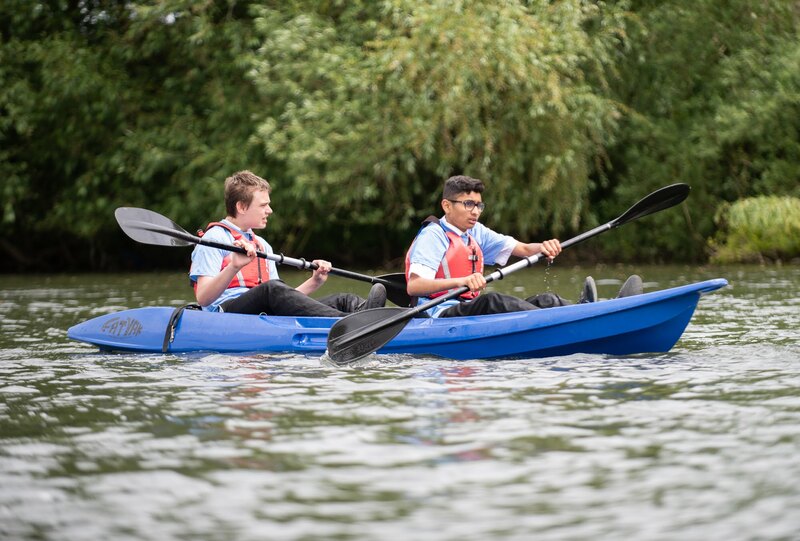 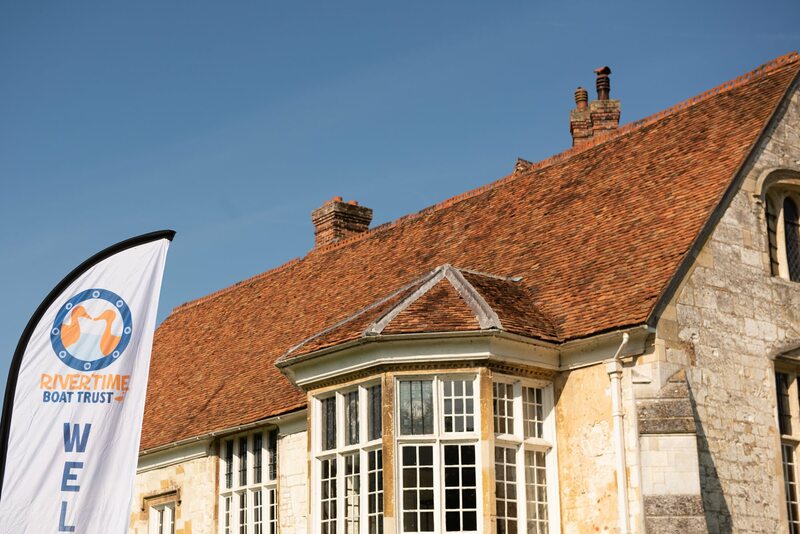 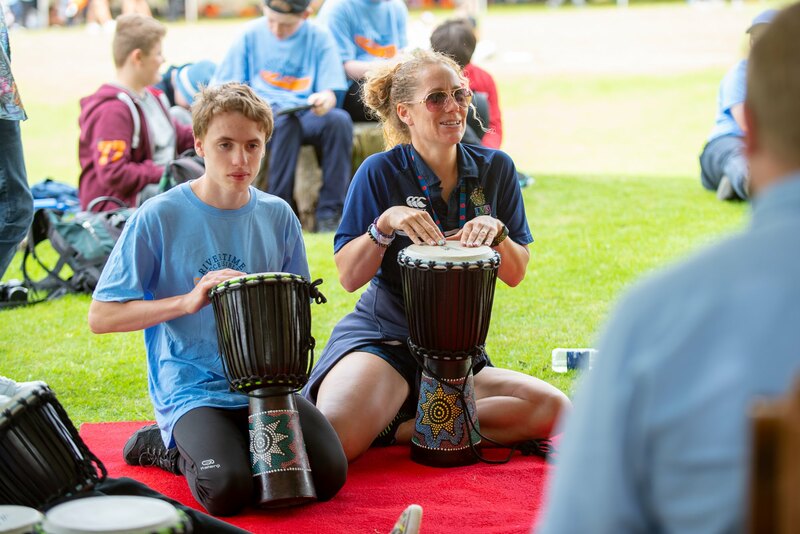 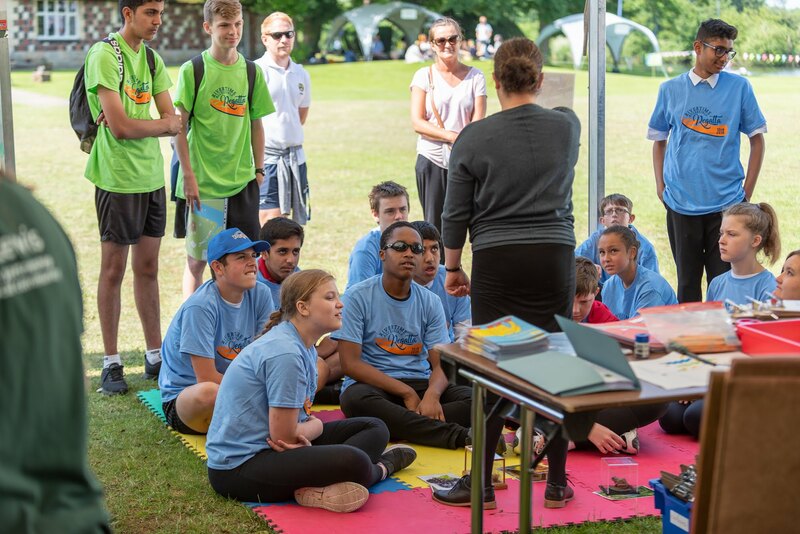 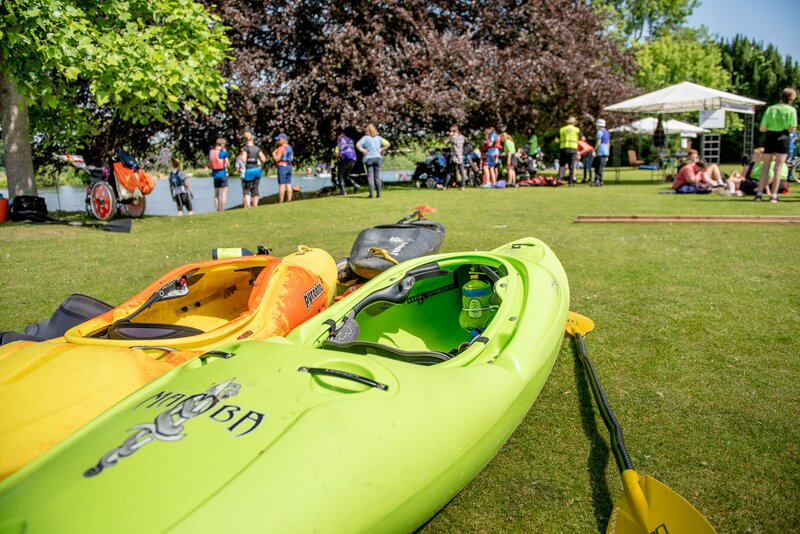 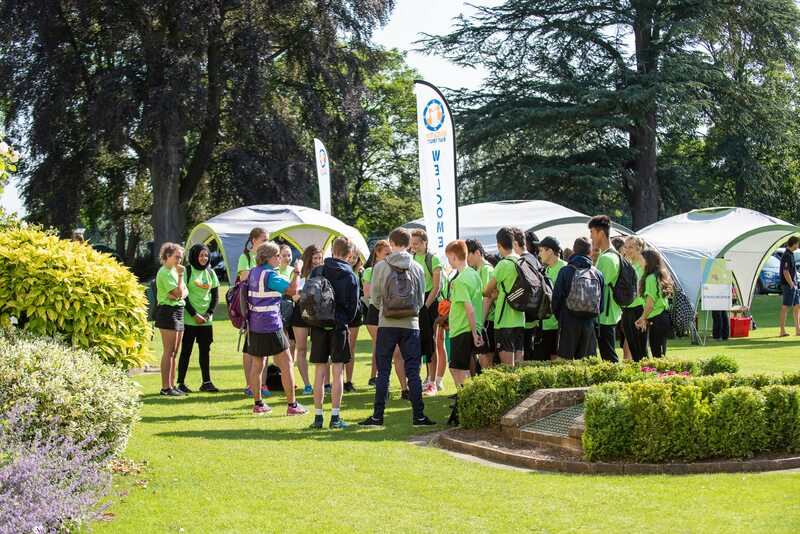 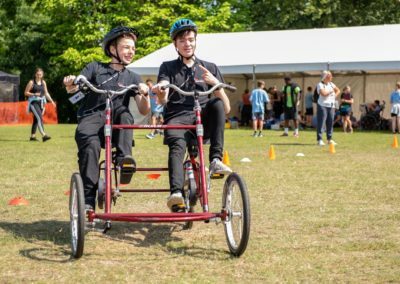 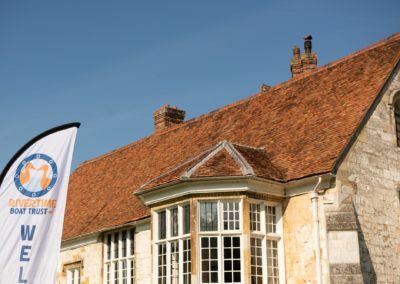 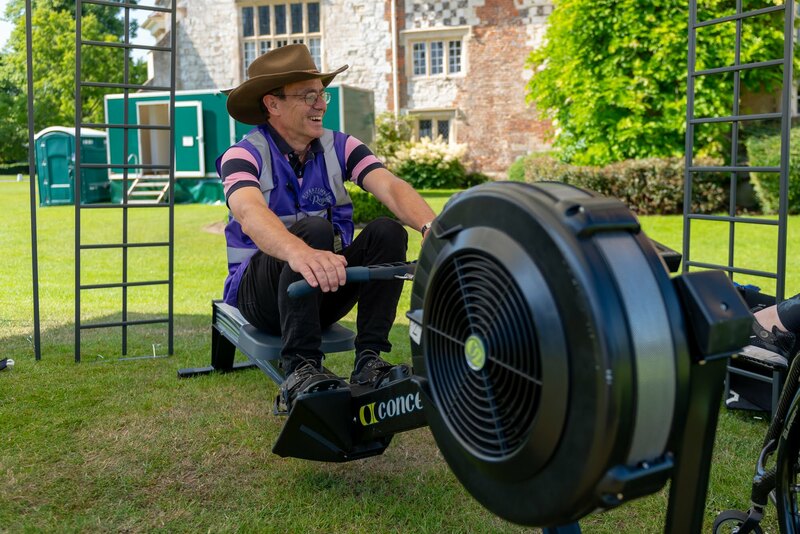 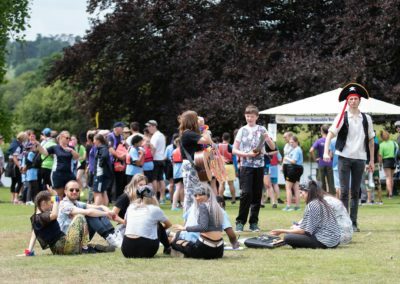 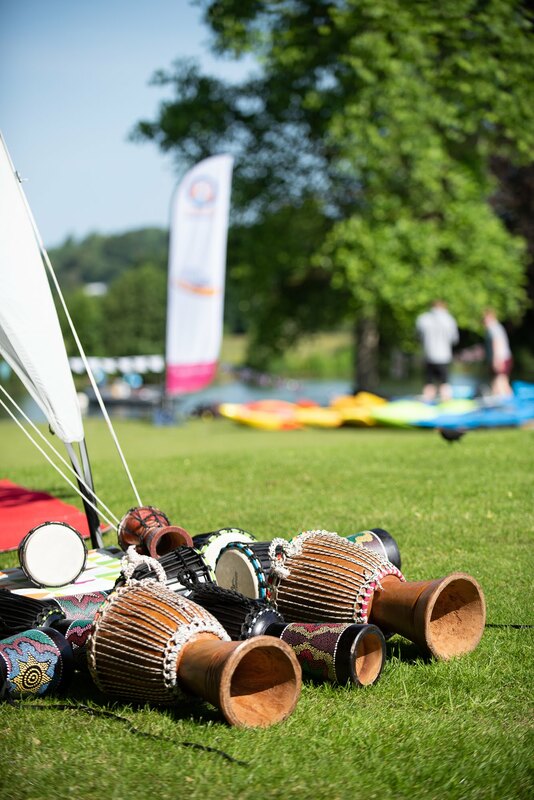 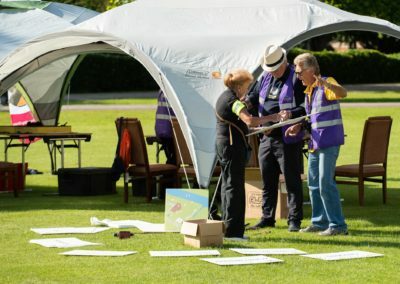 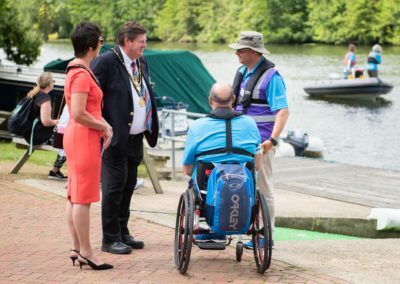 The Regatta held at the Bisham Abbey National Sports Centre, Berkshire included competitive bell boating, accessible sailing, wheelchair powerboating and canoeing, as well as a variety of land-based sports and training activities. 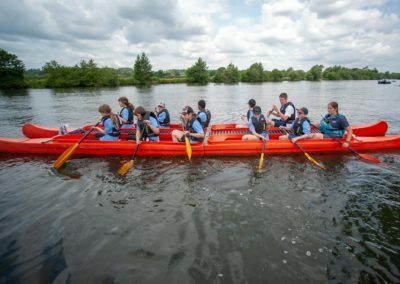 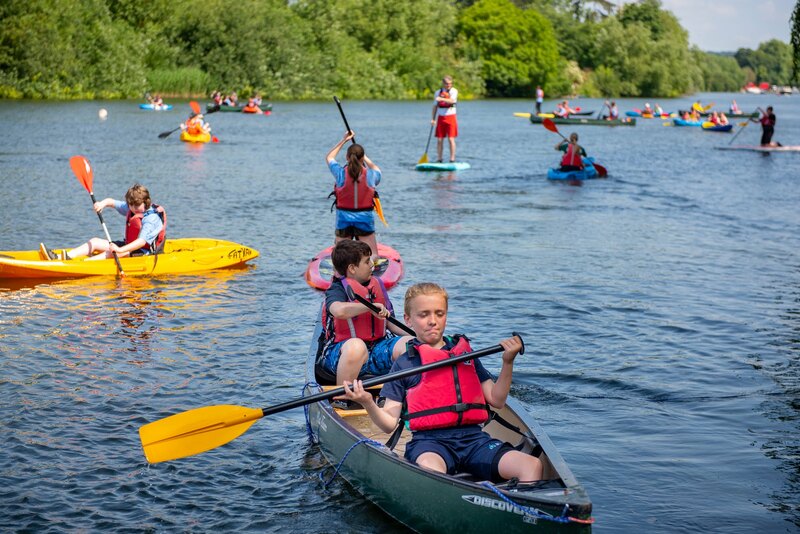 Nine organisations provided 18 different participatory sport and activities, including eight water sports and this allowed more than 300 children and young people from 23 SEN Schools based across six counties a unique chance to get out on the water in a safe and controlled environment and try a new sport or activity they might not otherwise have the opportunity to do. 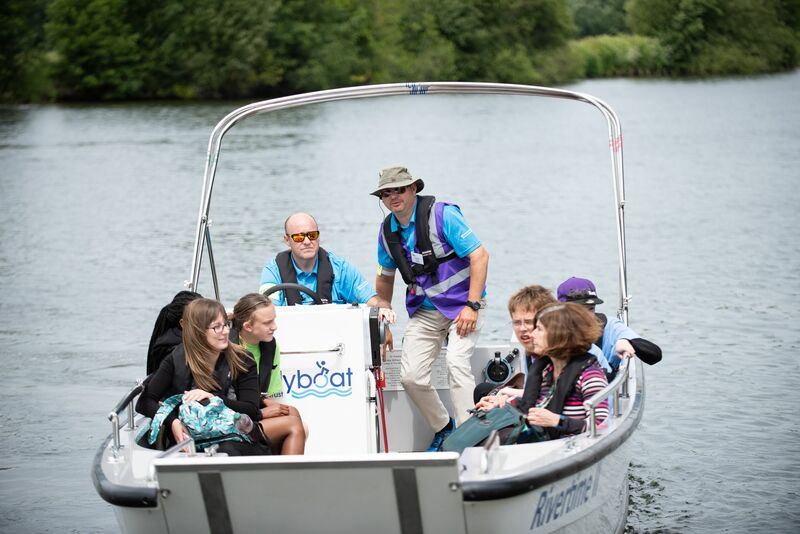 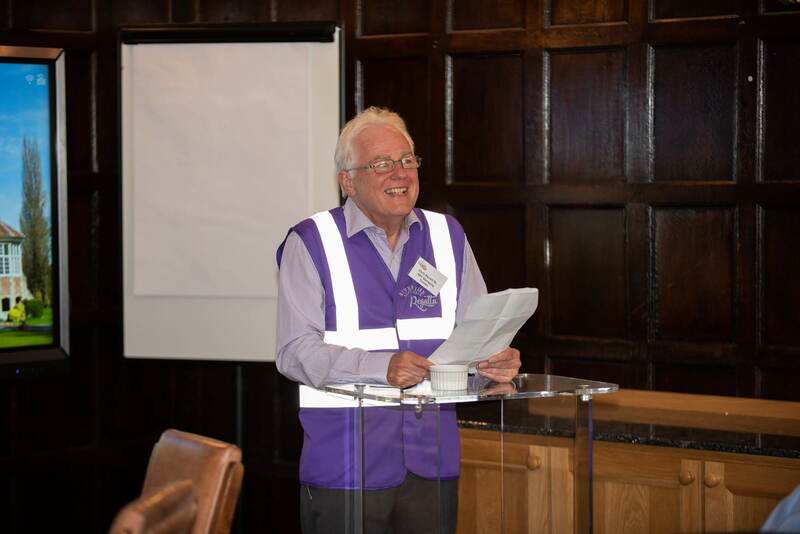 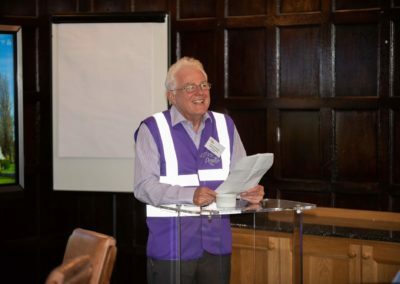 They were ably supported by over 40 volunteers from the Rivertime Boat Trust and Rotarians. 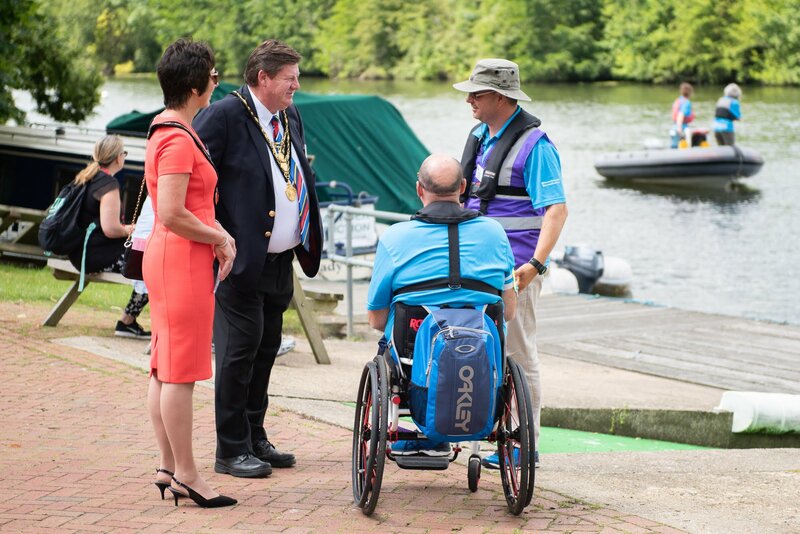 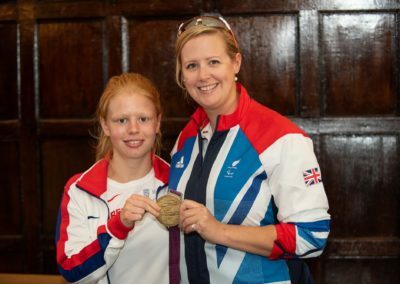 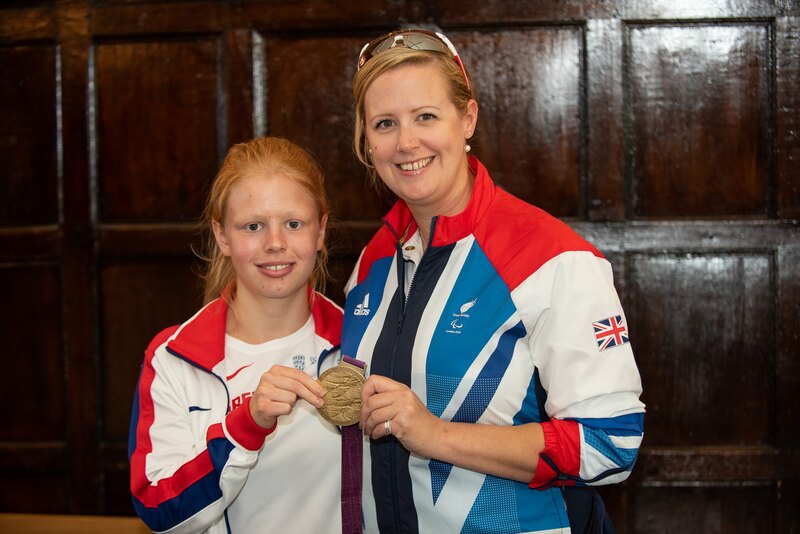 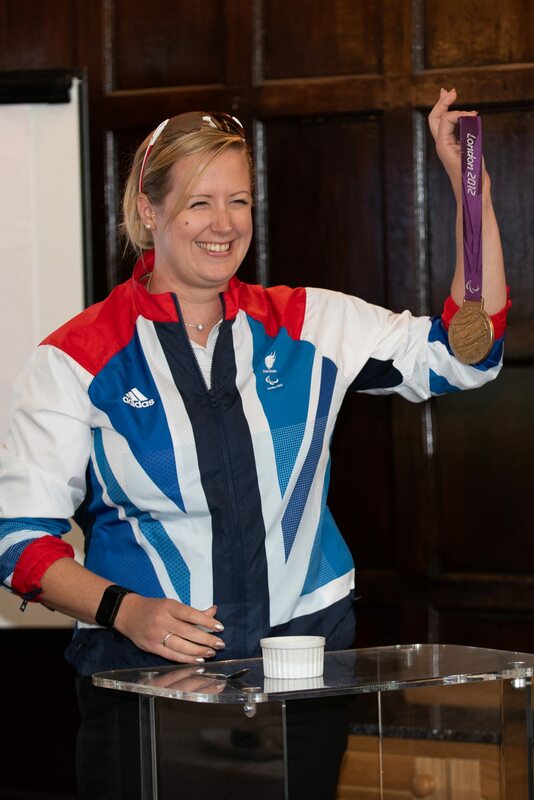 Sarah Newton MP, Minister of State for Disability, Health & Work, officially opened this year’s Regatta and its Patron, Paralympic Gold medallist Naomi Riches MBE, who addressed the guests, was supported by fellow Paralympians Rachel Morris MBE, Katie-George Dunlevy, Jeanette Chippington MBE, James Fox James MBE and Giedre Rakauskaite. 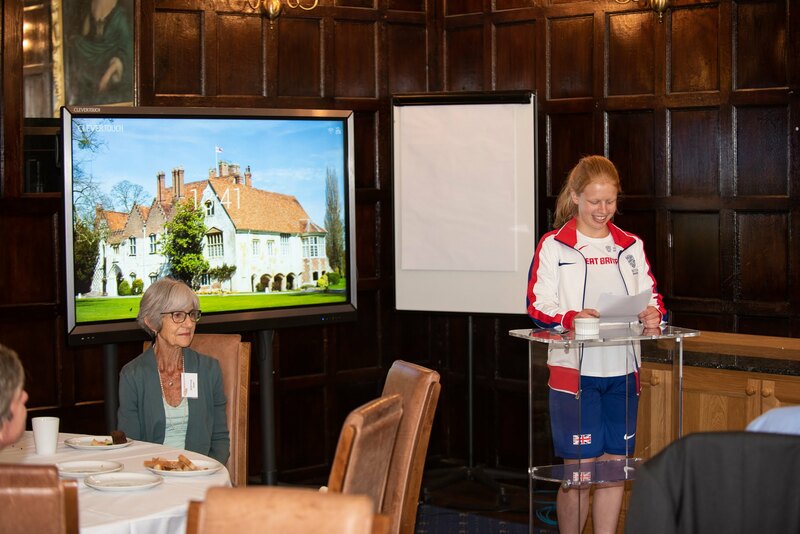 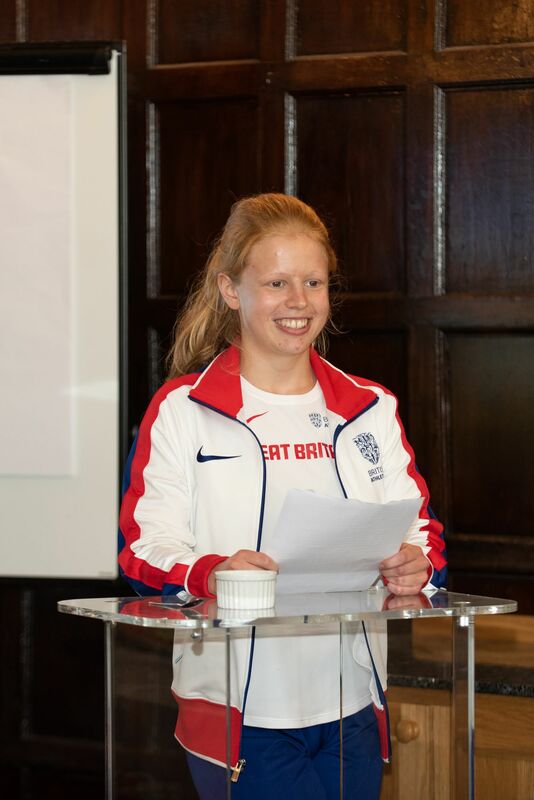 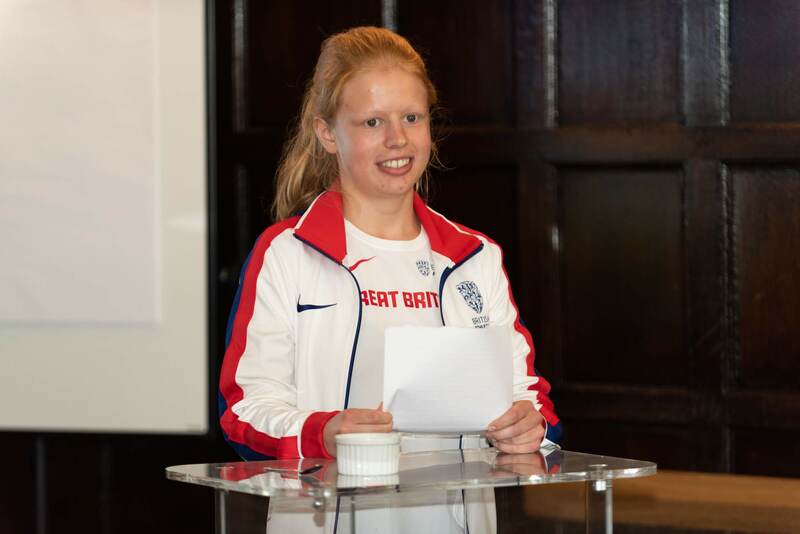 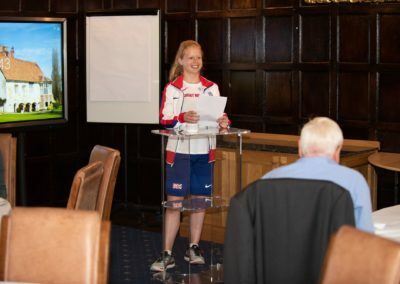 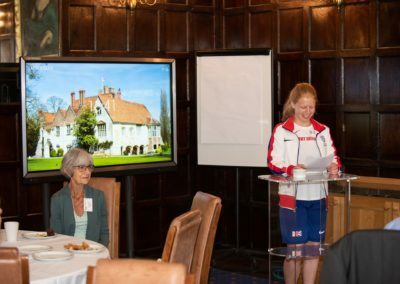 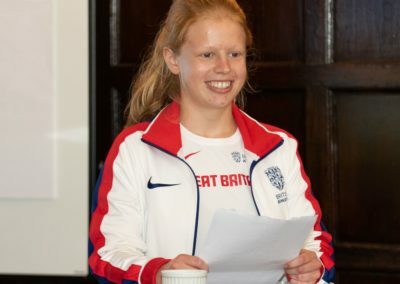 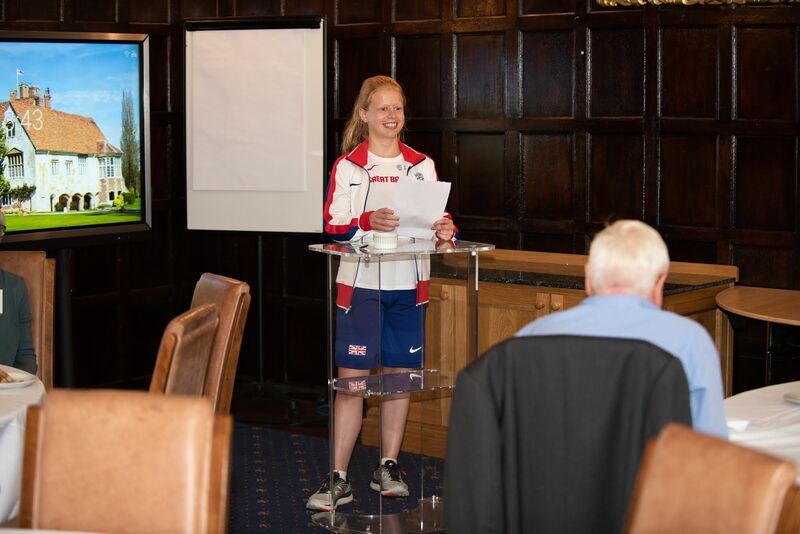 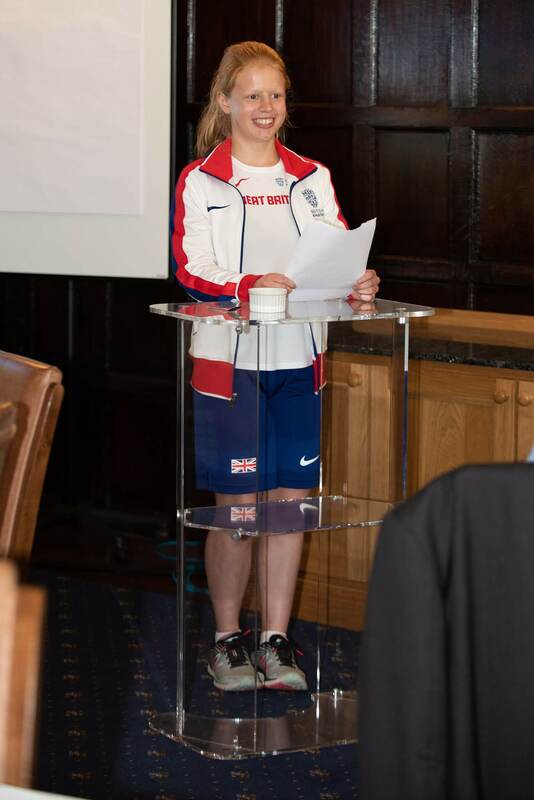 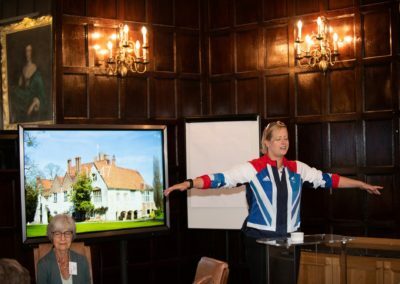 Esme O’Connell, the T20 World Para Athletics Long Jump World Champion, and a student at Alfriston School, also addressed the guests. 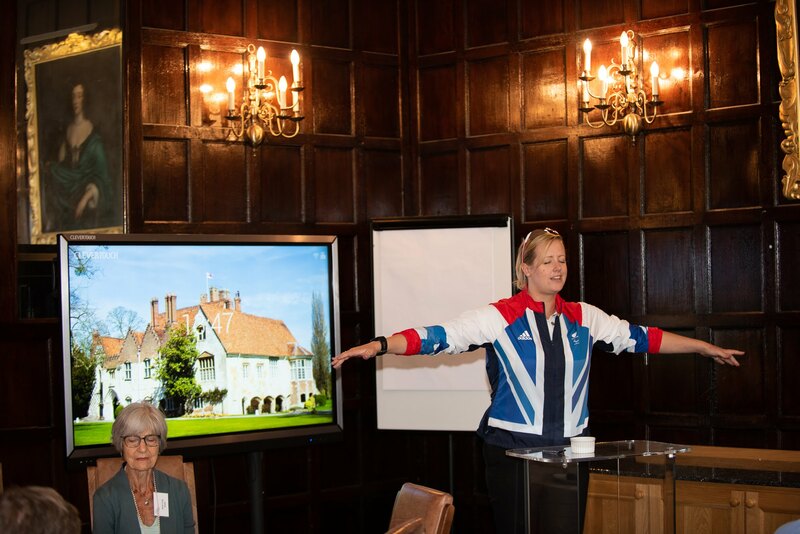 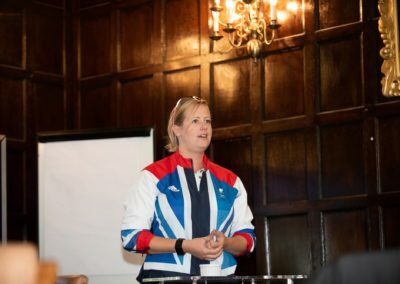 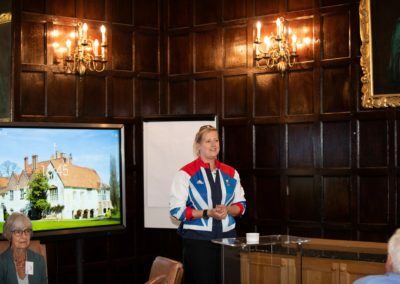 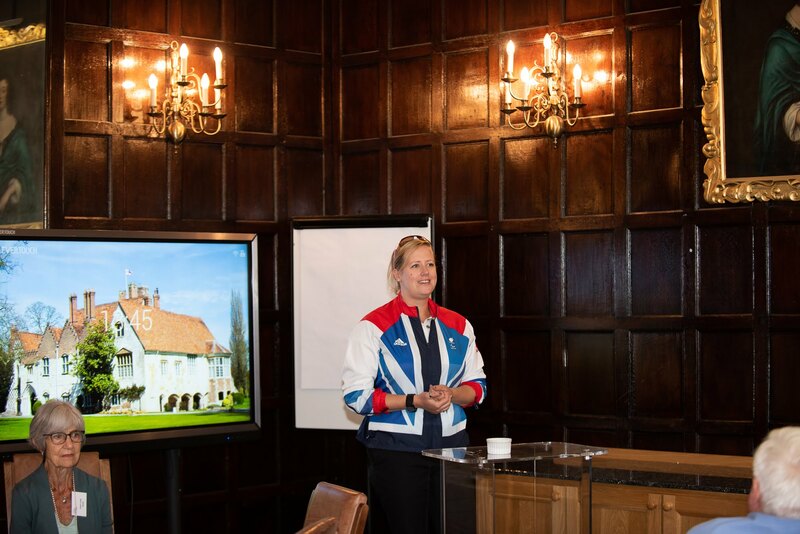 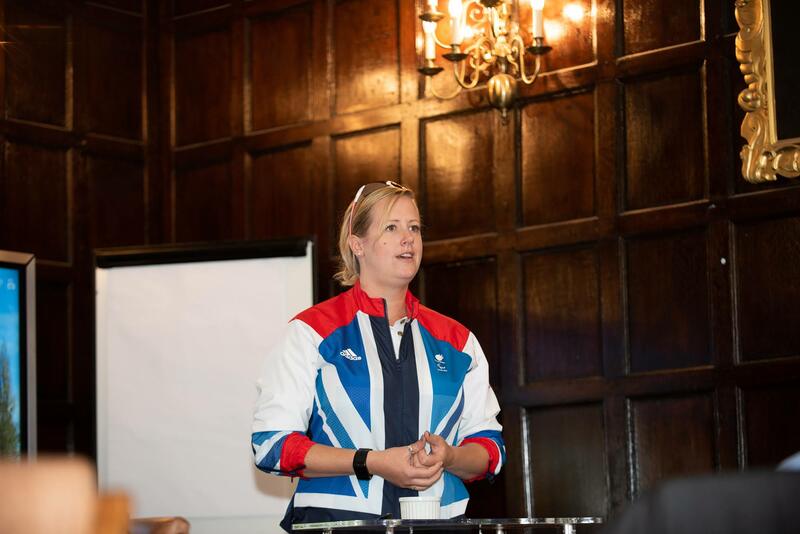 Naomi commented “I am delighted to be the Patron of such an inspirational event. I attended this event last year and was overwhelmed with the excitement and enthusiasm from all the youngsters, parents, teachers and volunteers. 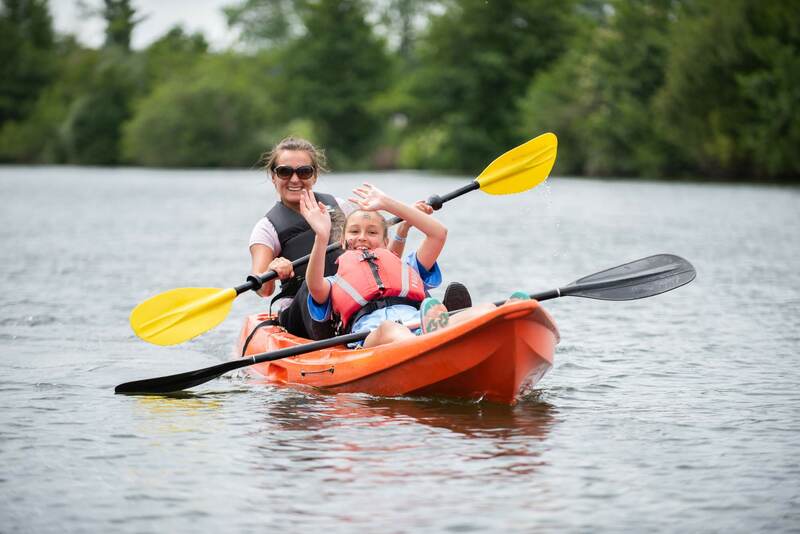 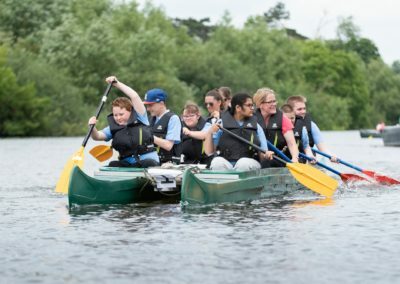 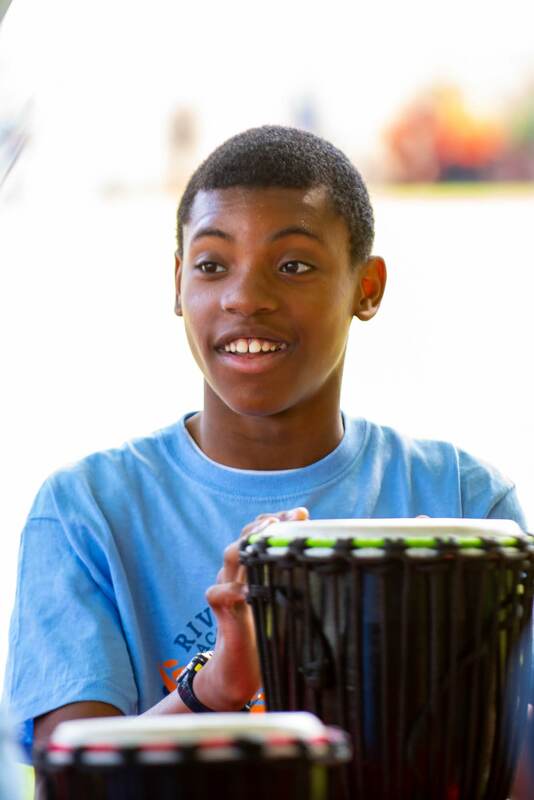 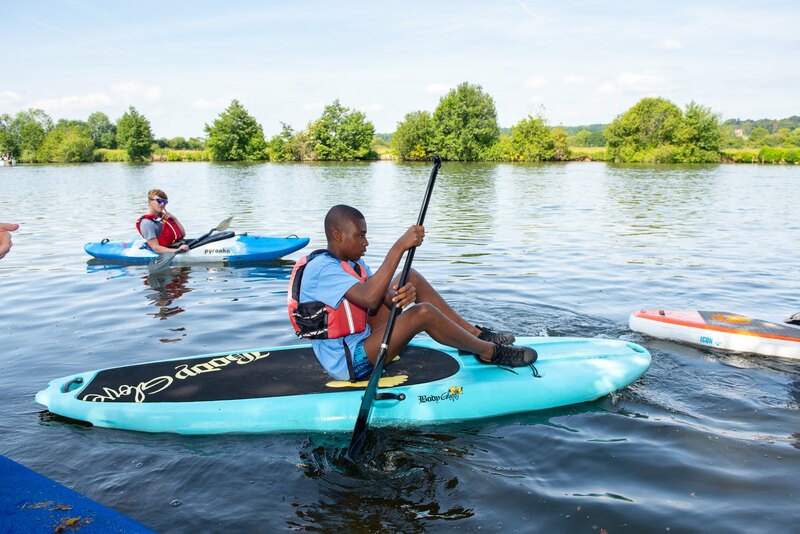 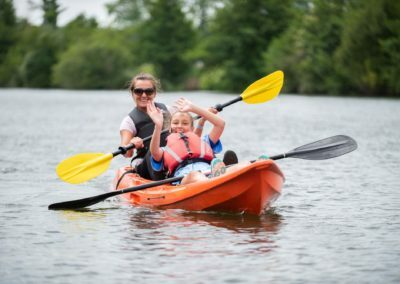 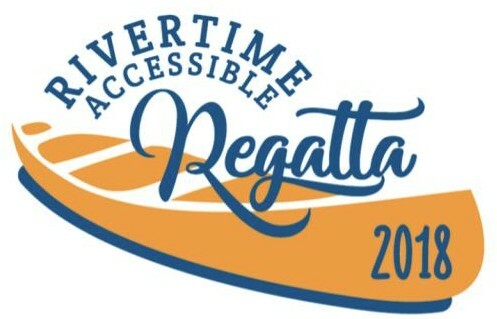 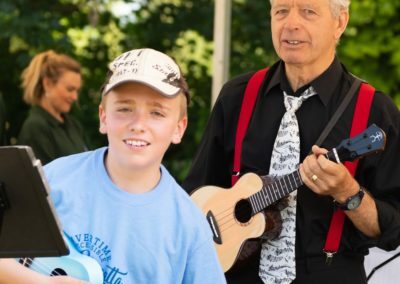 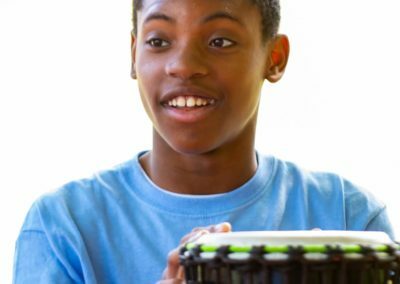 It is so important to have events like this that enable young people with a wide variety of disabilities and abilities to get out on the river. 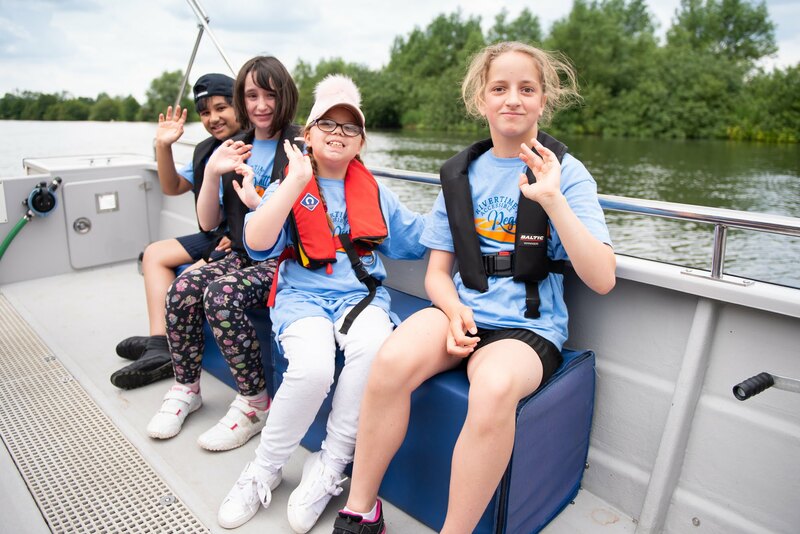 The freedom and independence I felt when I first stepped into a boat for the first time is a feeling I will never forget, and one that I feel everyone should have the opportunity to feel”. 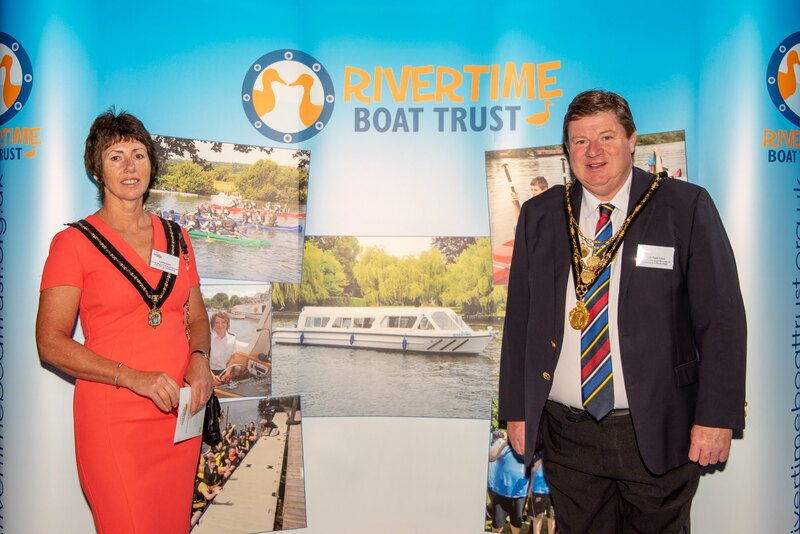 Simon Davis co-founder and Chairman of Rivertime Boat Trust, which staged the event with Give Them a Sporting Chance, said “The Trust aspires to stimulate children and young people with disabilities to develop a long-term involvement with accessible sports and seeing the children having such a fantastic time was a crowning achievement for everyone involved; from our incredible volunteers to the wonderful organisations that helped to run the activities. 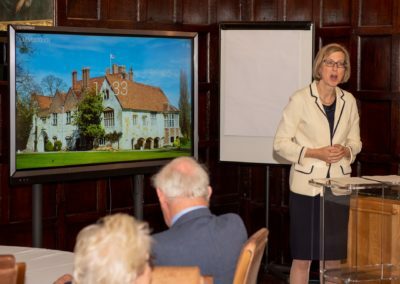 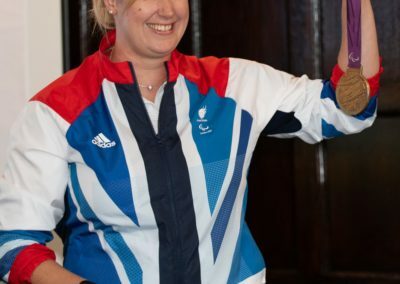 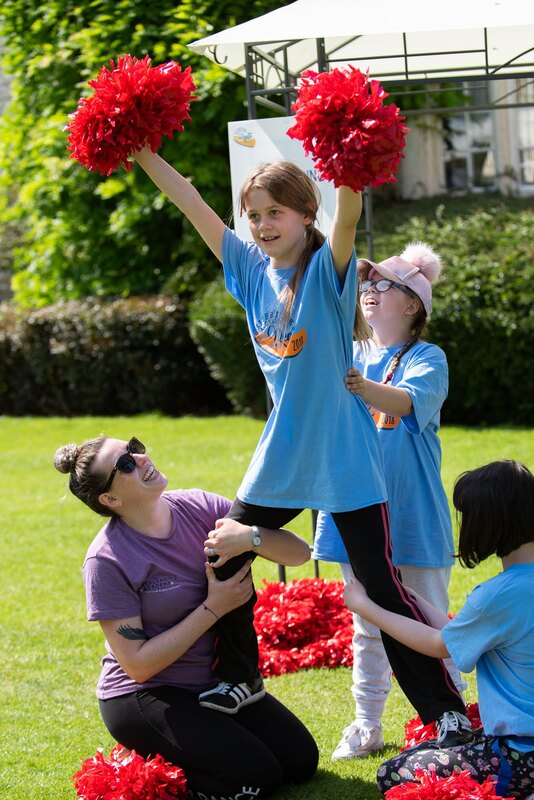 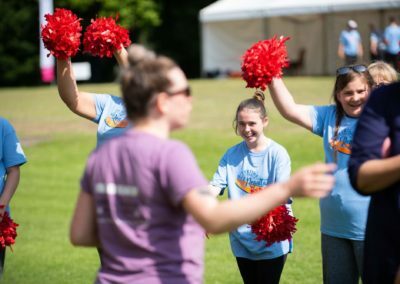 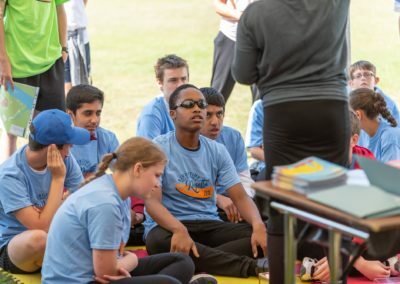 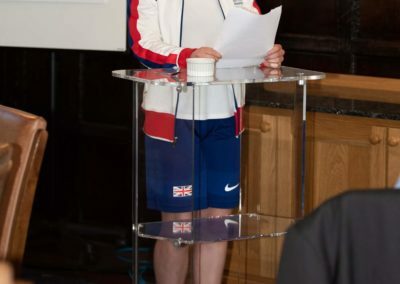 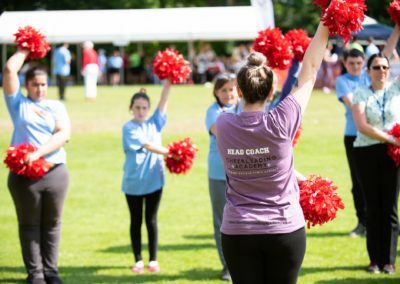 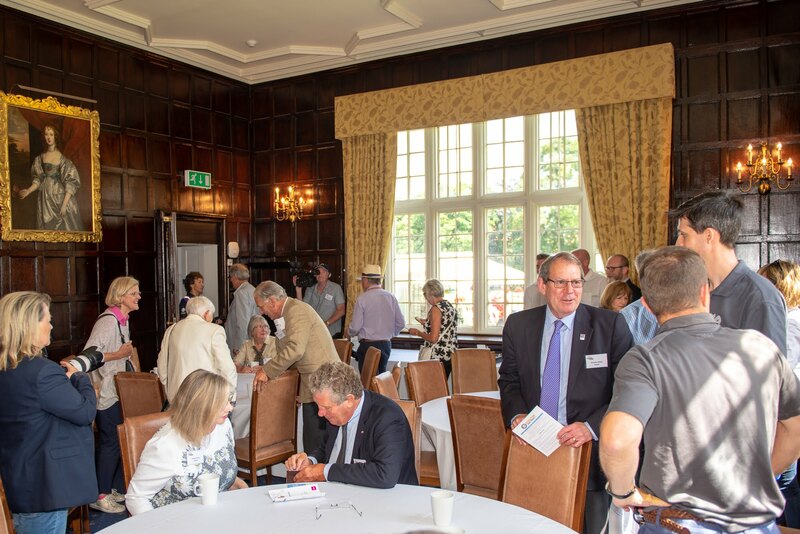 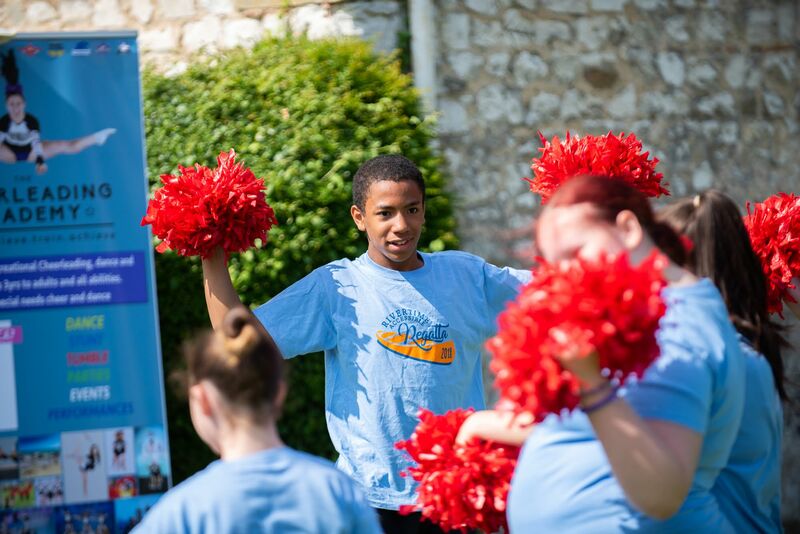 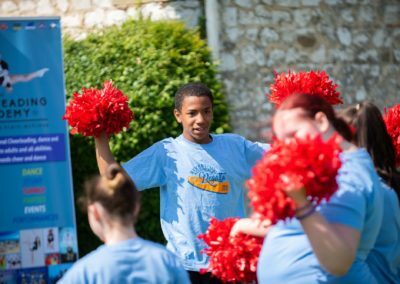 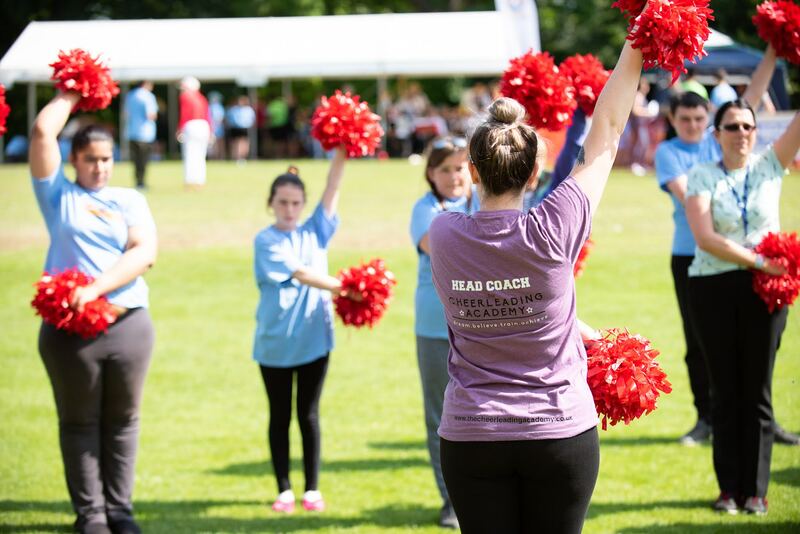 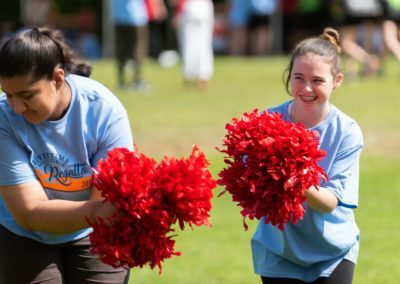 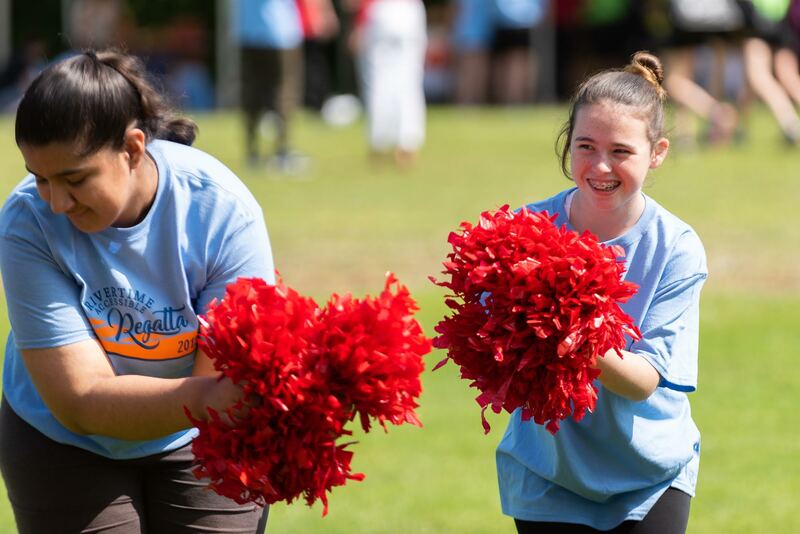 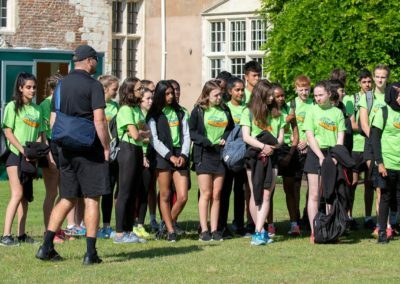 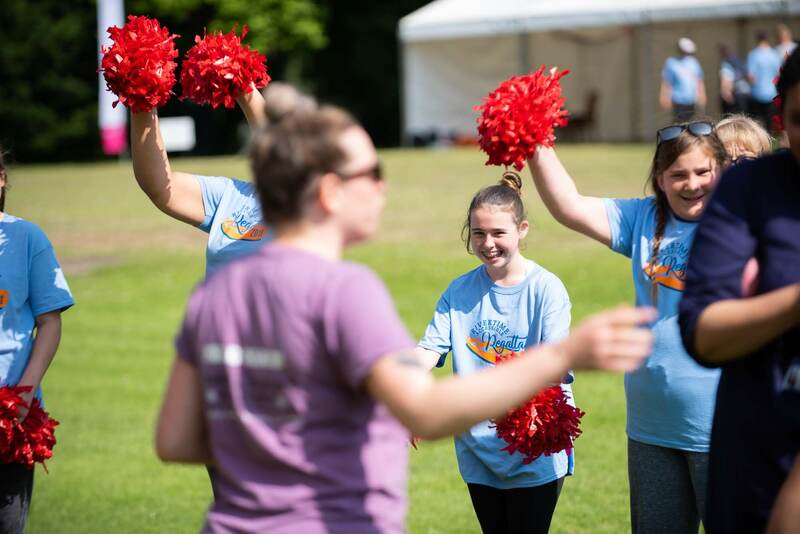 Anne Wadsworth, trustee of Give Them a Sporting Chance said “The participants today realised that they are capable of doing anything and that is exactly what we strive for at Give Them s Sporting Chance”.